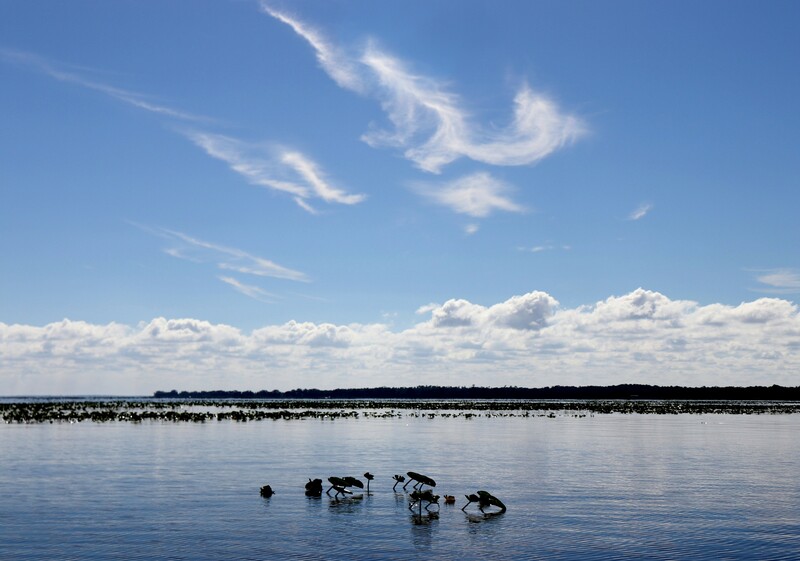 After the previous post about early spring in Ohio we thought we’d travel back in time to late January and explore the natural beauty of Florida’s Lake Kissimmee State Park. 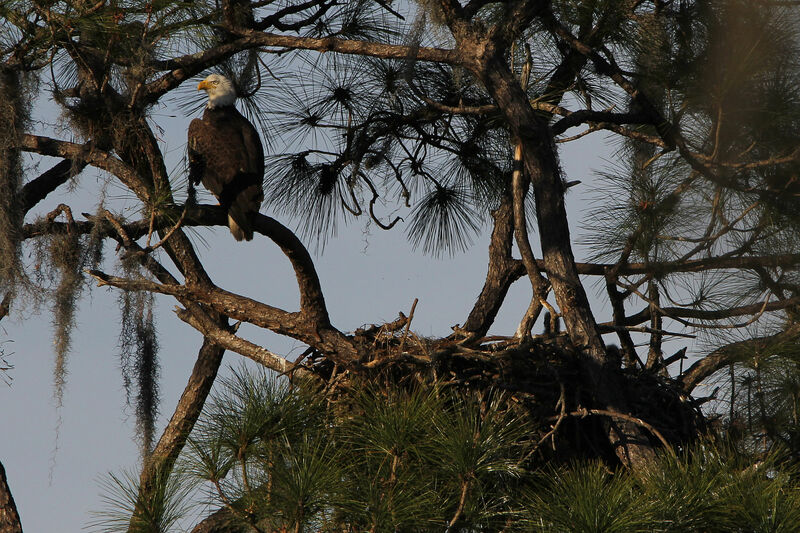 After our third visit we now consider it a cornerstone for any winter camping trip to Florida. 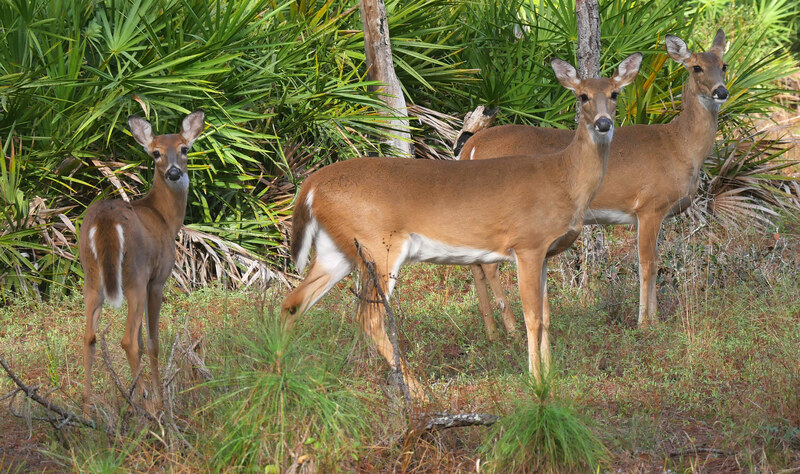 An advantage to many of the parks we visit in Florida is that they’re not separated by great distances so it’s an easy matter to pull up stakes in one and head down the road to the next. 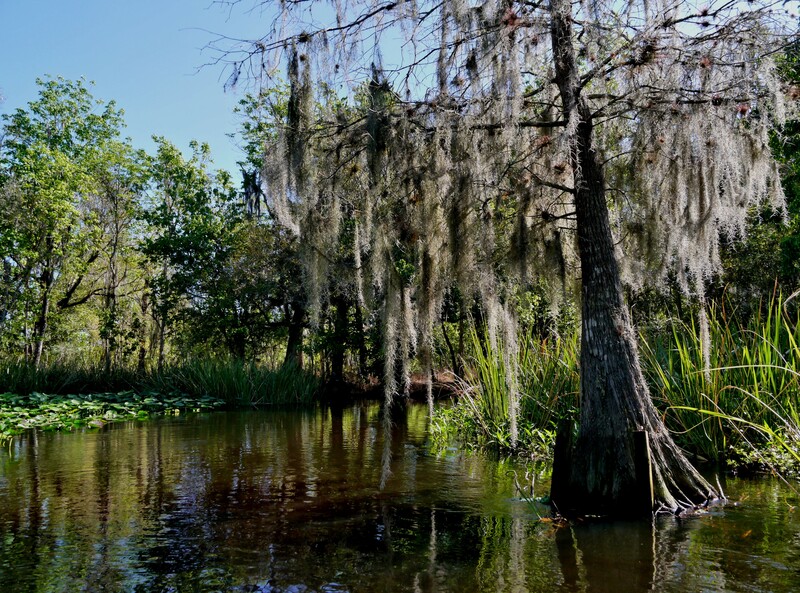 Lake Kissimmee SP is not far from Little Manatee River, is a much larger park so there is plenty of nature to explore without ever leaving the park. 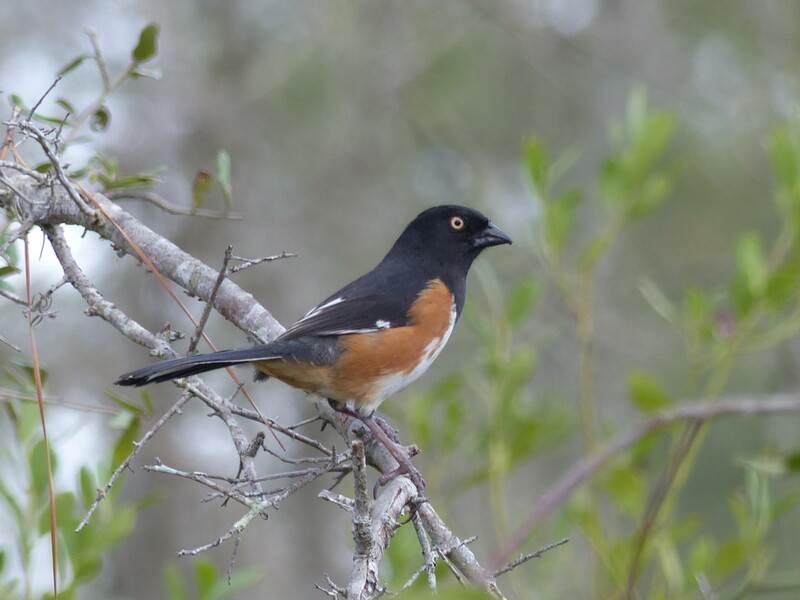 The greatest variety of birds can be seen if one quietly paddles the lake shore, Zipper Canal, or Tiger Creek but birding is also very rewarding along the hiking trails. 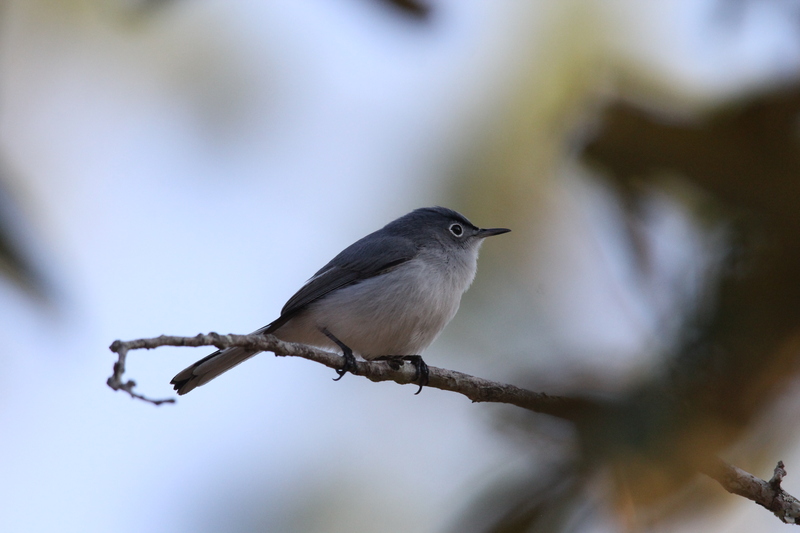 When not observing warblers, gnatcatchers, or kinglets. 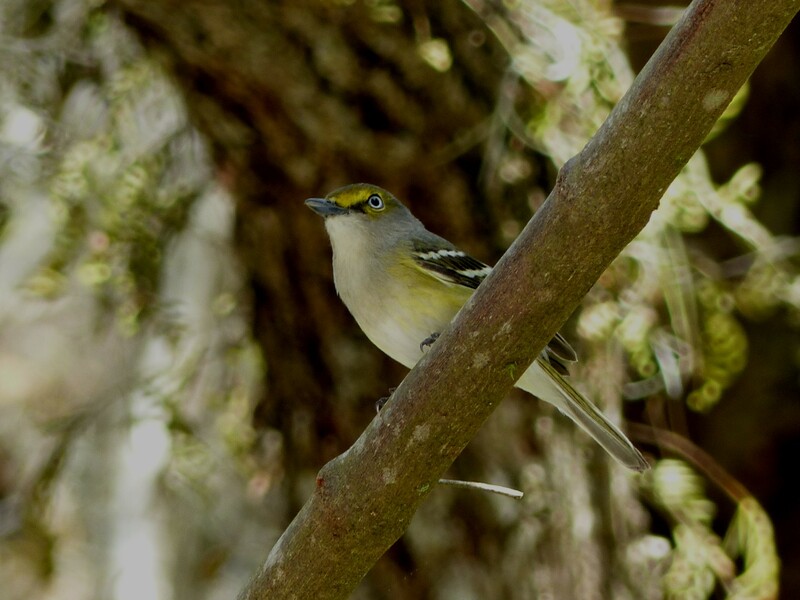 the trails are a great way to see the park’s many Red Headed Woodpeckers and there are rumors of Scrub Jays although that’s one we have yet to see. Folks sometimes ask if we’re concerned about taking expensive camera equipment in a canoe. 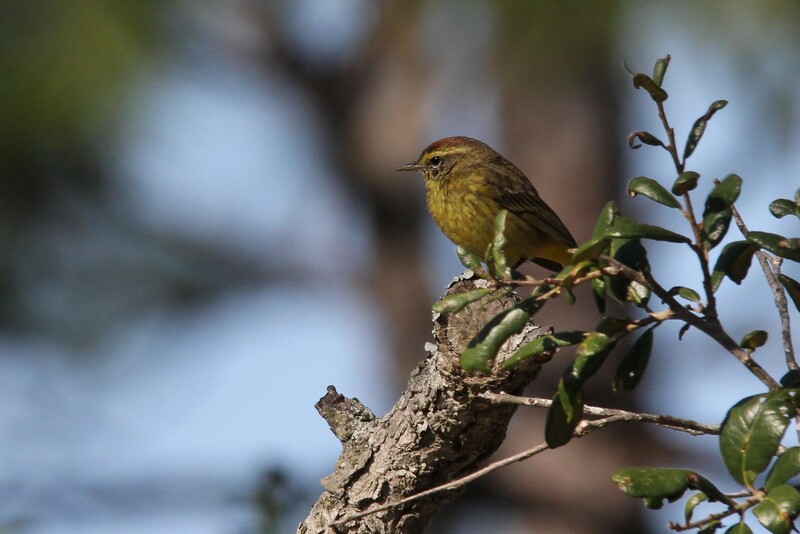 The answer is yes, but we’ve been blessed to see many birds that we wouldn’t have otherwise and are sometimes lucky enough to get a picture so we feel it’s worth the risk. Within reason the canoe doesn’t limit the amount of equipment one can take and while you may get lucky from time to time don’t expect tack sharp “tripod” images. Where the canoe fails as a photography platform is when wind and water conditions create excessive motion or make the boat hard to control leaving little opportunity for pictures. 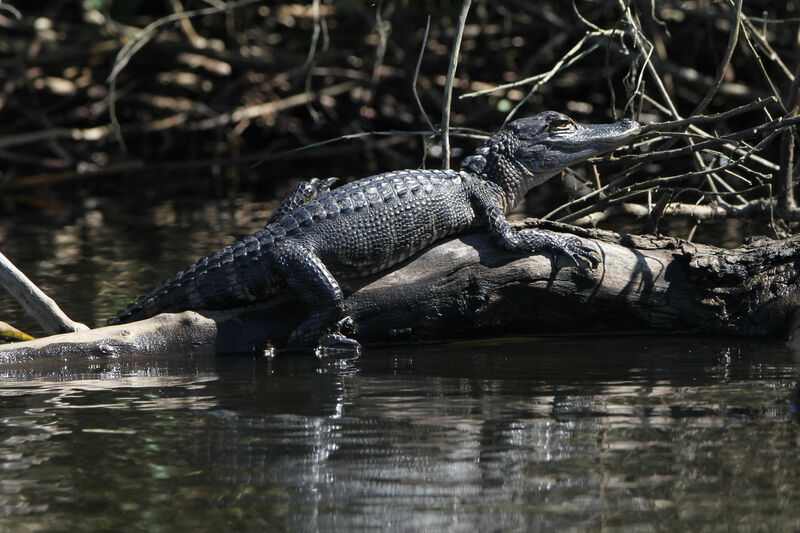 Although some might not agree, a bonus when exploring overgrown Florida shorelines in a small boat is wondering if around the next bend one will startle a large gator. It’s an experience of “wildness” not availible in places further north. 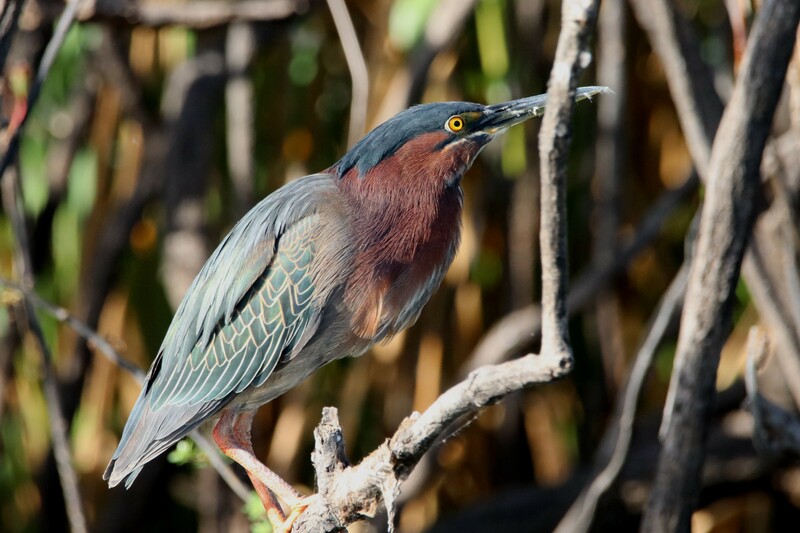 With that intro, below are some of the “canoe” birds seen during our two weeks at the park. 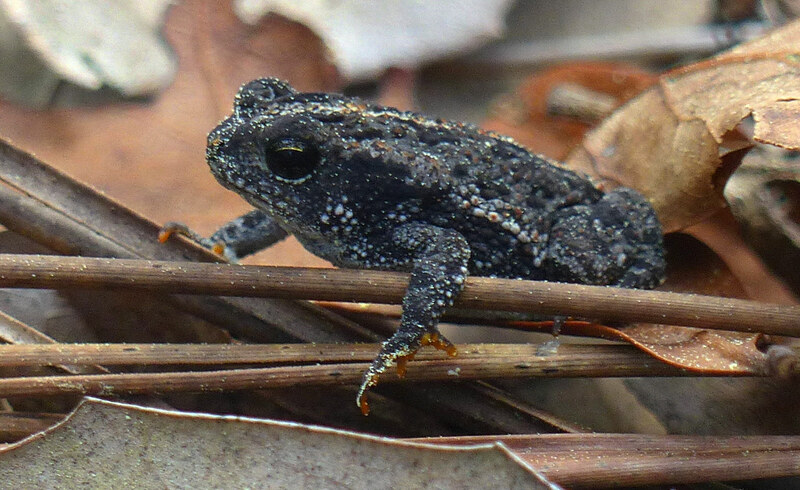 A closer look at a male. 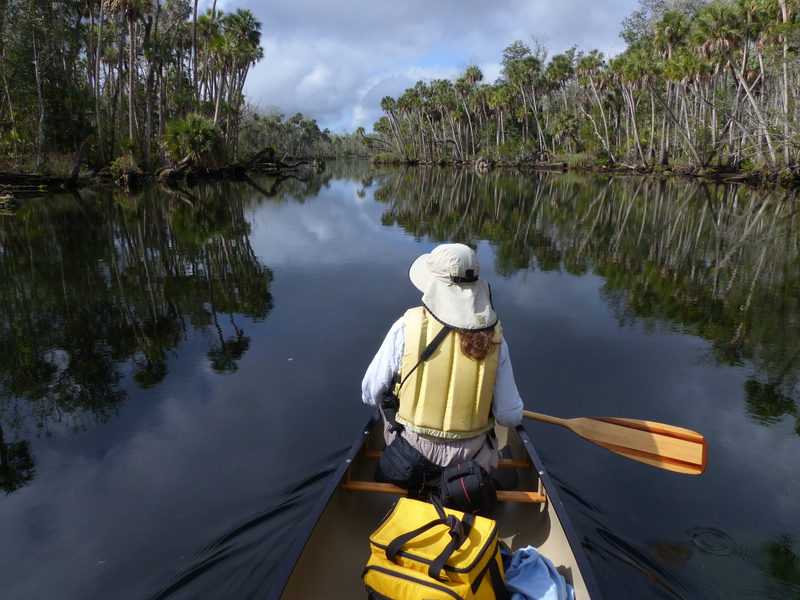 Paddling Zipper Canal between Lake Kissimmee and Rosalie Lake. 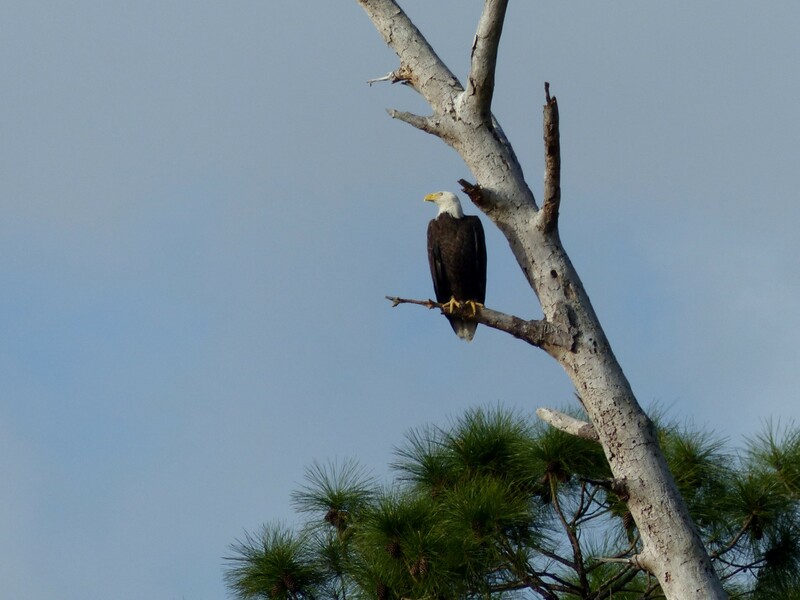 A Bald Eagle along Tiger Creek which flows from Tiger Lake to Lake Kissimmee. 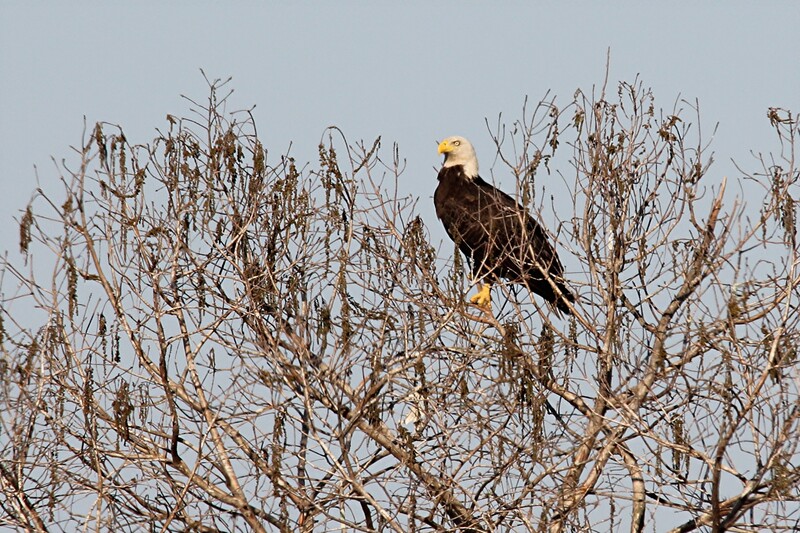 A Bald Eagle peers down at a prospective meal . . 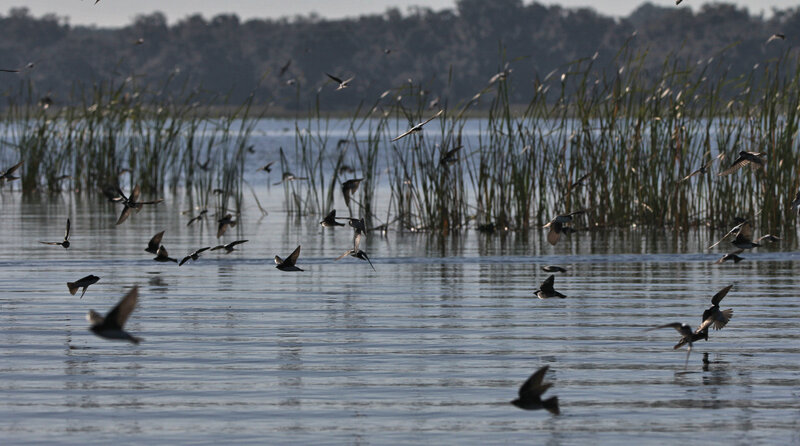 Hundreds of Tree Swallows in an early morning feeding frenzy on Lake Kissimmee. A few take a break from the hunt, (Donna). 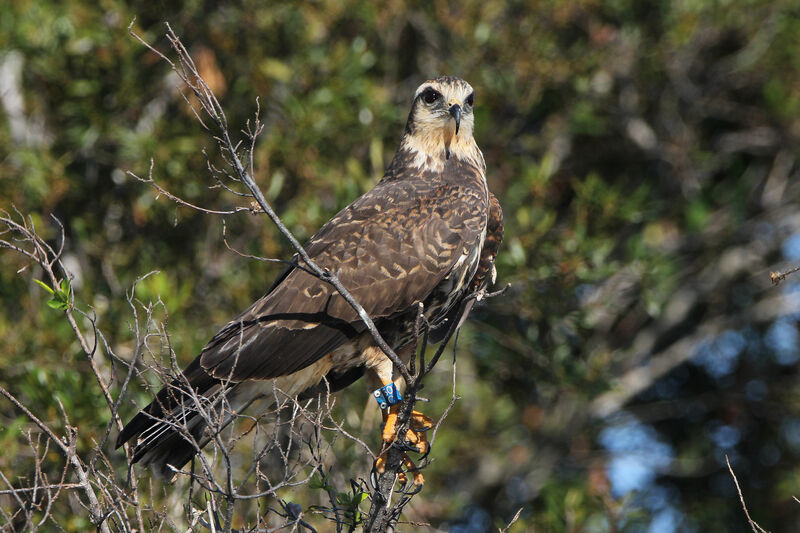 Immature Snail Kite along the Lake Kissimmee shoreline. 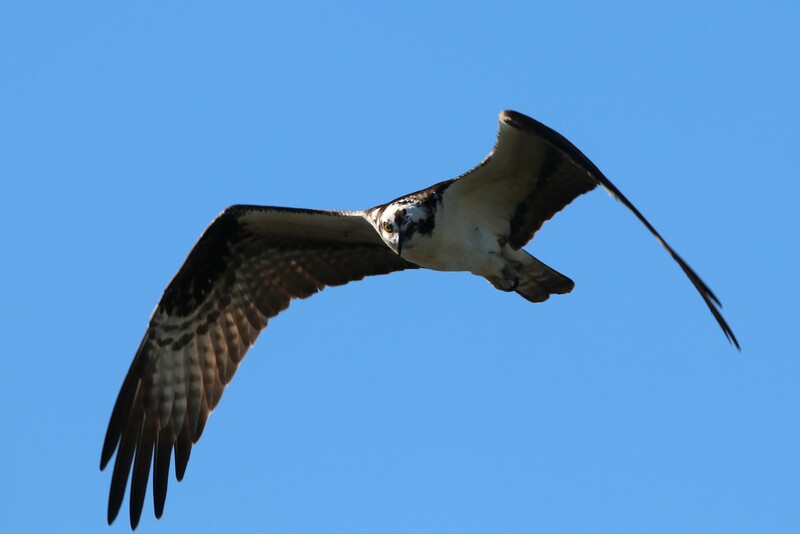 The kites were a real treat because during last year’s visit, which was right after a hurricane, there were none to be seen. 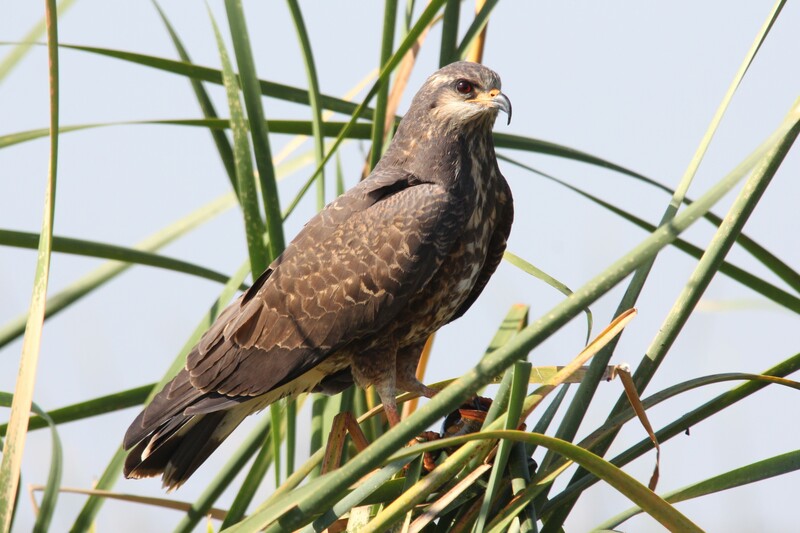 Mature Snail Kite with snail, (Donna). 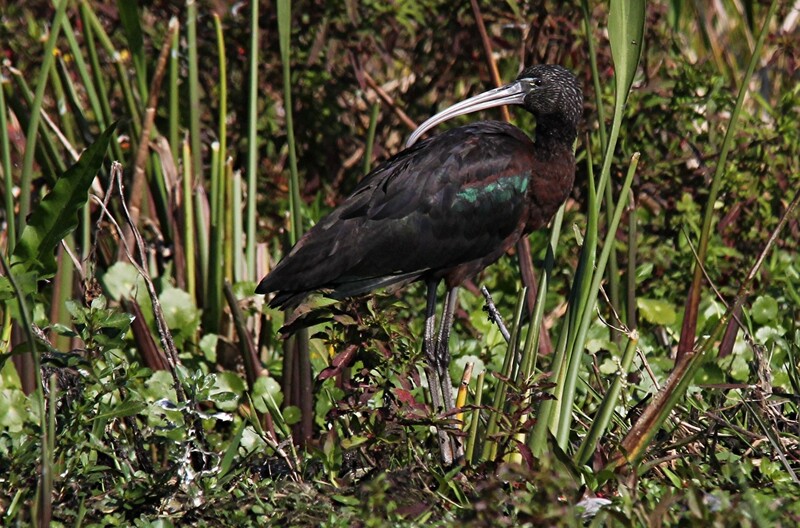 A Glossy Ibis reveals how it got it’s name, (Donna). Rosalie Creek between Rosalie and Tiger Lakes. 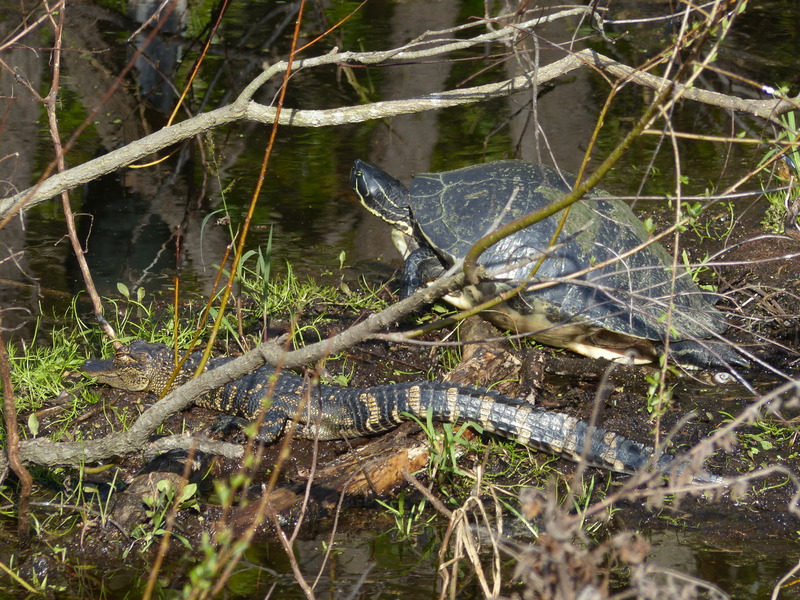 Young Alligator along Tiger Creek. 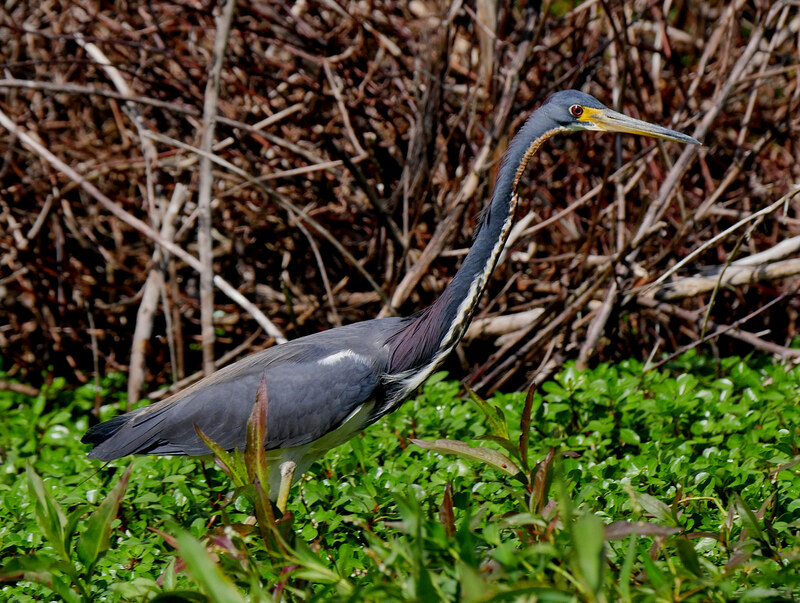 Tri-color Heron along Tiger Creek, (Donna). 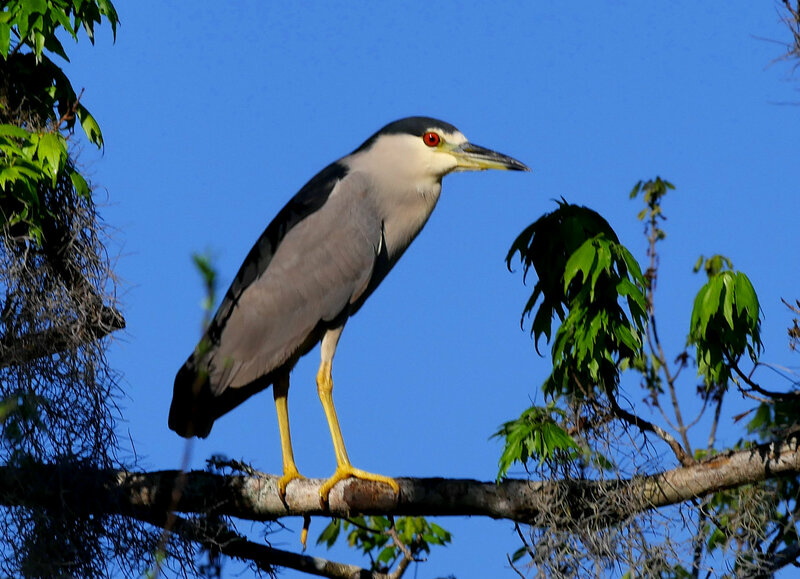 Black-crowned Night Heron along the Zipper Canal, (Donna). 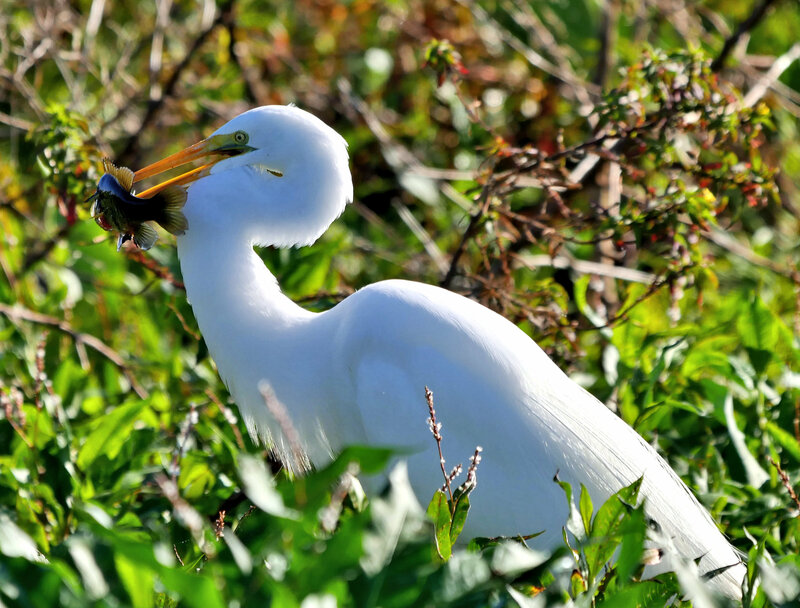 Great Egret with fish, (Donna). 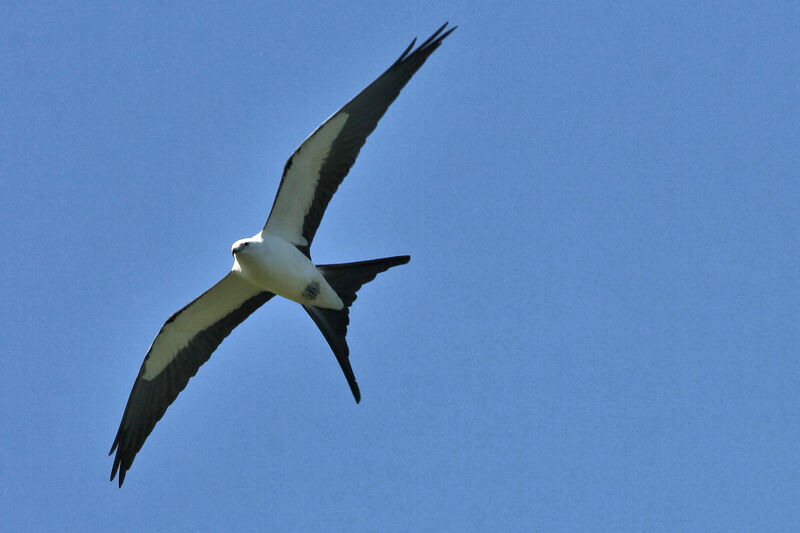 Swallow-tailed Kite over Tiger Creek. 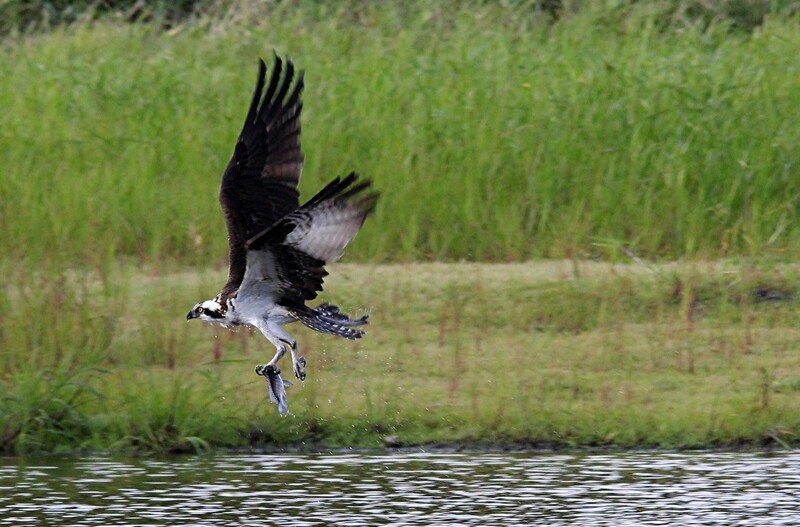 Observing them it appears that they often catch their prey in their talons and proceed to devour it on the wing. 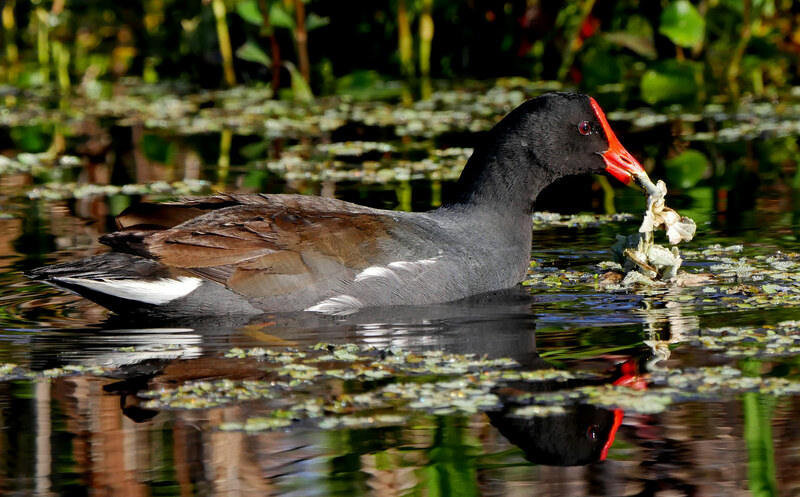 Common Moorhen along the grassy Lake Kissimmee shoreline, (Donna). 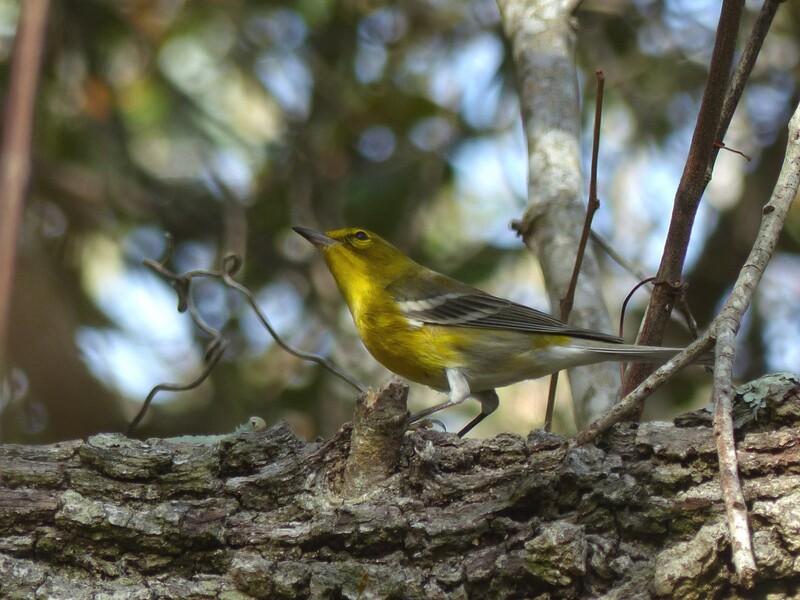 The hiking trails offer a different mix of birds and wildlife. The length of hike often dictates the type of equipment one decides to take along. Lugging ten pounds of camera equipment for seven or eight miles is not fun. 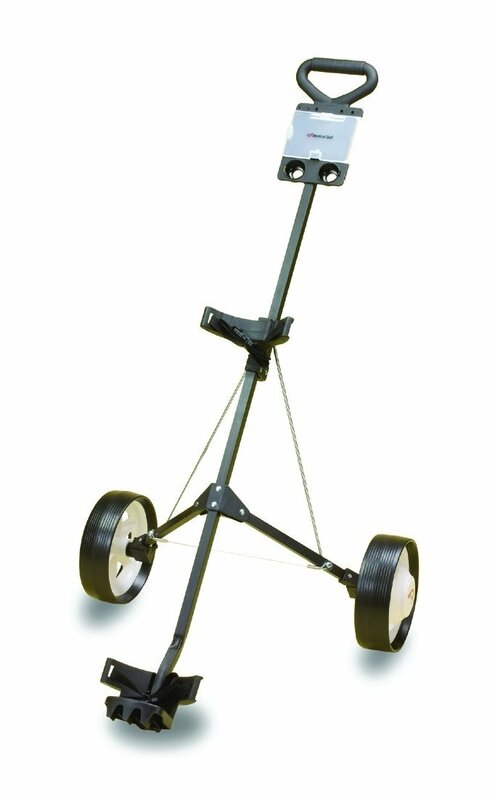 One solution I saw this year was to modify a light weight golf cart to haul your equipment if the trail conditions and other restrictions allow. The type of golf cart that would be easy to modify to carry a tripod and camera with long telephoto lens. 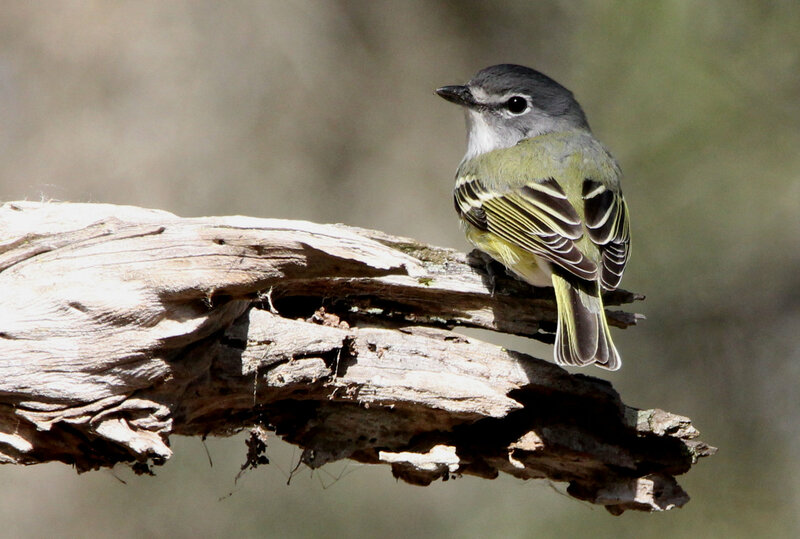 When hiking park trails one thing that always amazes me is how different species of birds stay together or flock. 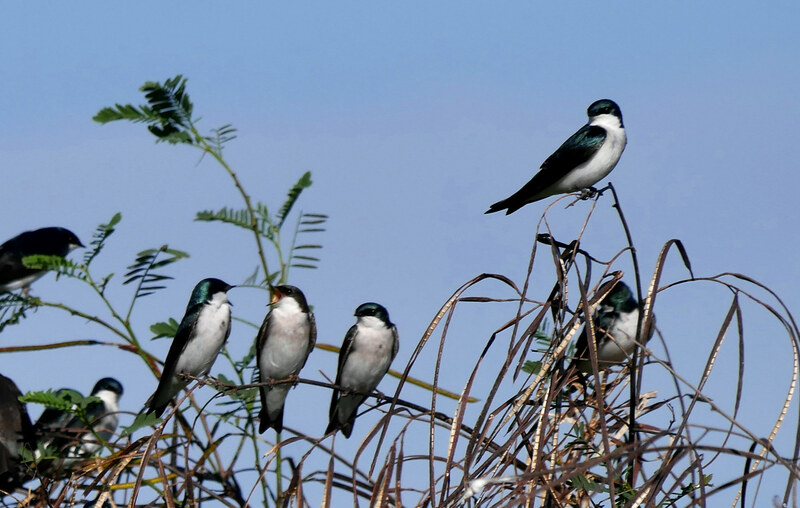 One can walk for miles and not see much of anything and then all of a sudden there will be birds everywhere. 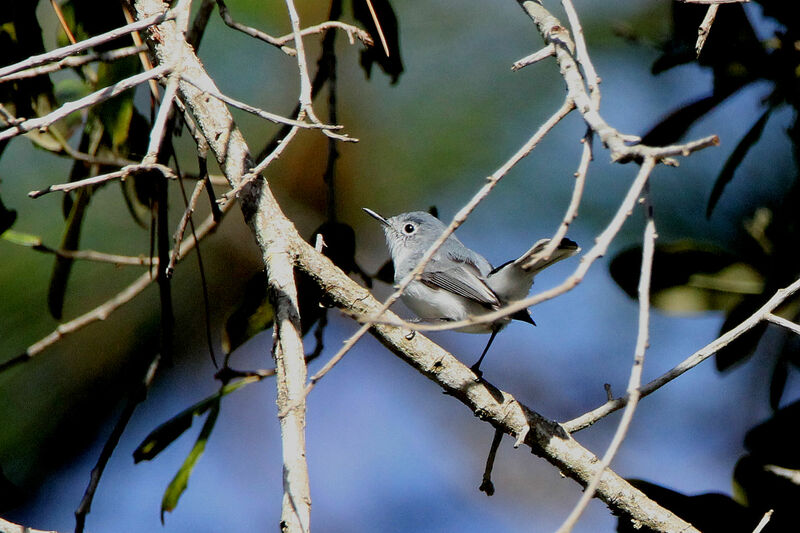 Chickadees, titmouse, kinglets, gnatcatchers, and warblers are often seen together and often there will even be a blue jay in the mix. 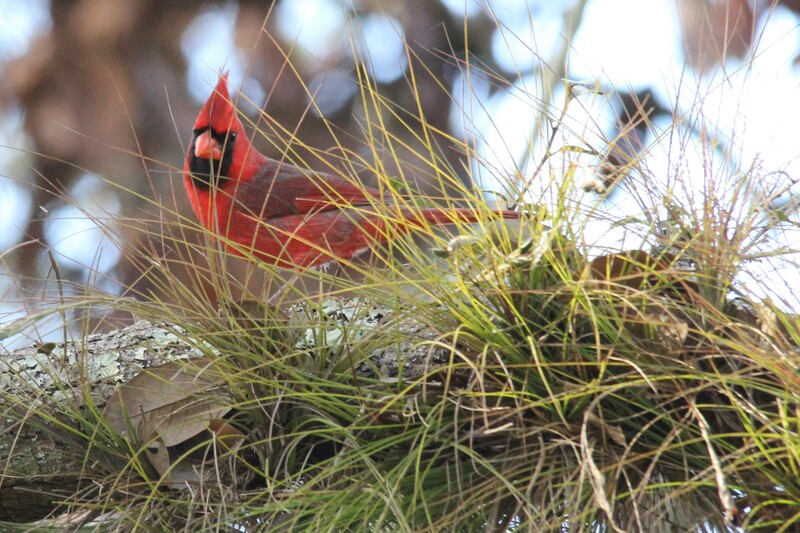 With the Live Oaks draped in Spanish Moss, the palmettos, and the pines, the landscape is enchanting so if the birds aren’t cooperating there is always something to appreciate. 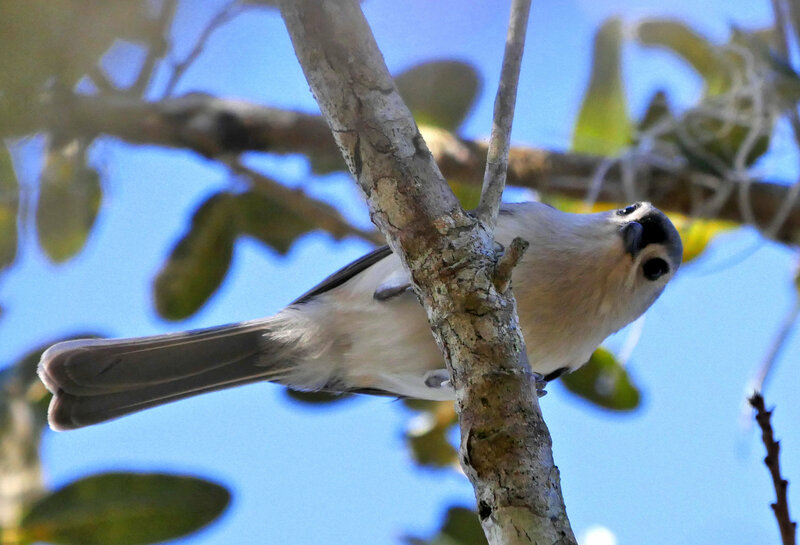 Tufted Titmouse often alert us to the fact there may be warblers in the area. (Donna). 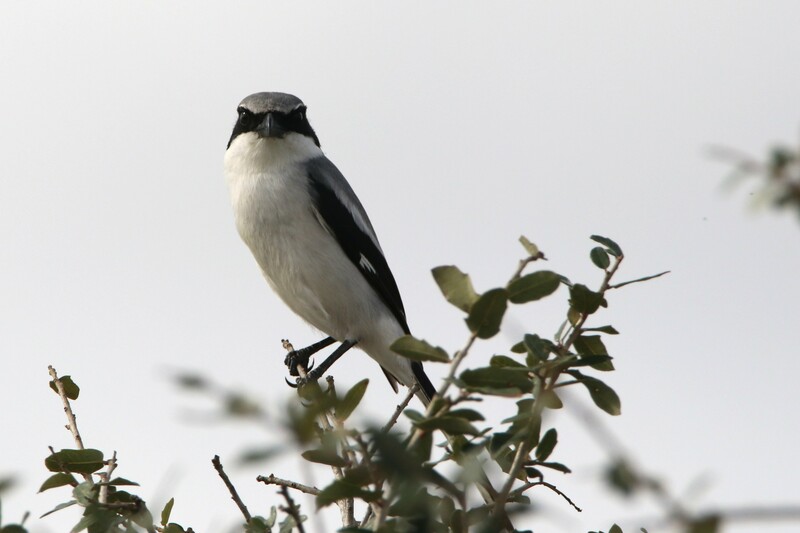 Sure enough, a Black and White Warbler makes an appearance. 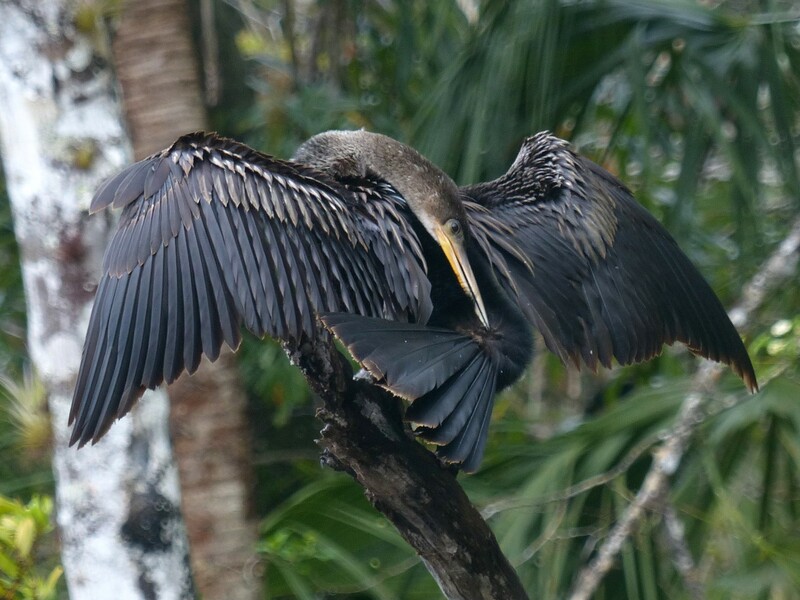 Another view showing tail and flight feathers. 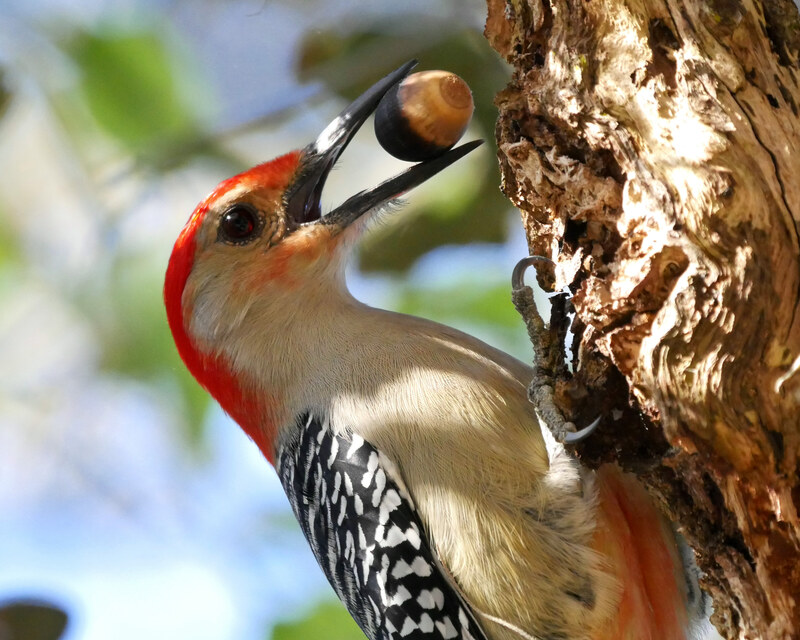 We weren’t quiet sure what this Red-bellied Woodpecker planned to do with the acorn, (Donna). 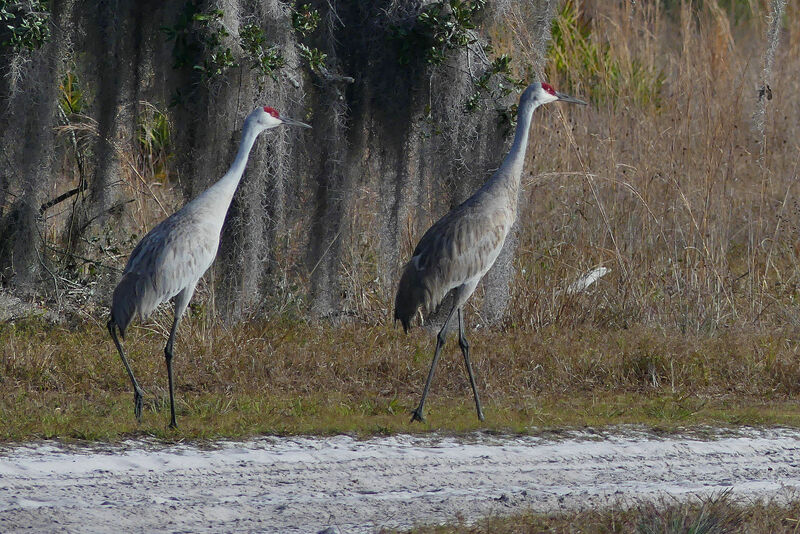 Sandhill Cranes. As common as they are we did not have the many opportunities to photograph them. 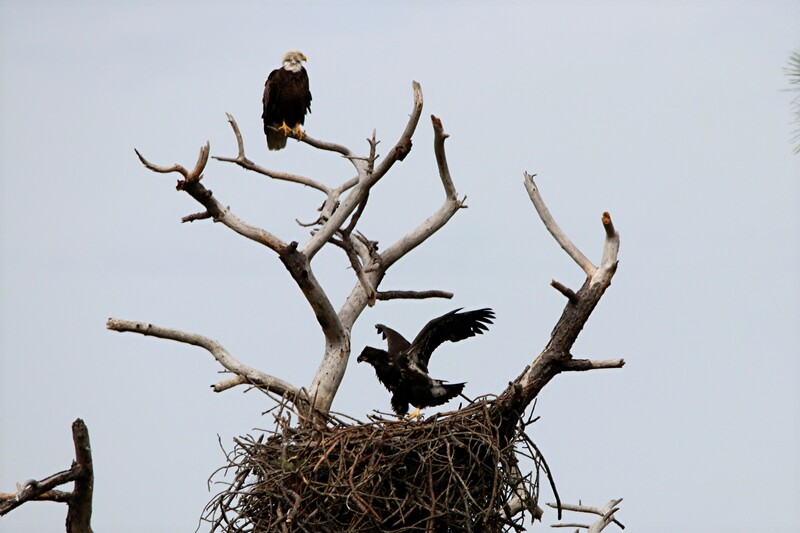 Bald Eagle and nest on Buster Island near the Cow Camp. 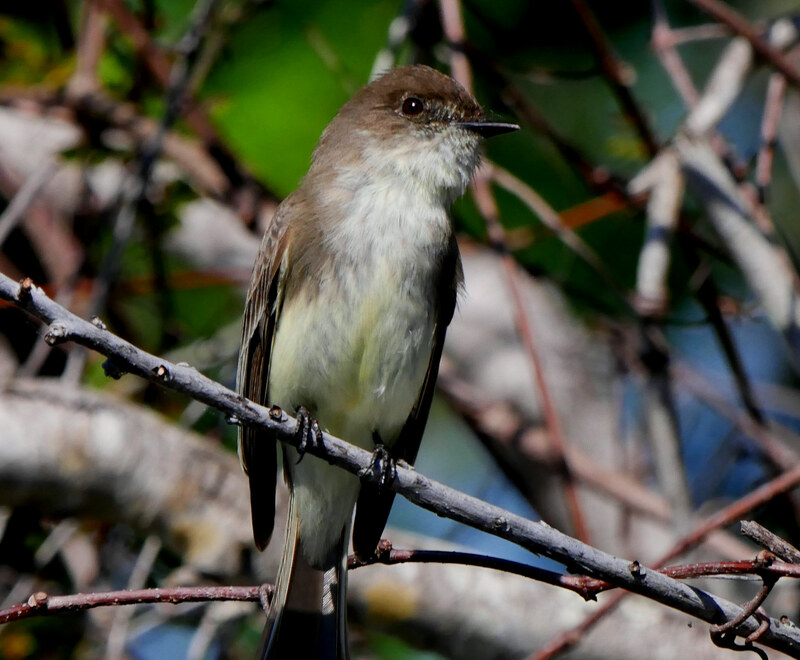 The Great Crested Flycatcher showed up near our campsite. 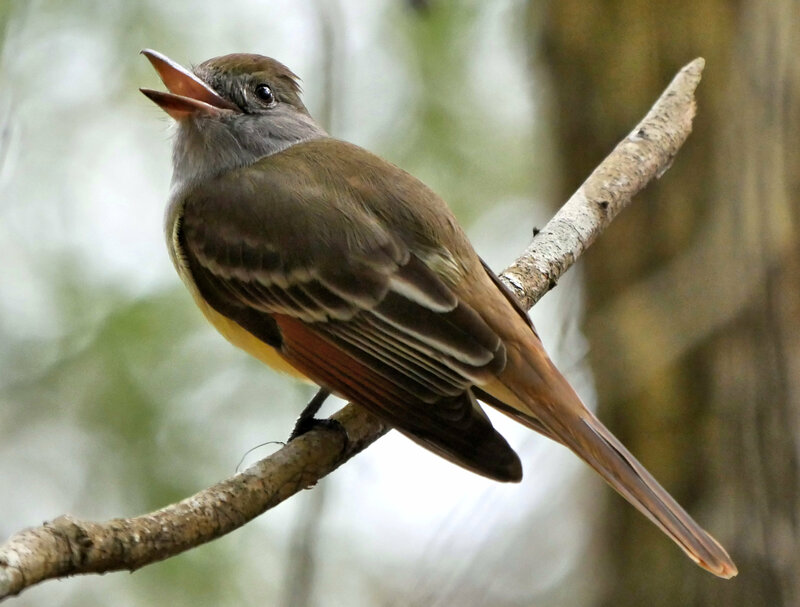 It’s the largest of the flycatchers, (Donna). 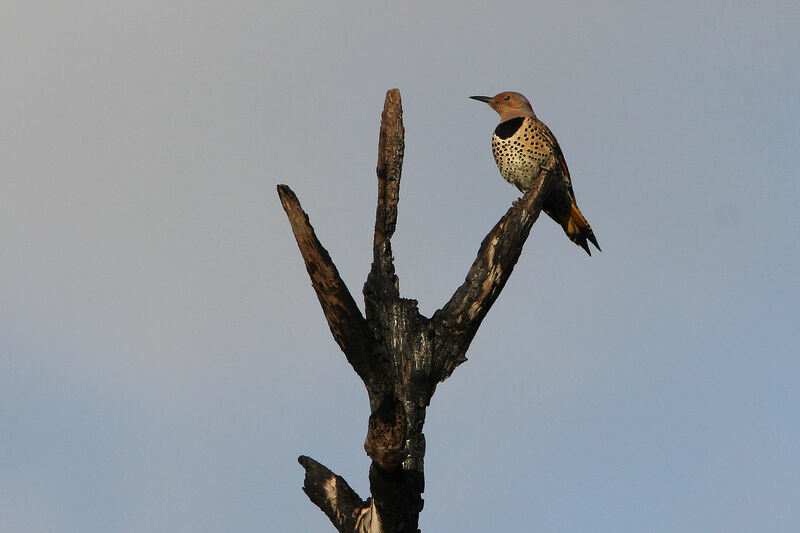 A Northern Flicker shared the Red Headed Woodpeckers territory. 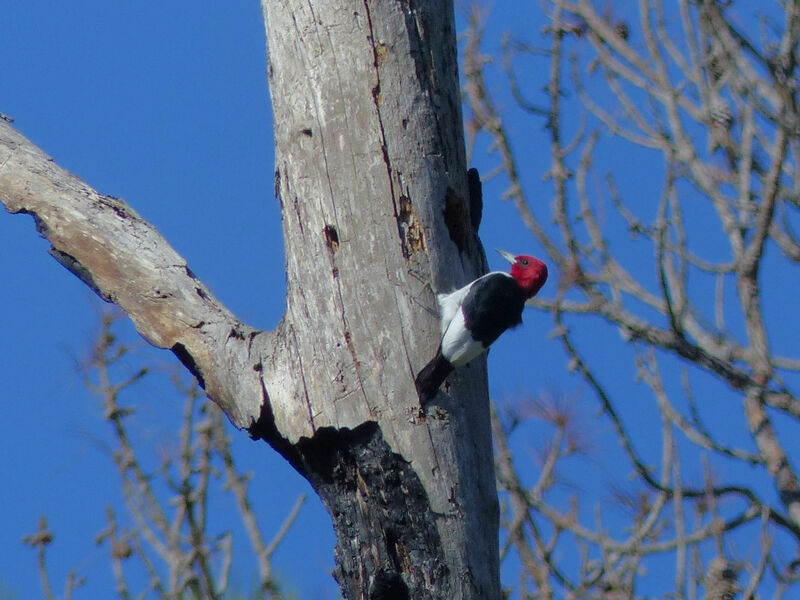 Red-headed Woodpeckers are quite common in the park. 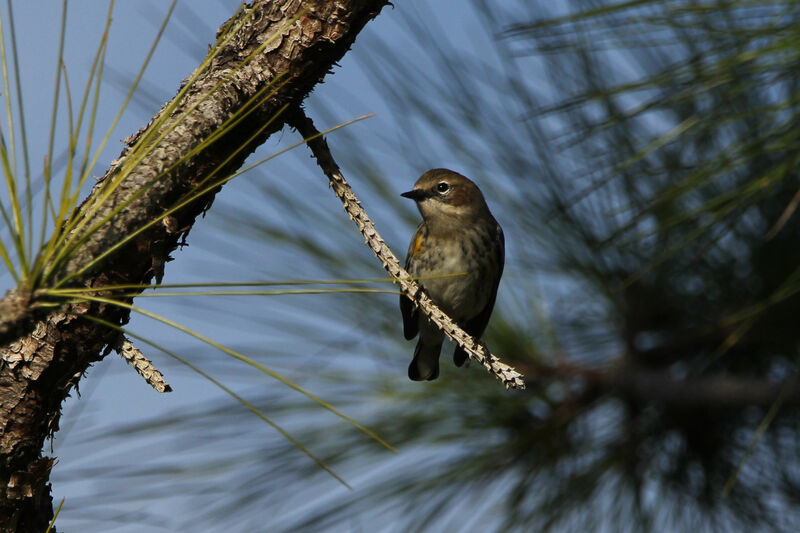 Yellow-rumped Warblers competed with Palm and Pine Warblers for most common status. 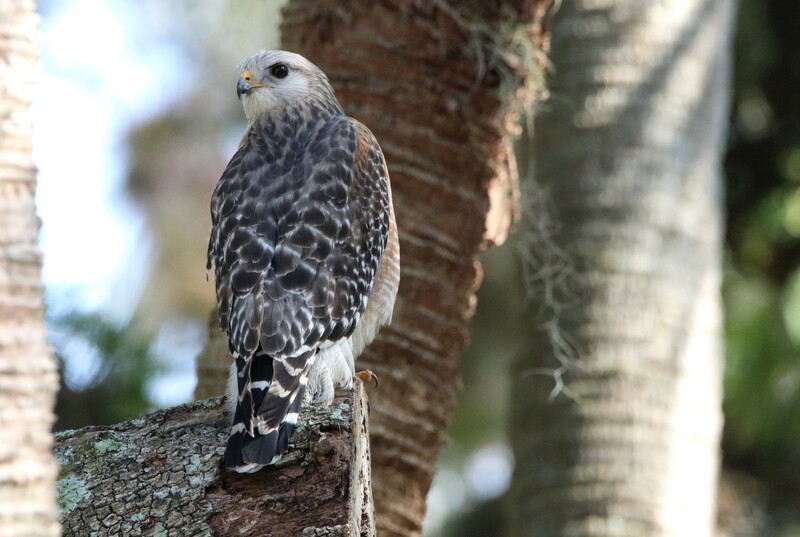 If Florida had a state hawk, it sound be the always vocal Red-shouldered. 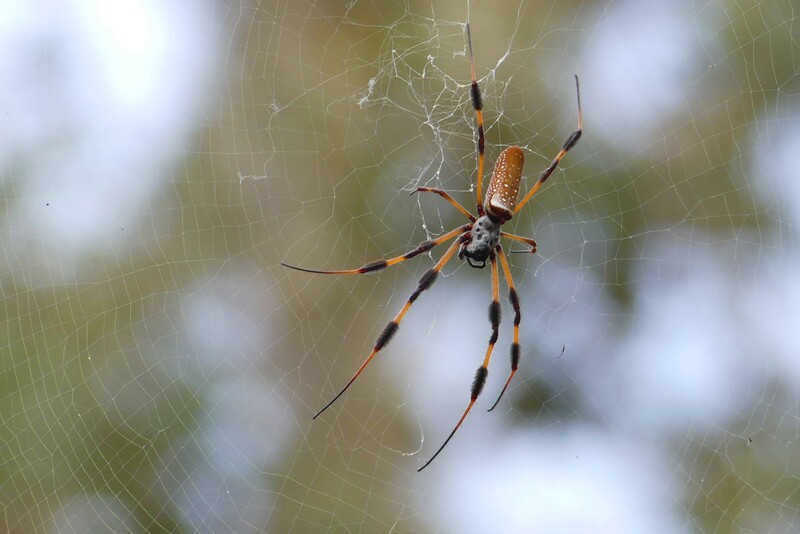 A large Golden Silk Orb-weaver. 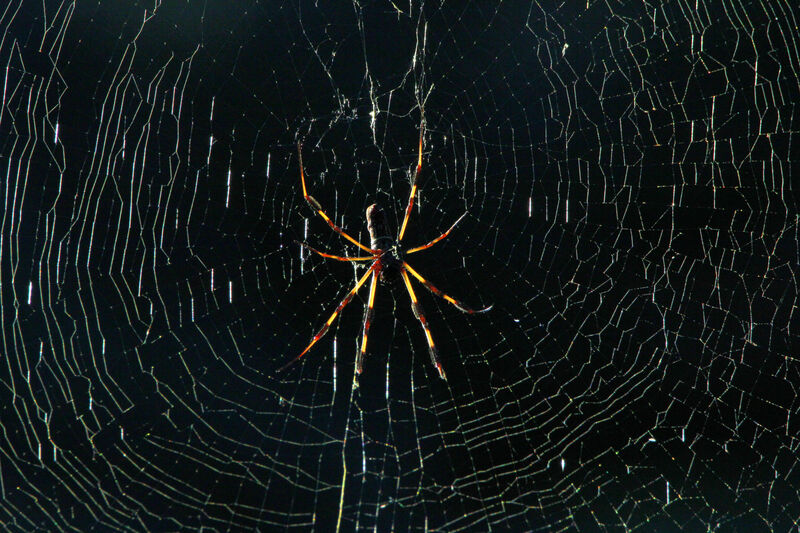 A Golden Silk Orb-weaver sun lit with a background of dark shade. 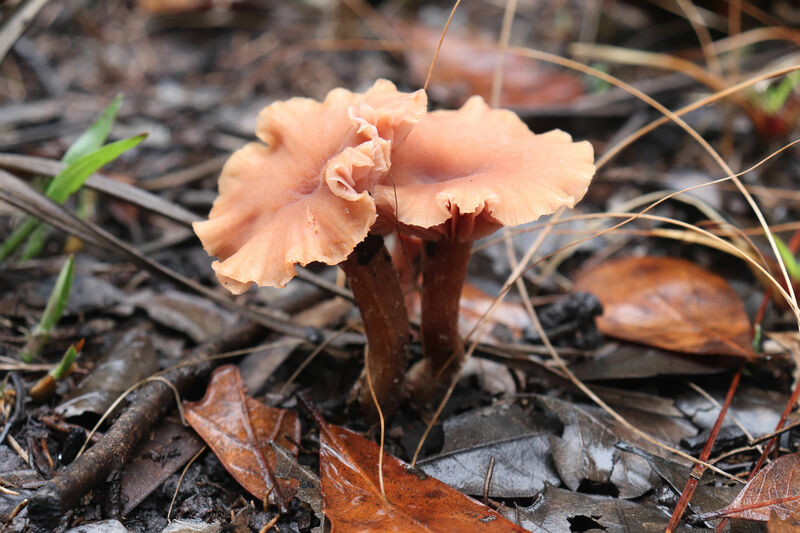 Fascinating fungi along the trail. 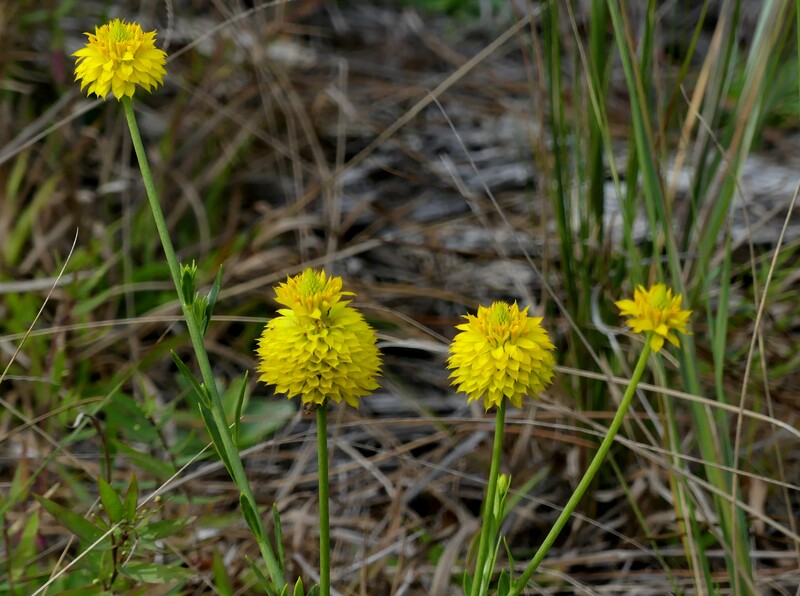 Yellow Milkwort is native and found throughout most of the Florida peninsula. Interestingly, the only place in the world it grows is Florida. 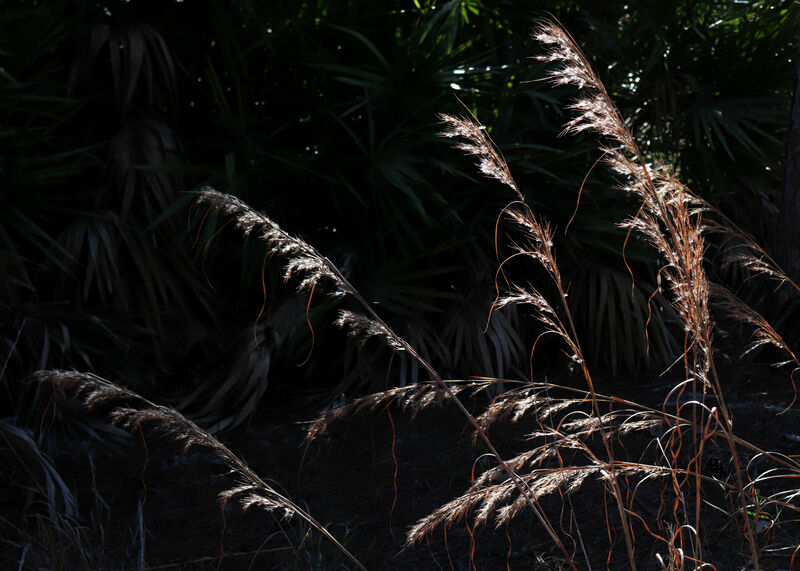 Grass highlighted by the winter sun. 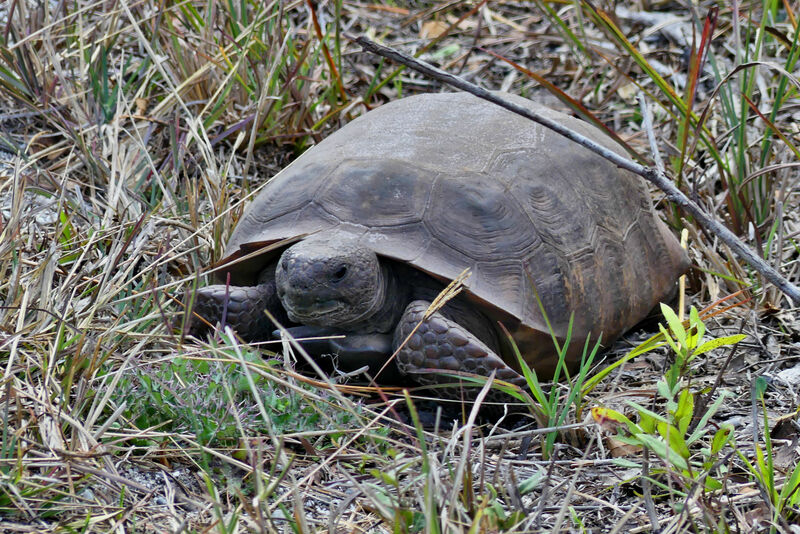 The long burrows, up to 40 feet wide and 10 feet deep, of the endangered Gopher Tortoise are home to over three dozen other animal species that use them for shelter from harsh weather and predators. 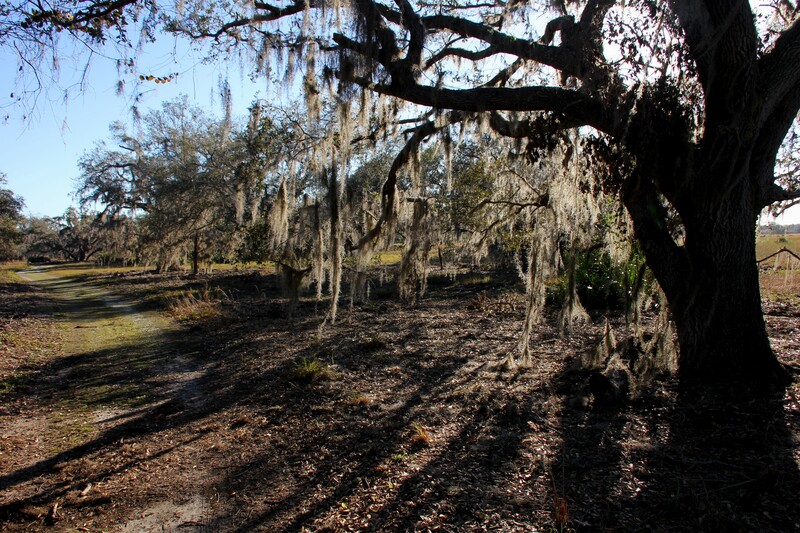 The winter light often highlights the Spanish Moss and creates deep shadows. 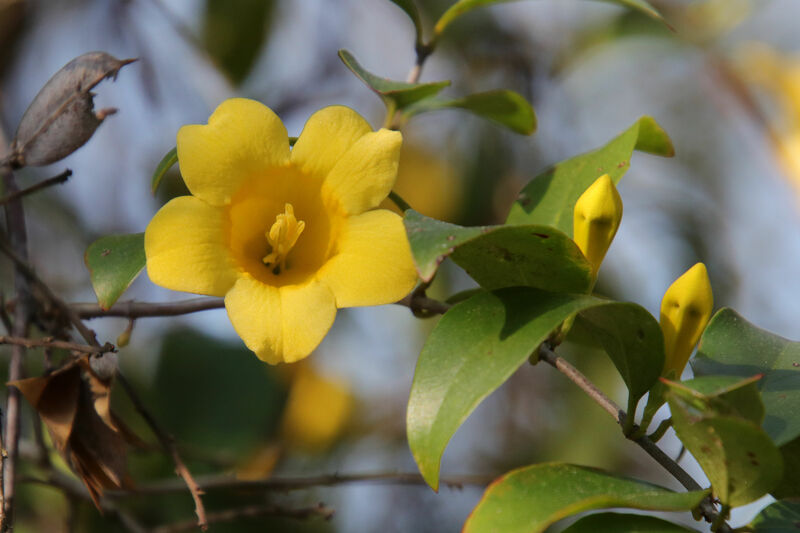 Yellow Jessamine is a common flowering vine in January and February. 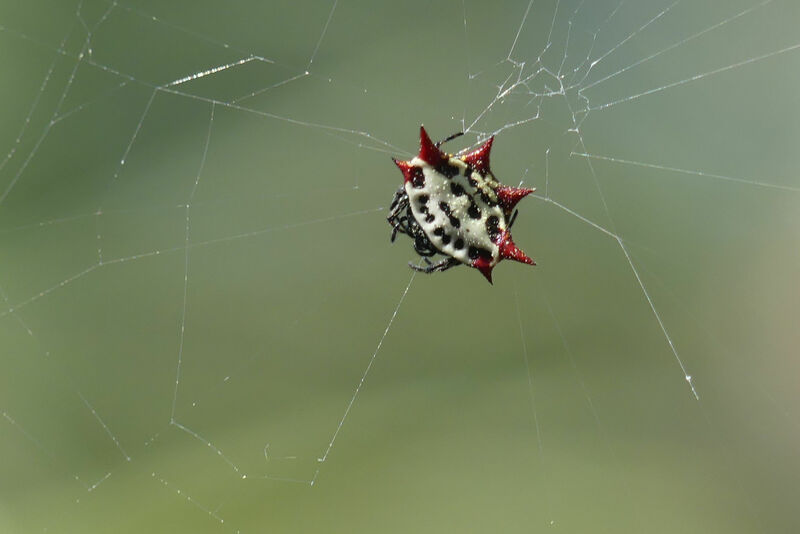 A Spiny-backed Orb-weaver suspends over the trail. 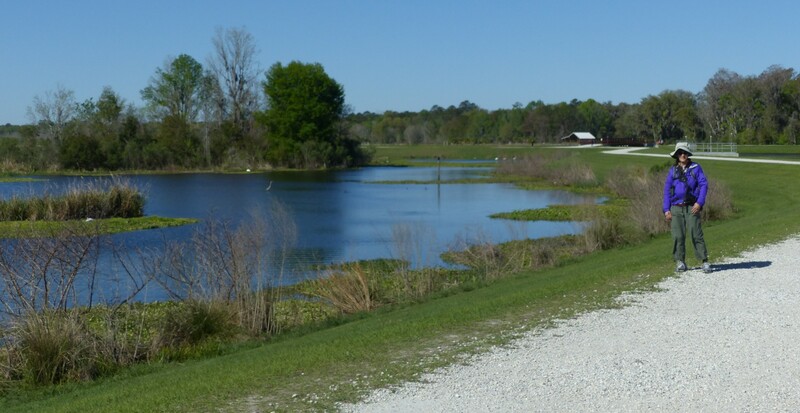 Lake Kissimmee SP is one place we will be returning to next year. 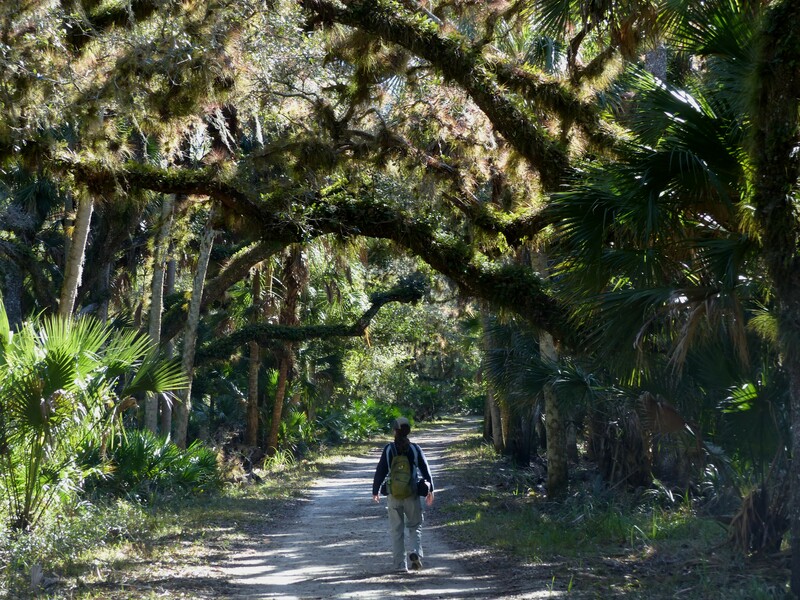 With its long hiking trails and extensive areas to explore by canoe there is always a new adventure waiting. wrapped in sage, bulrush and lily pads. 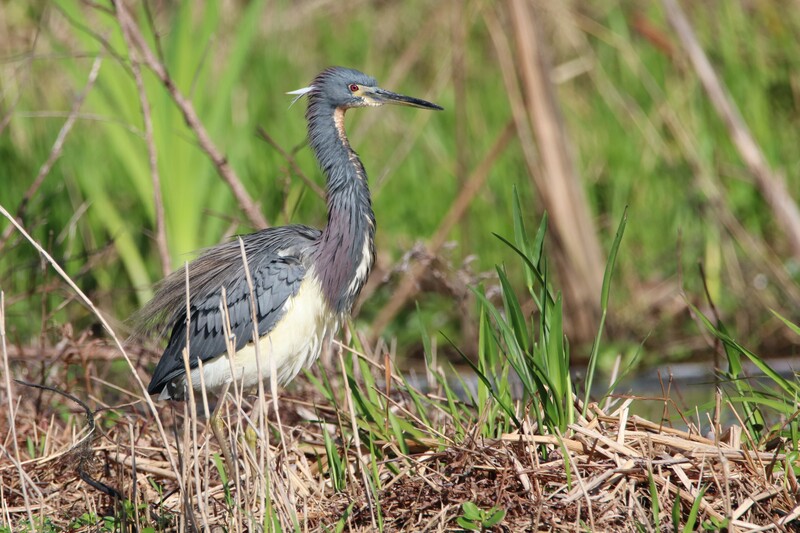 herons, hawks, egrets, and eagles announce their presence. It’s been several weeks since our return from Florida. For the last few years we’ve been blessed to travel to various state parks exploring nature and the area’s natural beauty. I’ve chosen to post a few of my favorite photos from this years trip. A following post will include some of my wife’s favorite photos. 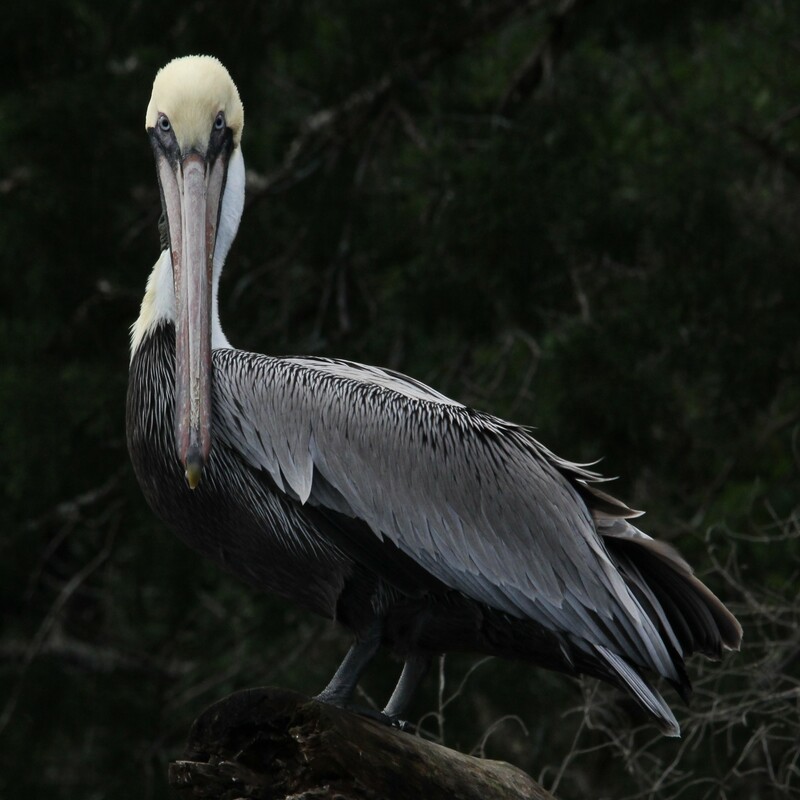 Photos are favorites, when they capture the unique beauty of a creature, are of something not seen before, or contribute in some way to the story. Favorites need not always be great photographs. 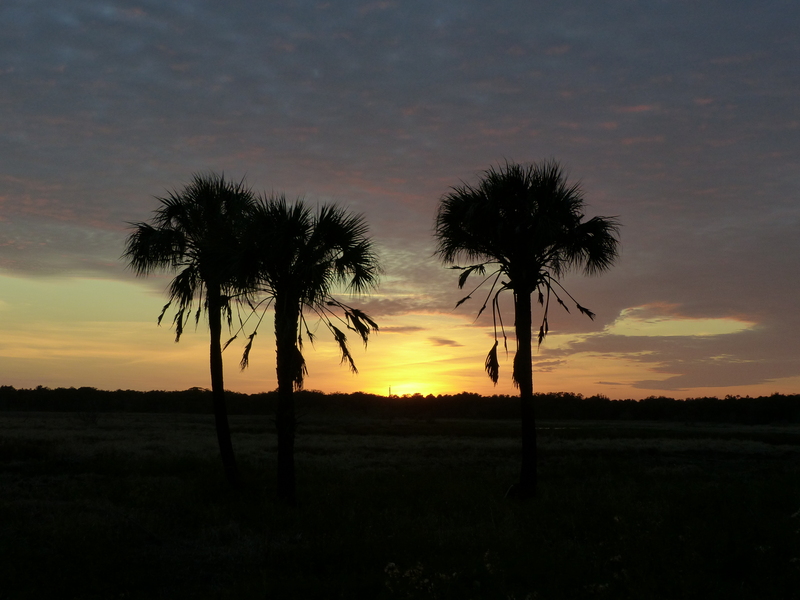 The parks visited over a period of eight weeks were: Myakka River State Park, Kissimmee Prairie State Park, Lake Kissimmee State Park, Payne’s Prairie Preserve State Park, Ochlocknee River State Park, and Three Rivers State Park. The idea was to start south and work our way north as the weather warmed going into early spring. This year we used bikes for the first time to initially explore trails which we could then hike if they looked promising. 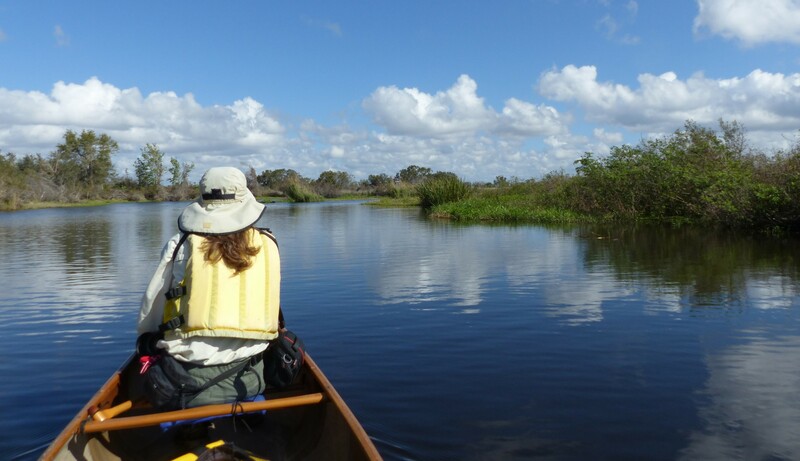 This coupled with the use of a canoe allowed us to spend time in a number of different Florida environments. On long hikes or bike rides our “go to” camera was the Panasonic FZ200. 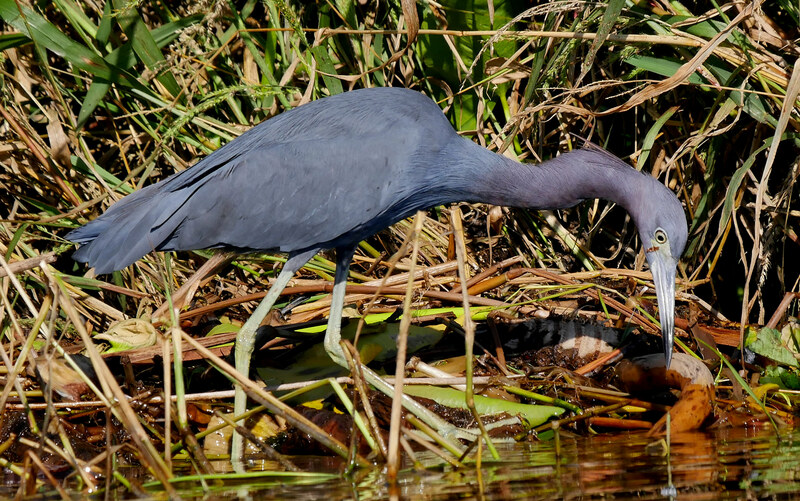 In the canoe or on shorter hikes we used DSLRs with telephoto zooms. 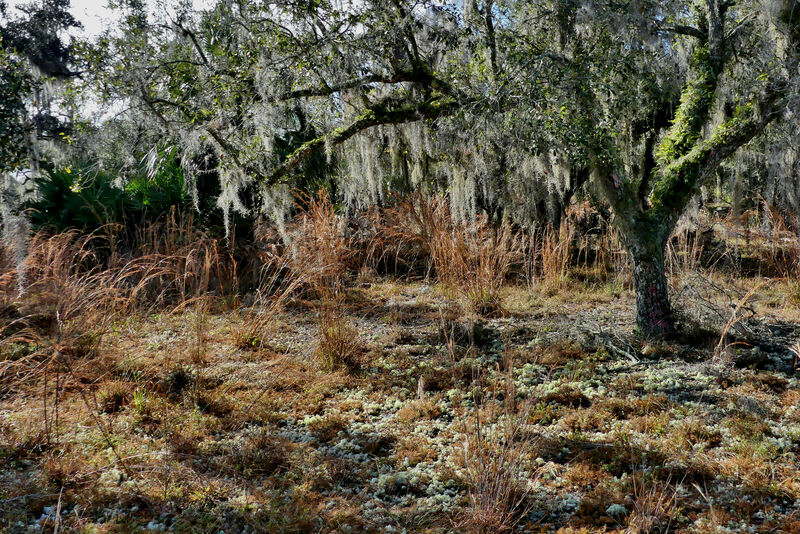 Along the trail, typical of many of the parks visited. 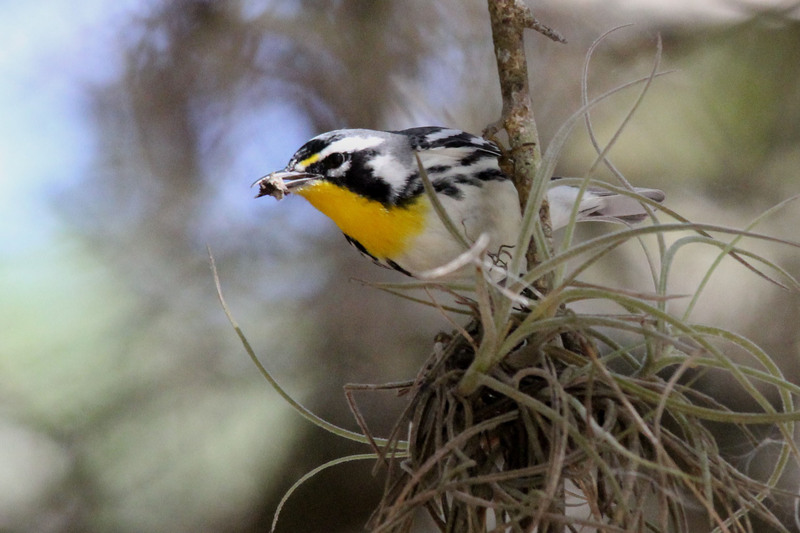 Myakka River State Park has been a favorite for the past two years primarily because of the potential for nature/bird photography. 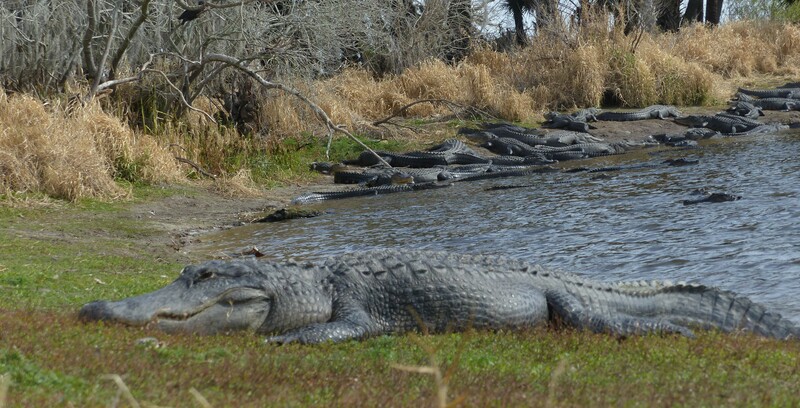 Paddling can be enjoyable if you and your partner(s) don’t mind being in close proximity to some rather large gators. 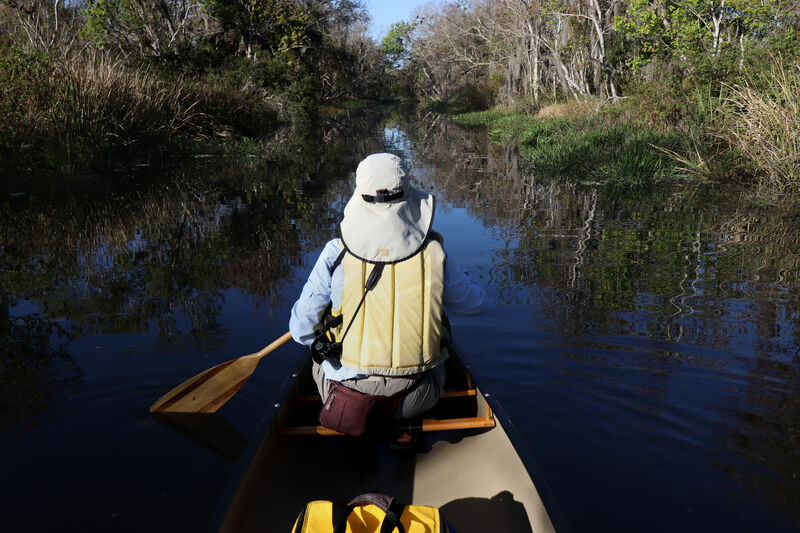 The distance one can paddle within the park may be limited depending on water conditions and your determination. 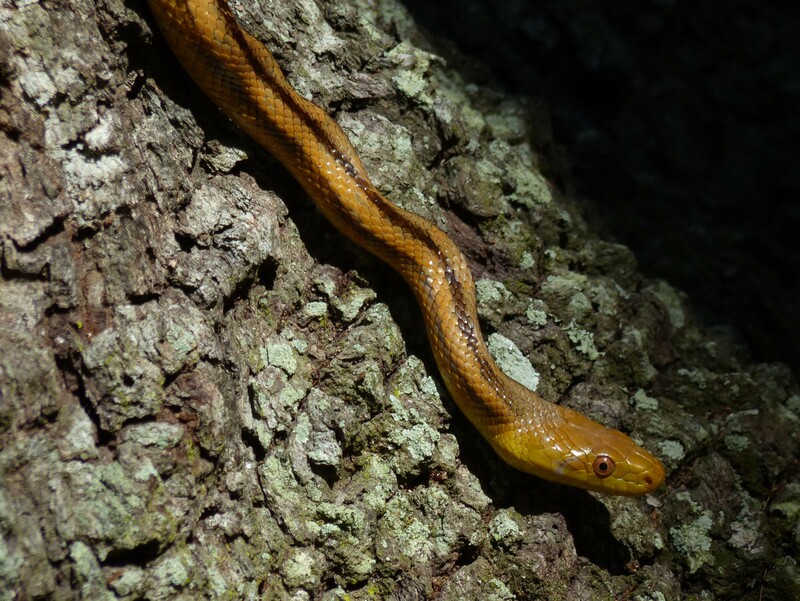 Hiking is good with some trails traversing more diverse habitat than others. 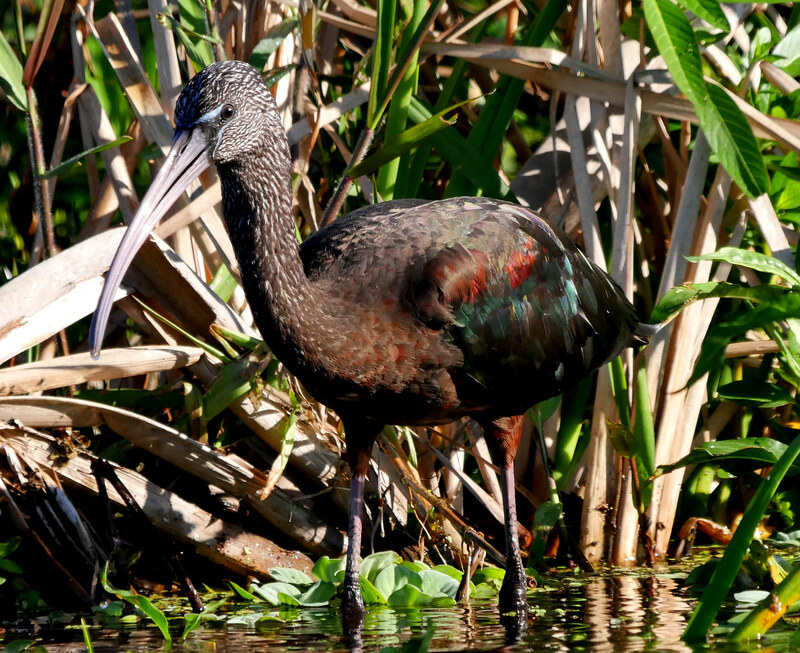 This Glossy Ibis gives ample reason for the name, Myakka River SP. 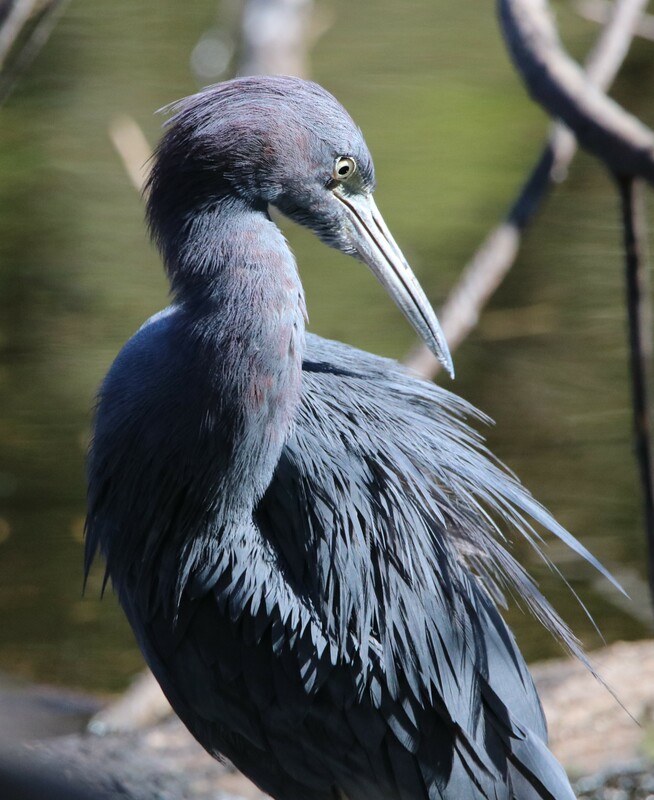 A Little Blue Heron strikes a rather exotic pose, Myakka River SP. 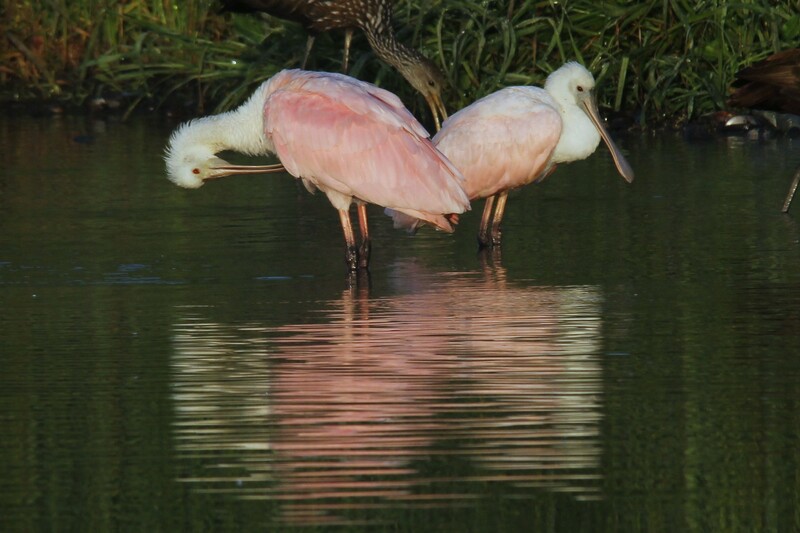 These Roseate Spoonbills were taking full advantage of the concentrated but temporary food source caused by a recent hurricane that flooded a substantial portion of the park trapping fish and other edibles in depression pools left as the water receded, Myakka River SP. 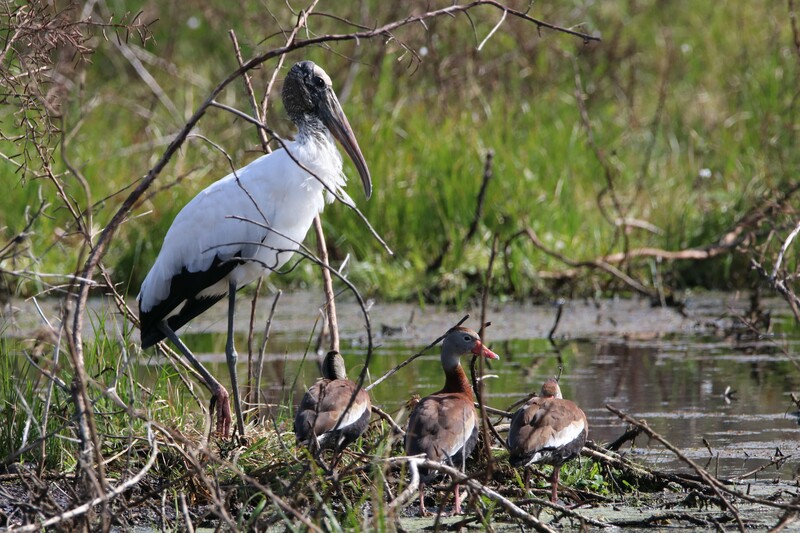 Wood Storks and Whistling Ducks seem to get along just fine, Myakka River SP. 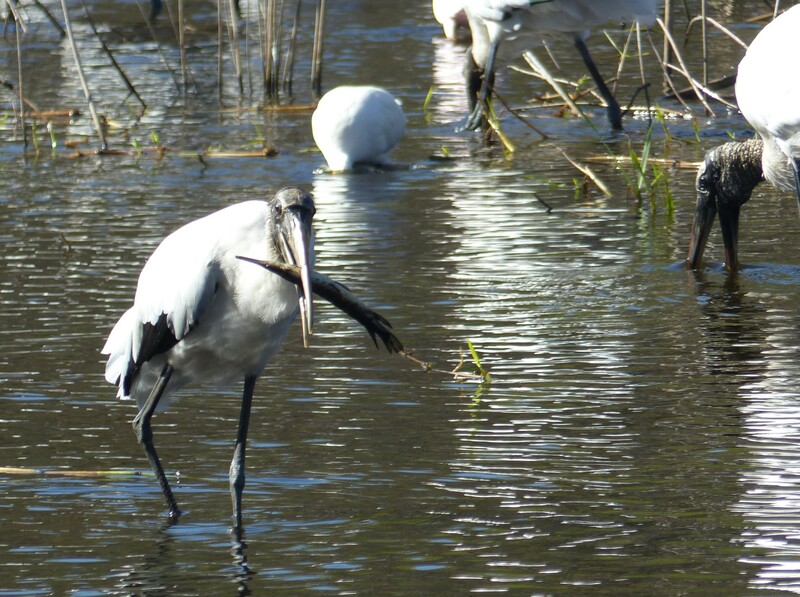 A Wood Stork shows off it’s catch, Myakka River SP. 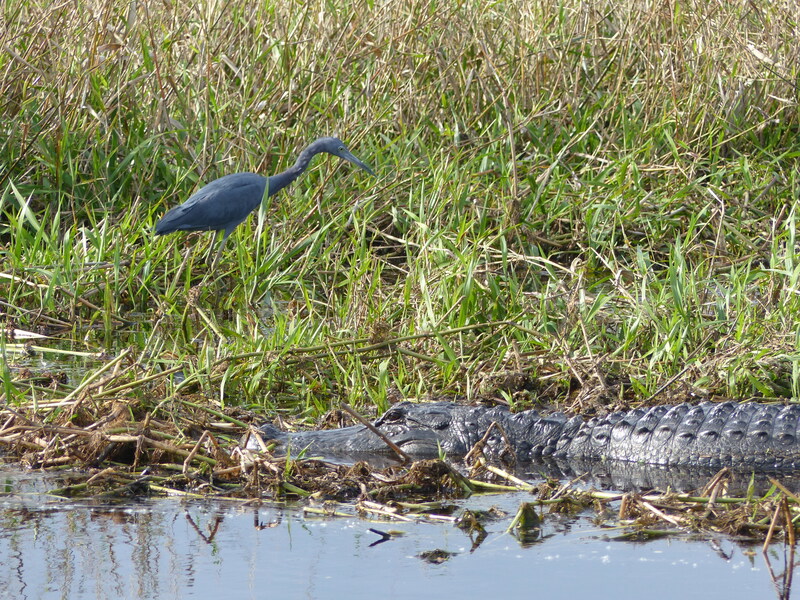 Momentarily startled, birds take a break from the depression pool feeding frenzy, Myakka River SP. 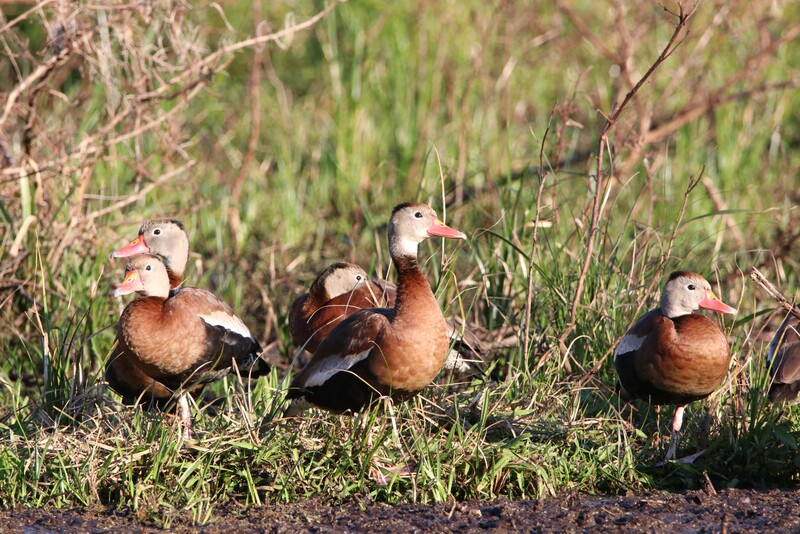 The Whistling Ducks in a better light, Myakka River SP. 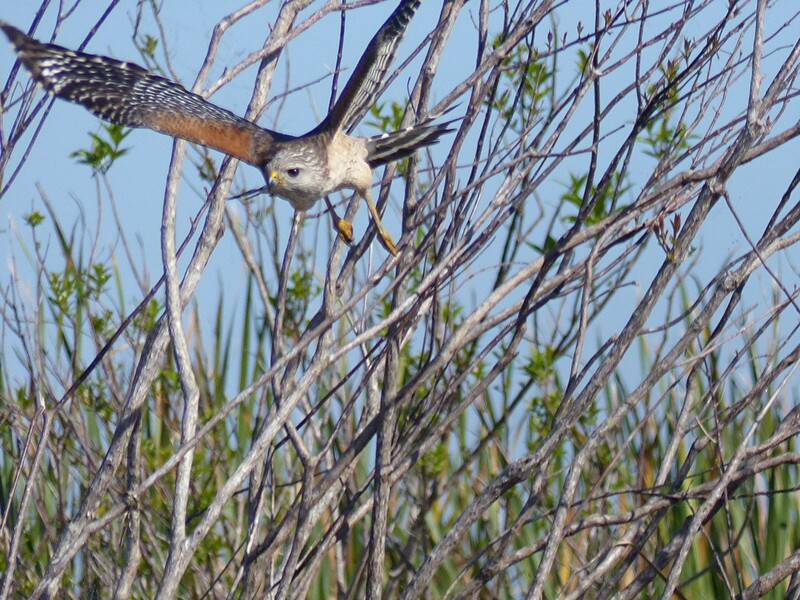 Red Shouldered Hawks (FL morph) are very common, Myakka River SP. 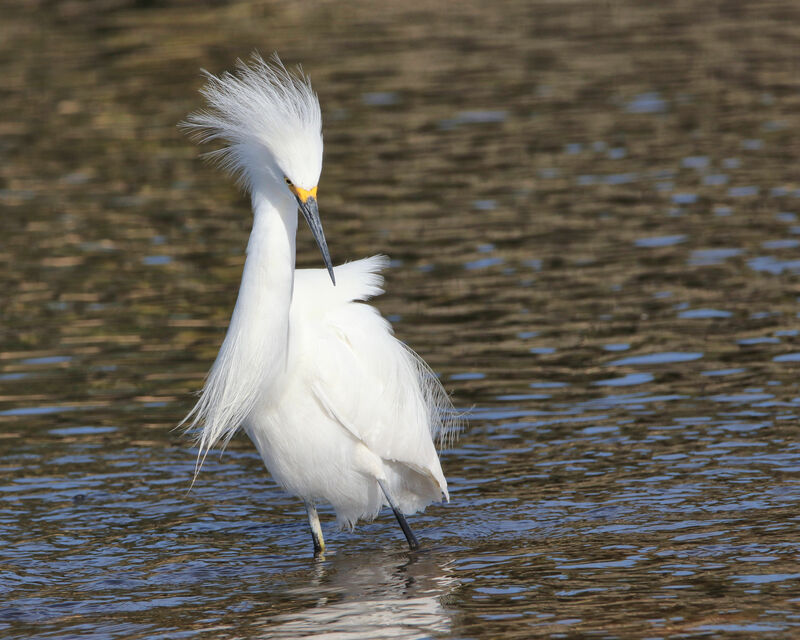 This Snowy Egret provides ample proof as to why these birds were almost driven the extinction in the late 1800s and early 1900s all for the sake of fashion, Myakka River SP. 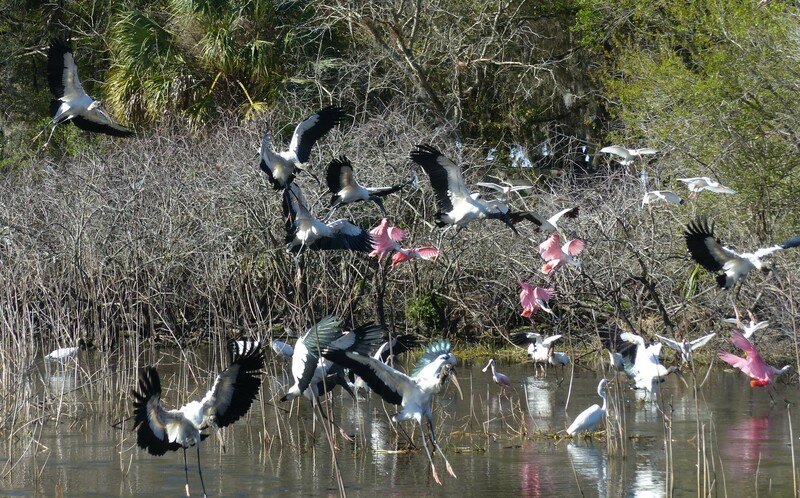 White Pelicans over Myakka River SP. 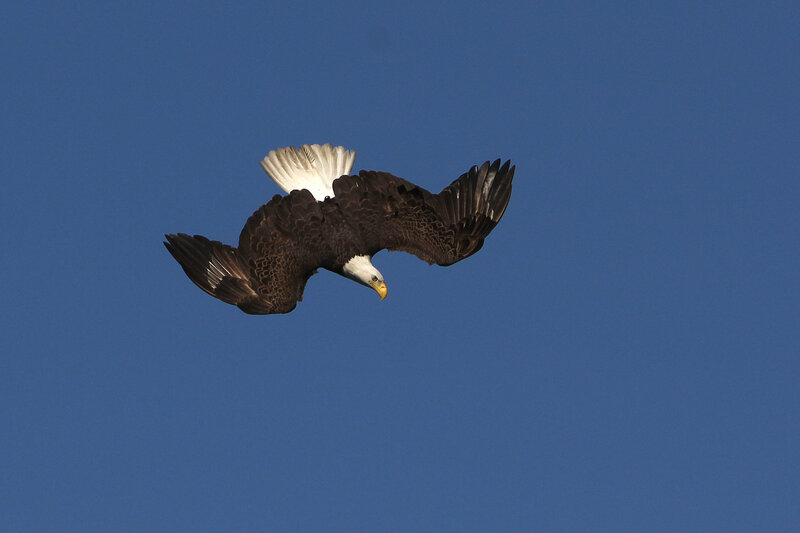 Something that must be witnessed in person as a photograph does not capture their graceful flight. 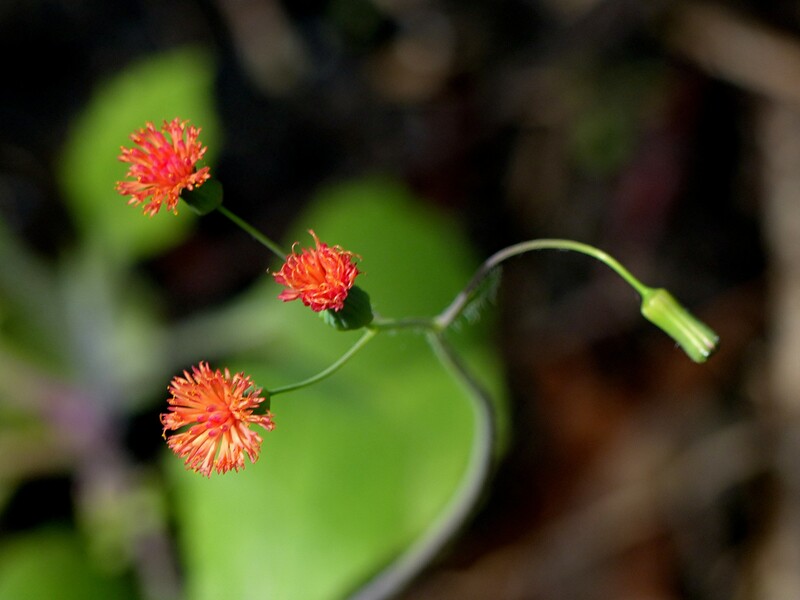 Florida Tassel Flower, Myakka River SP. 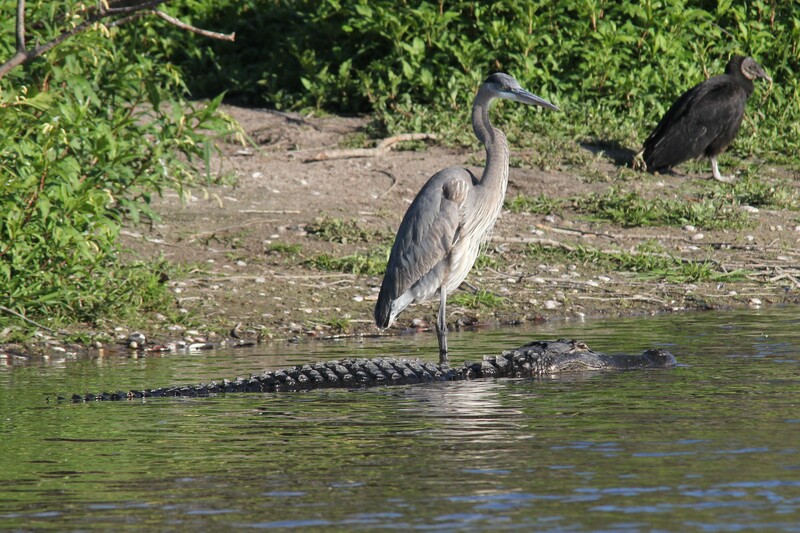 Peaceful coexistence in Myakka River SP. At least until the gator grows up! 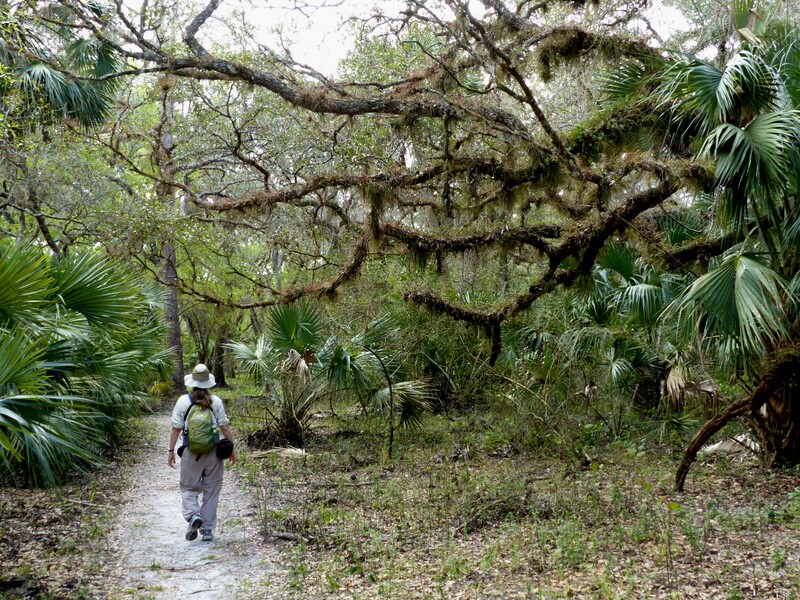 If you love gators take the hike (permit required) to the Deep Hole in Myakka River SP. 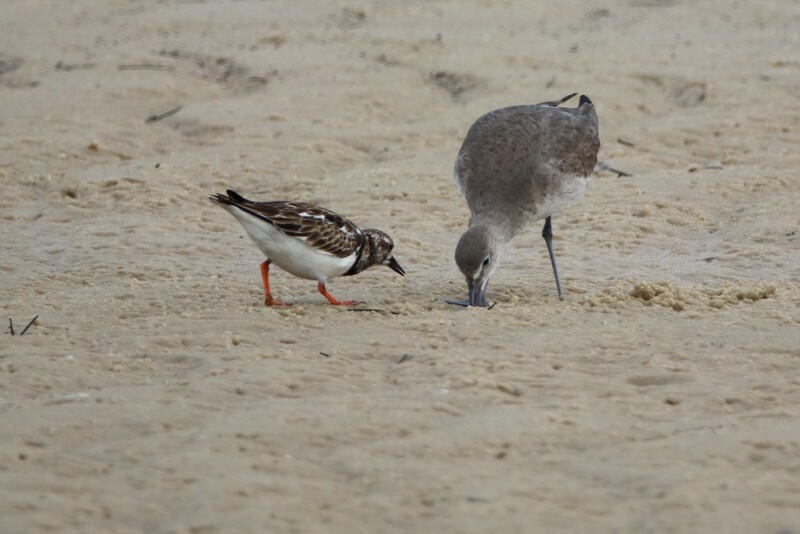 A hiking partners count indicated that there were 151 along the shore and 18 in the water the day we were there. 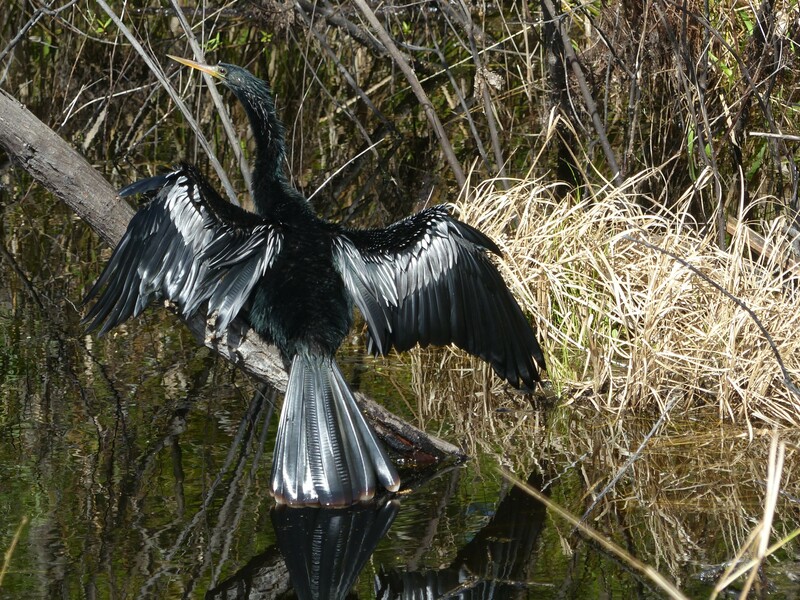 An Anhinga dries out and in the process makes a beautiful picture, Myakka River SP. 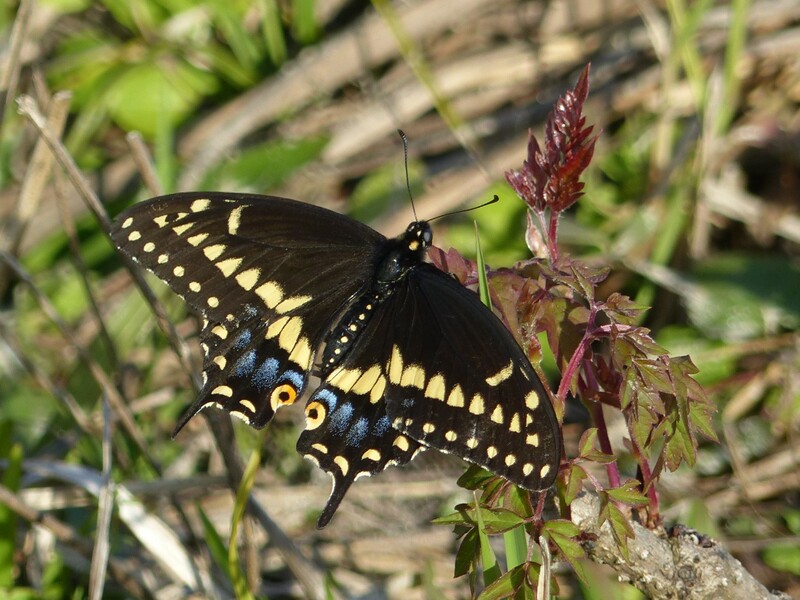 Kissimmee Prairie State Park was a new park for us this year. 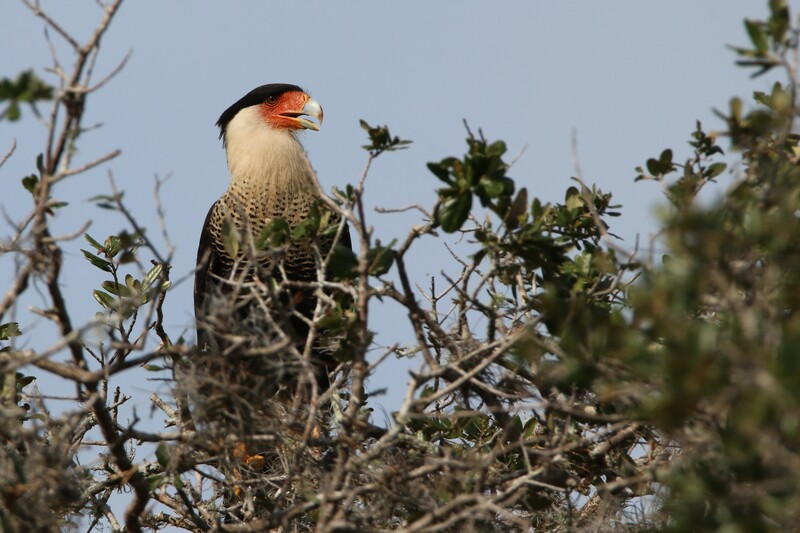 The main draw was the chance to see Crested Caracara as well as Burrowing Owls. The trails, while extensive, were often under water. 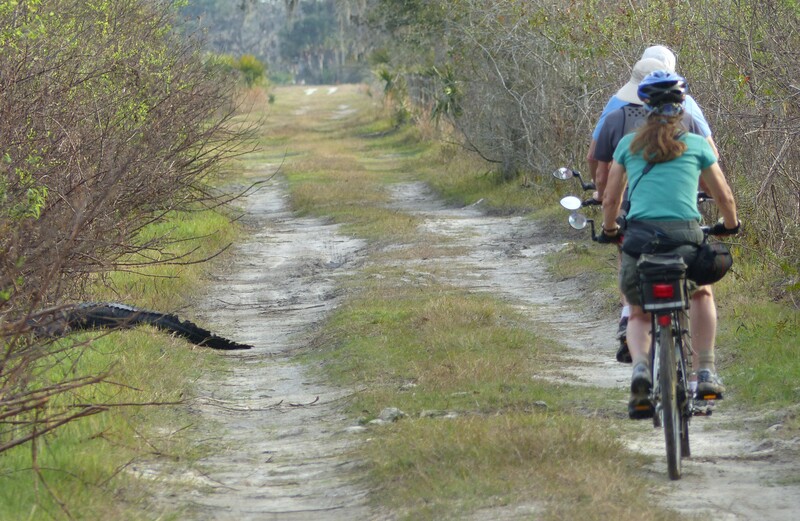 A trail capable bicycle is almost essential if you really want to explore the park. 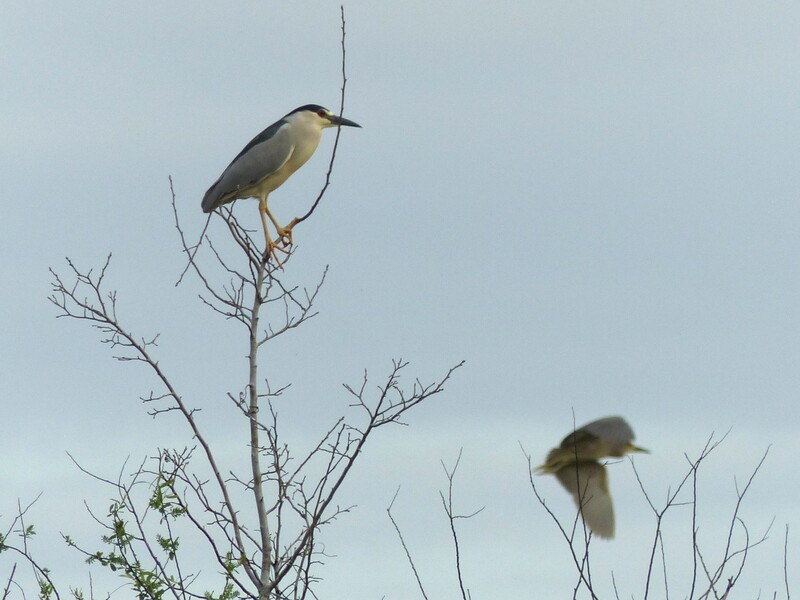 While no Burrowing Owls were seen, a Black-crowned Night Heron rockery as well as other bird species made the stay worthwhile. 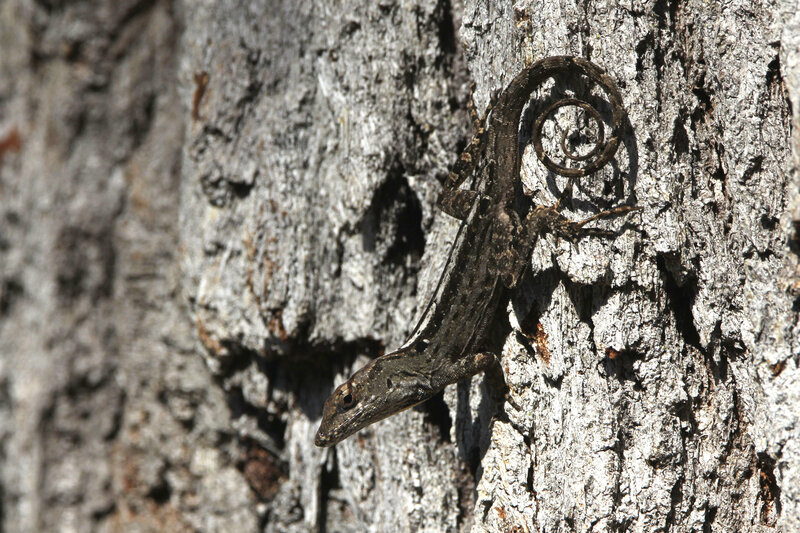 Numerous creatures call the park home. 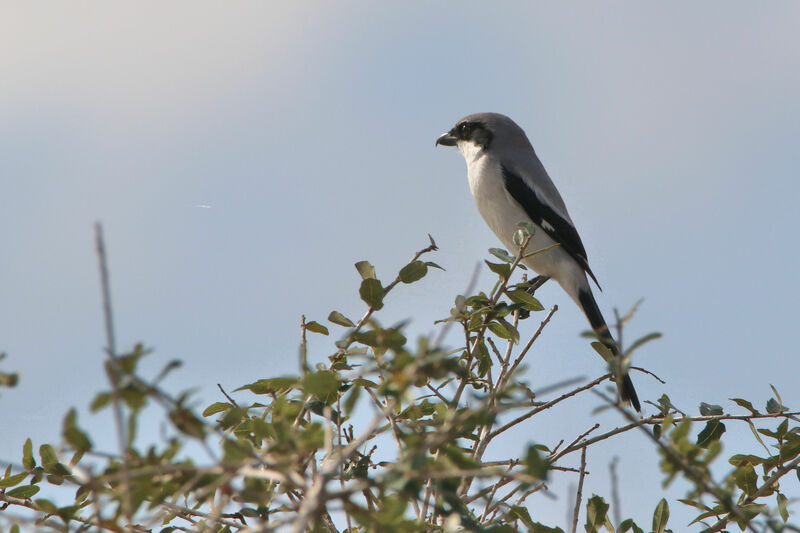 While looking for the Crested Caracara we were delighted to see this Loggerhead Shrike, Kissimmee Prairie SP. 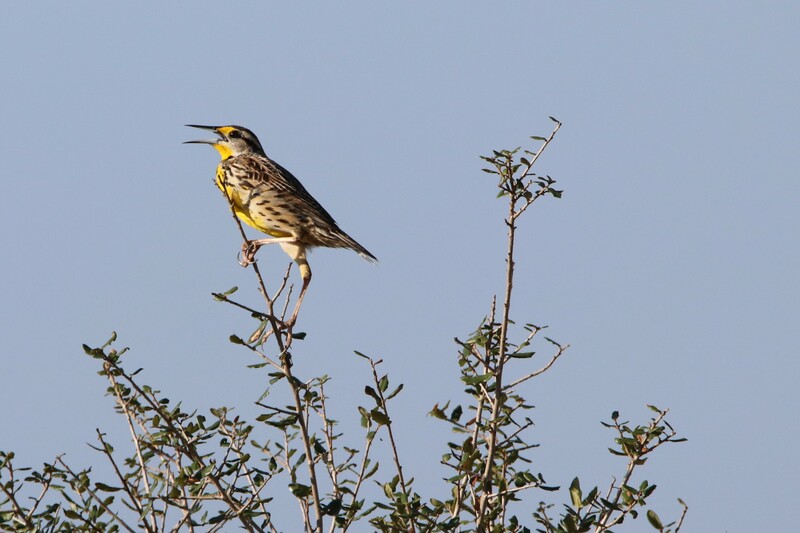 Eastern Meadowlarks were quite common in the park. Getting close enough for a really great photo was always a challenge. 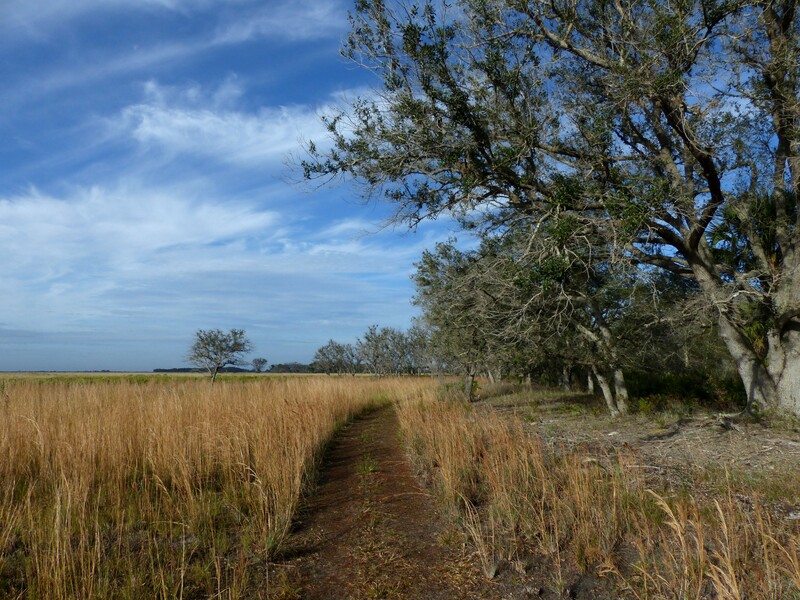 Trail in Kissimmee Prairie SP. 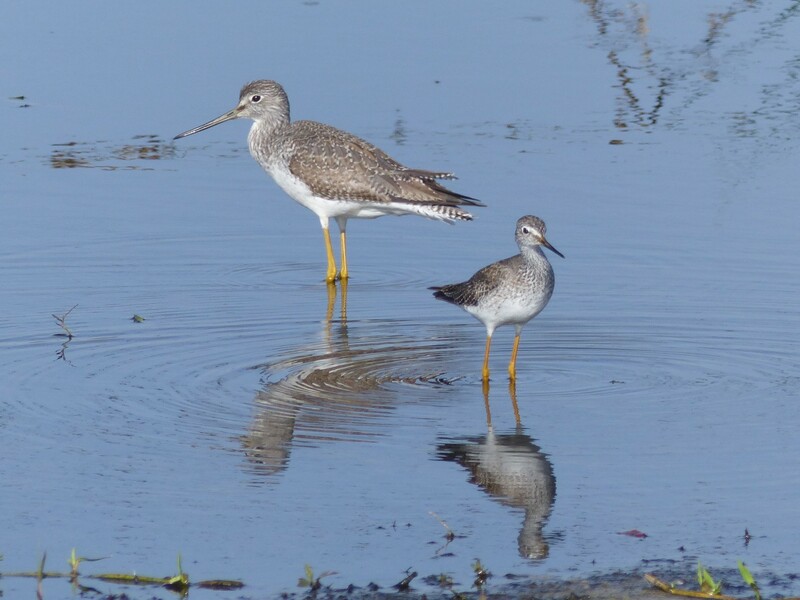 A side by side comparison of a Greater and Lesser Yellowlegs, Kissimmee Prairie SP. 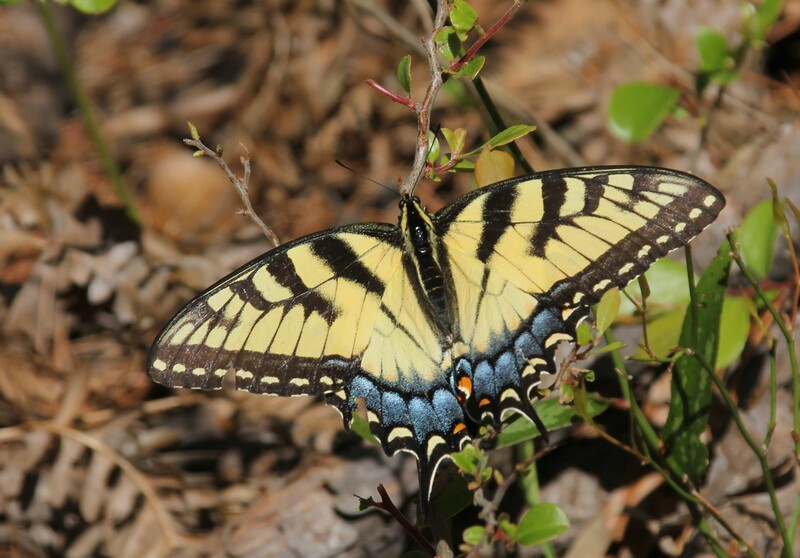 Black Swallowtails almost never seem to land but then one afternoon, as I looked at some distant birds, there it was right at my feet..
A Black-crowned Night Heron rookery of perhaps 30 or 40 birds was discovered along one of the trails. 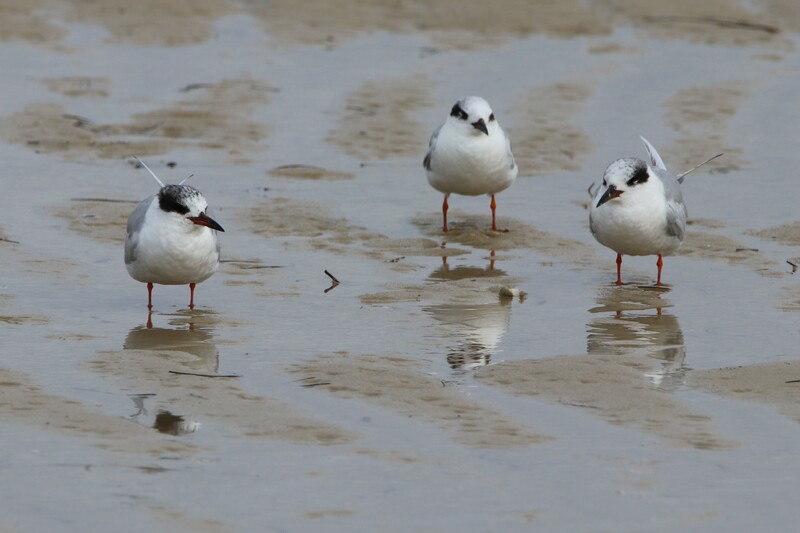 They scattered as soon as we got close. 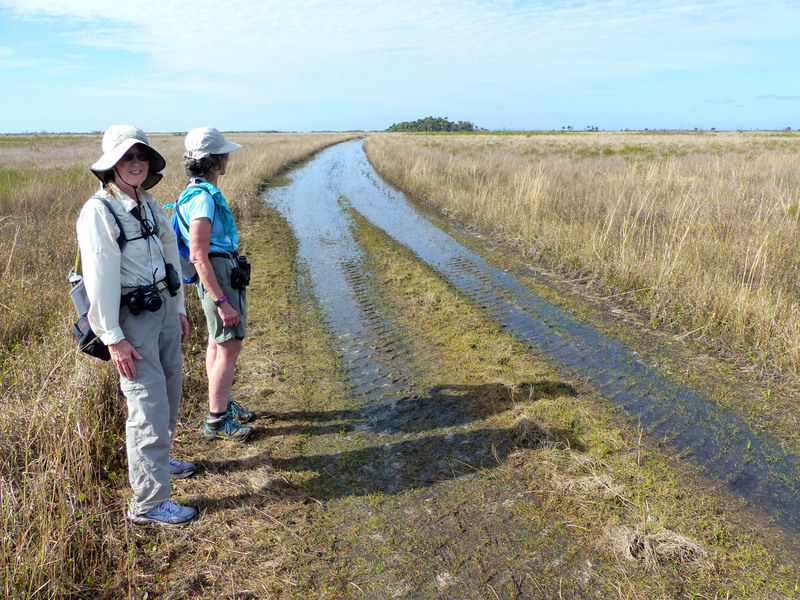 Exploring the trail near the rookery, Kissimmee Prairie SP. 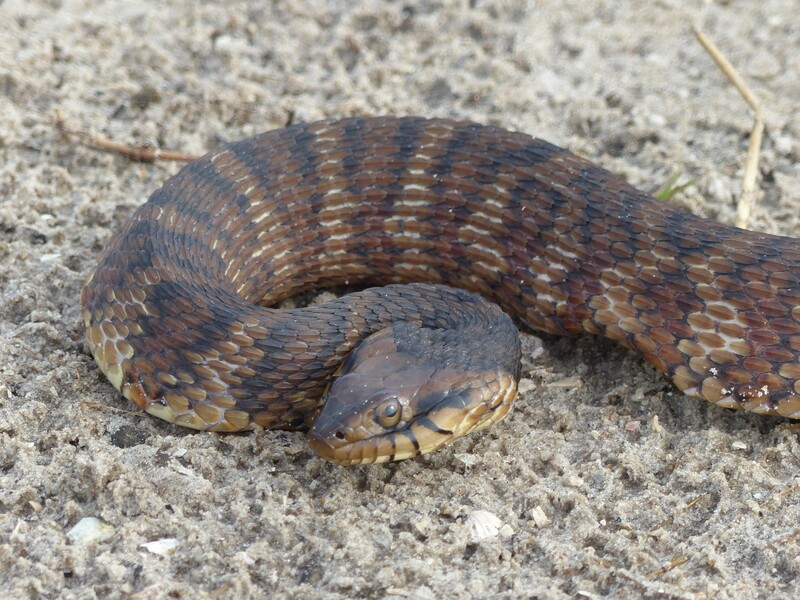 While reconnoitering a new trail we found this Florida banded water snake, Kissimmee Prairie SP. 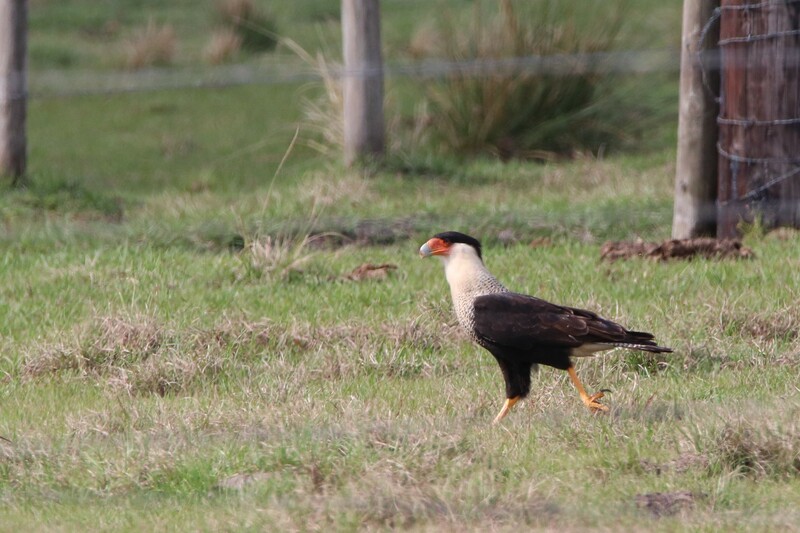 Probably the most interesting bird seen during our stay was the Crested Caracara. 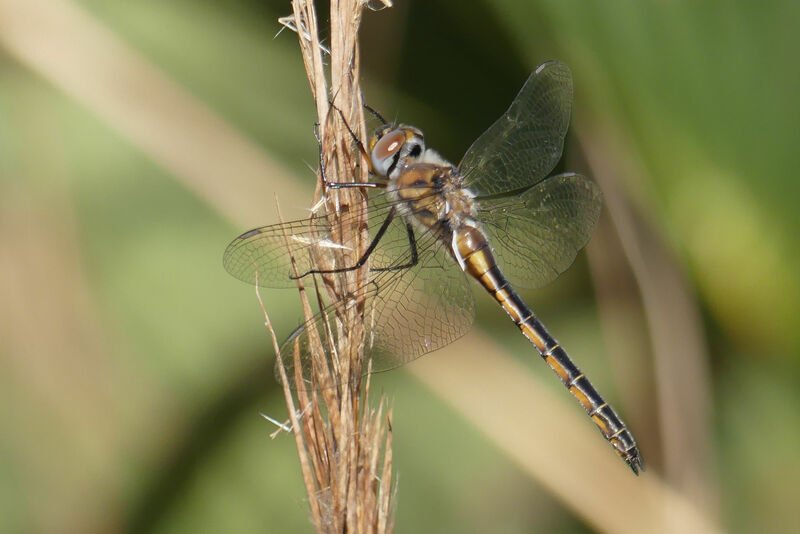 Common in SW Texas it’s range is very limited in Florida, Kissimmee Prairie SP. 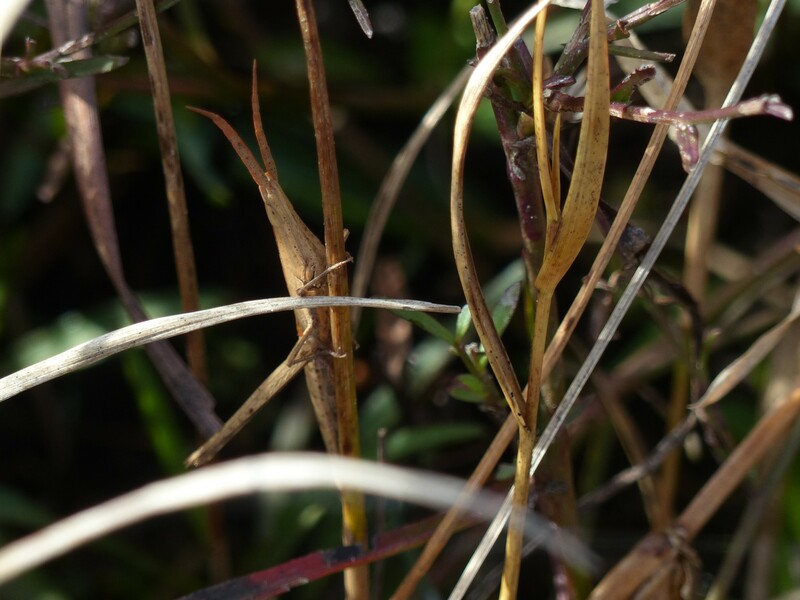 Can you find the insect? 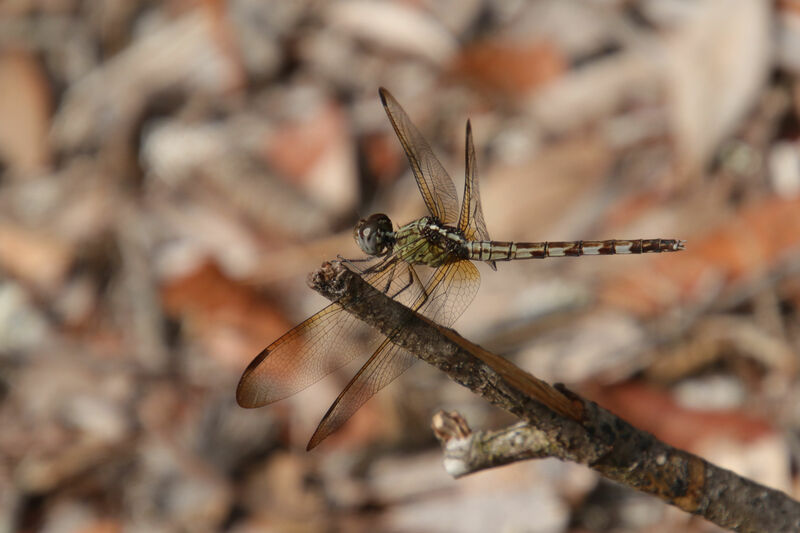 Kissimmee Prairie SP. 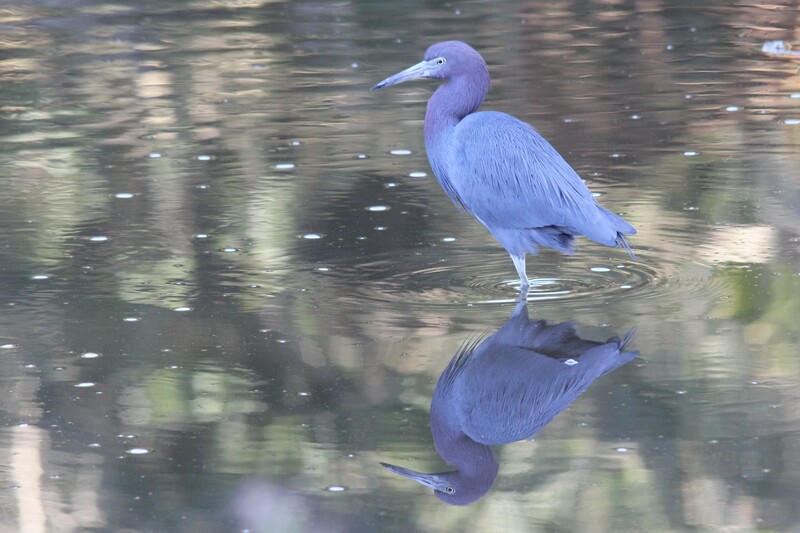 An immature Little Blue Heron casts a lovely reflection, Kissimmee Prairie SP. 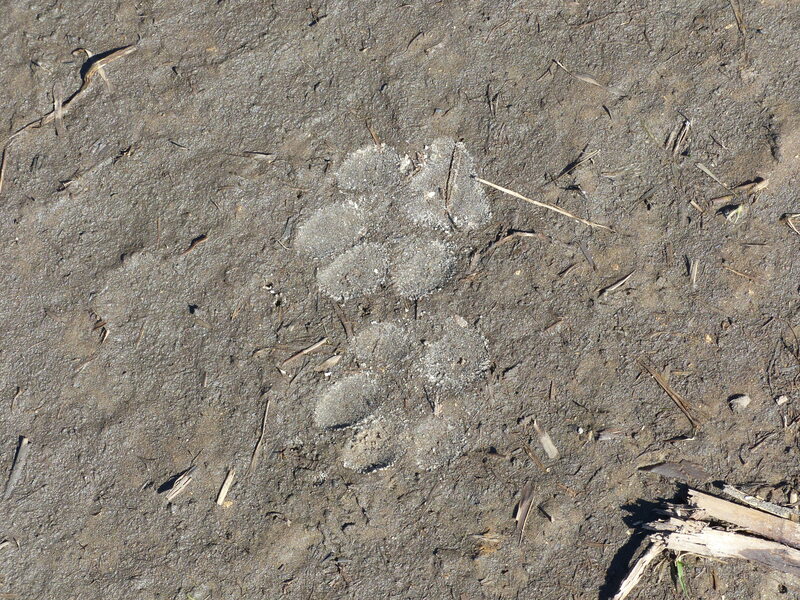 Sometimes we only saw evidence of wildlife, a Bobcat, Kissimmee Prairie SP. 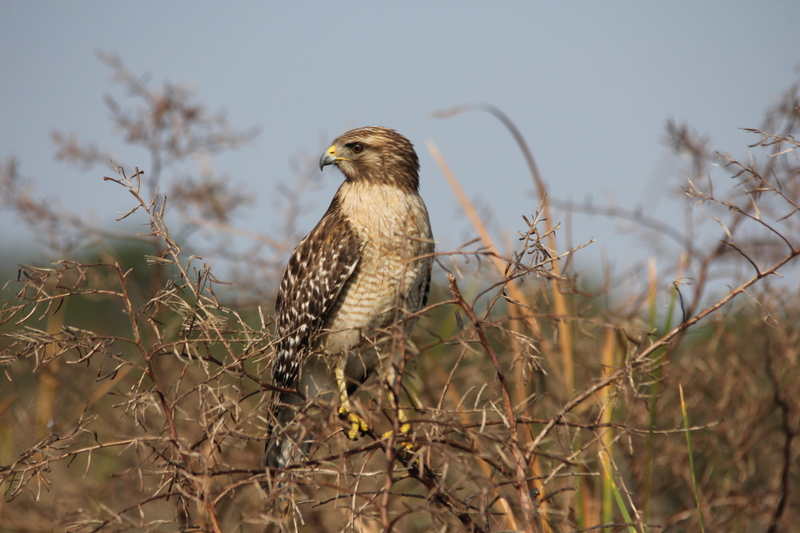 One wonders how many birds fall prey to alligators, Kissimmee Prairie SP. 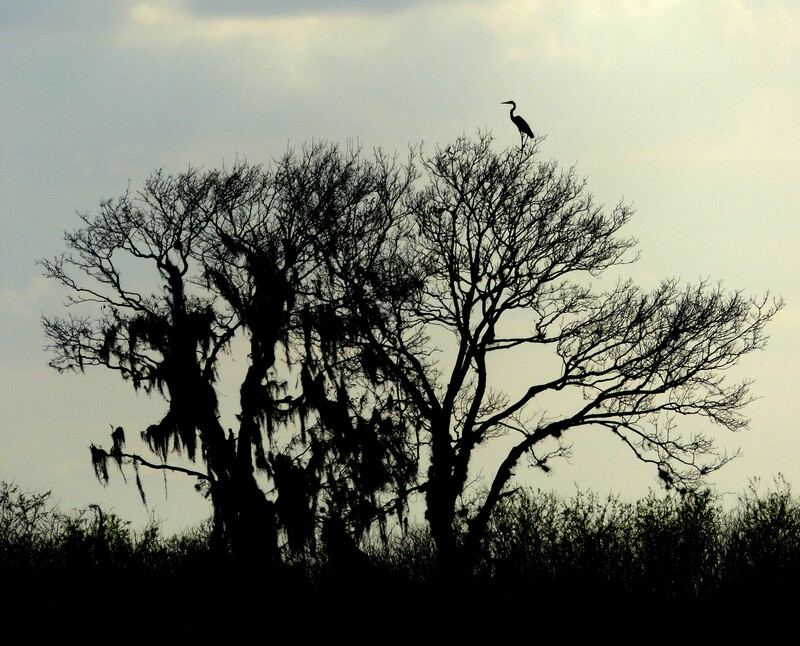 A lone sentinel, Kissimmee Prairie SP. While many miles of hiking trails were advertised not all were suitable for that purpose. 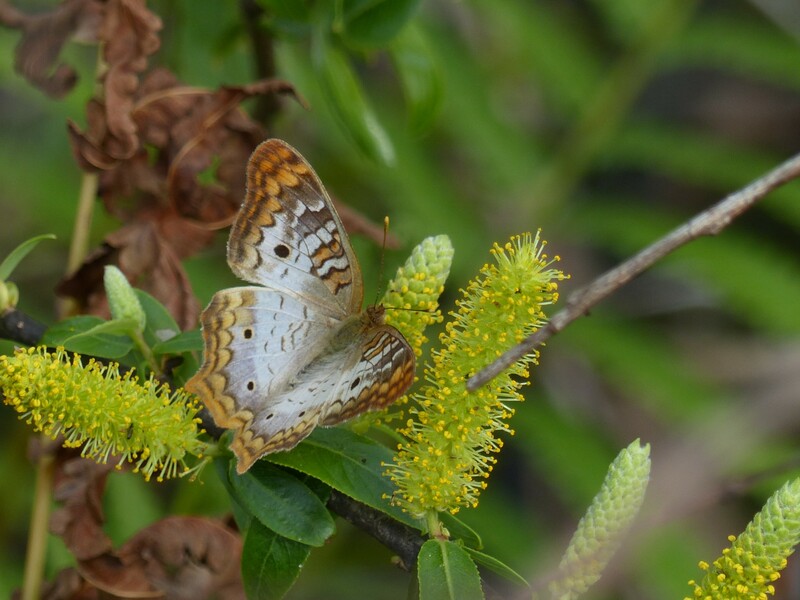 Numerous White Peacock butterflies graced the trail edge as we hiked, Kissimmee Prairie SP. 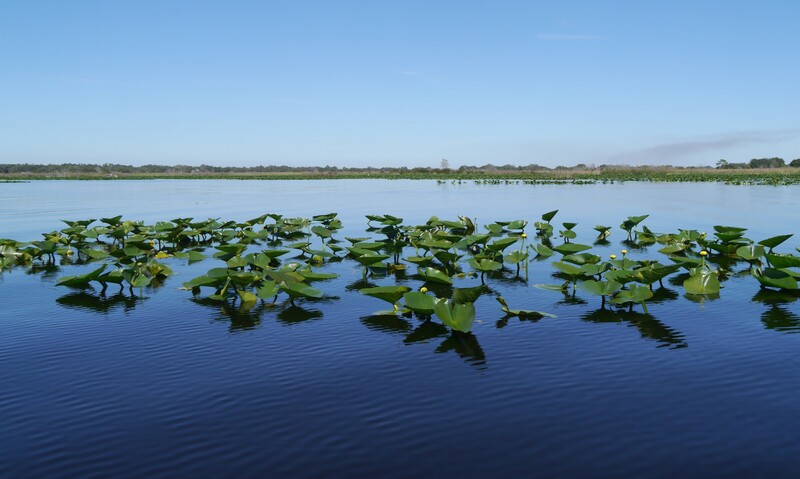 Lake Kissimmee State Park is a favorite offering fairly extensive paddling and hiking opportunities. 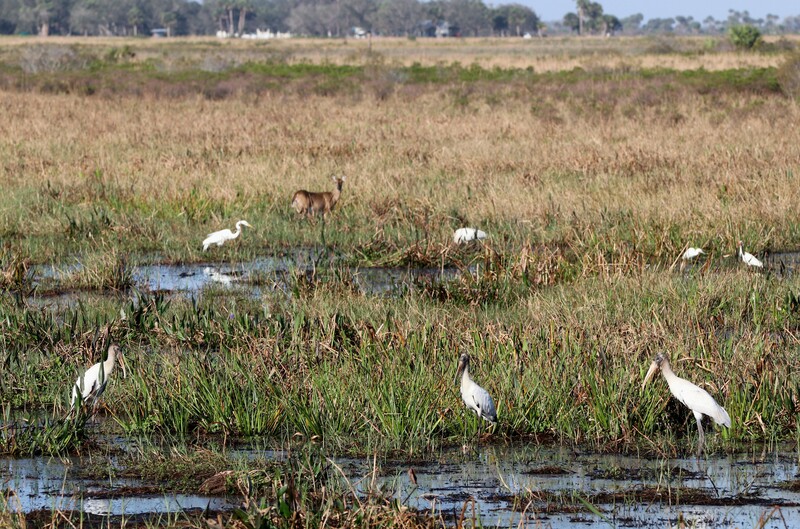 Nature viewing, while not as concentrated an experience as Myakka River, is very good. 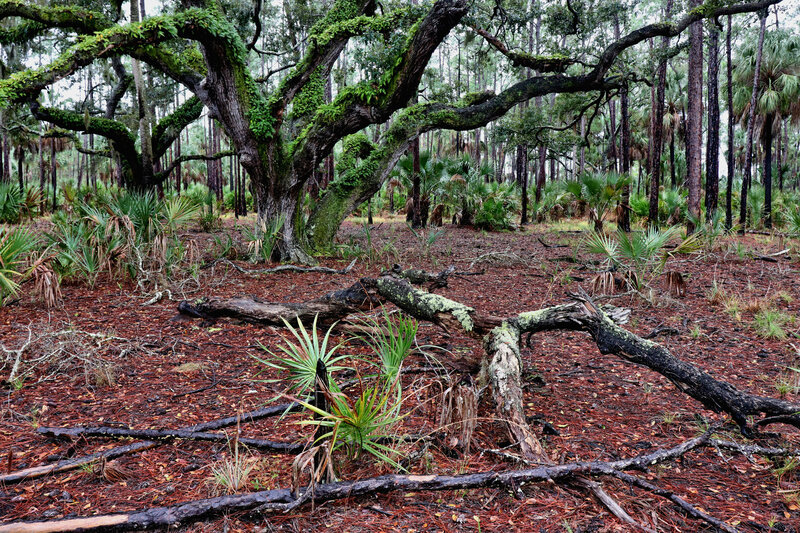 Campsites are some of the best in Florida. 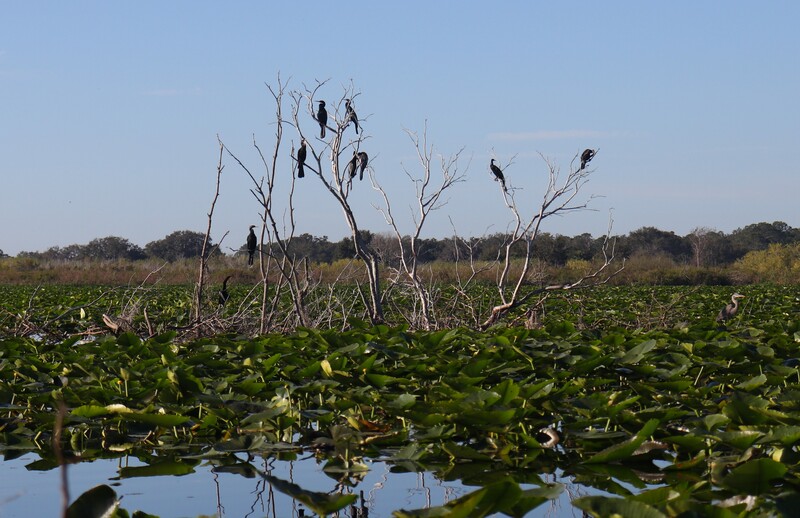 The only downside is airboat noise on the weekend and make no mistake they are load. There are many lovely trails in the park. 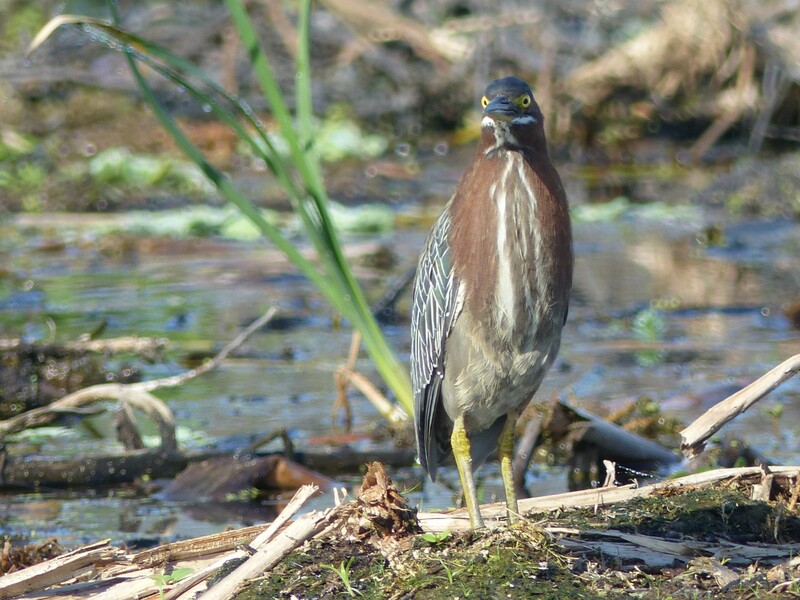 Not many Green Herons are seen in Florida, perhaps due to their excellent camouflage, but his one was spotted along Tiger Creek. 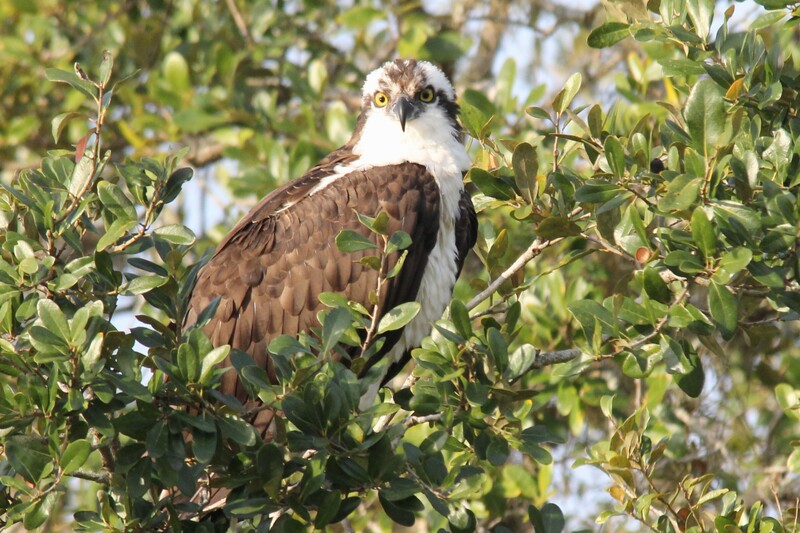 Tiger Creek, Lake Kissimmee SP. 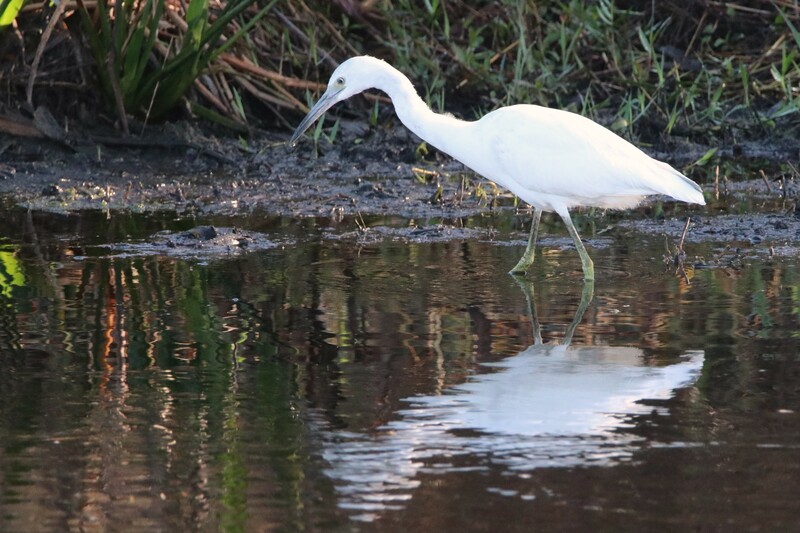 A Snowy Egret along Tiger Creek. 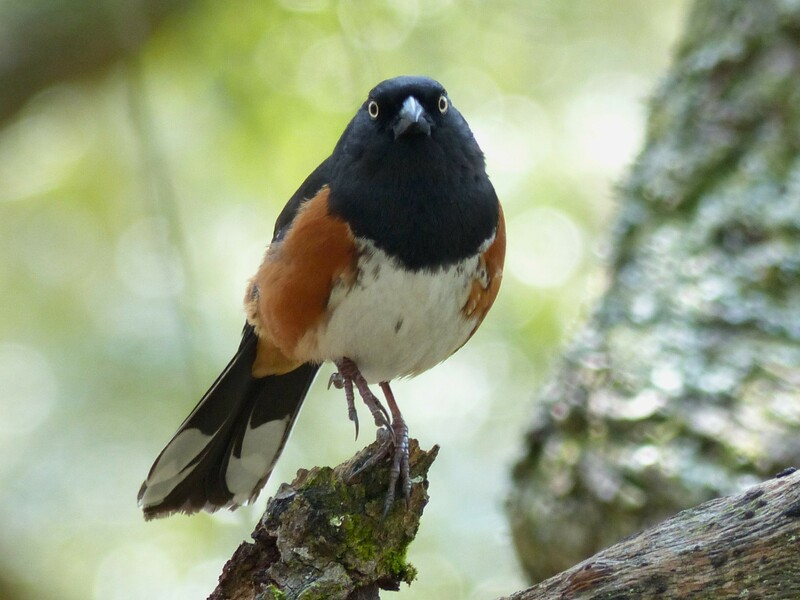 While bicycling on one of the park trails this Eastern Towhee posed for a picture. 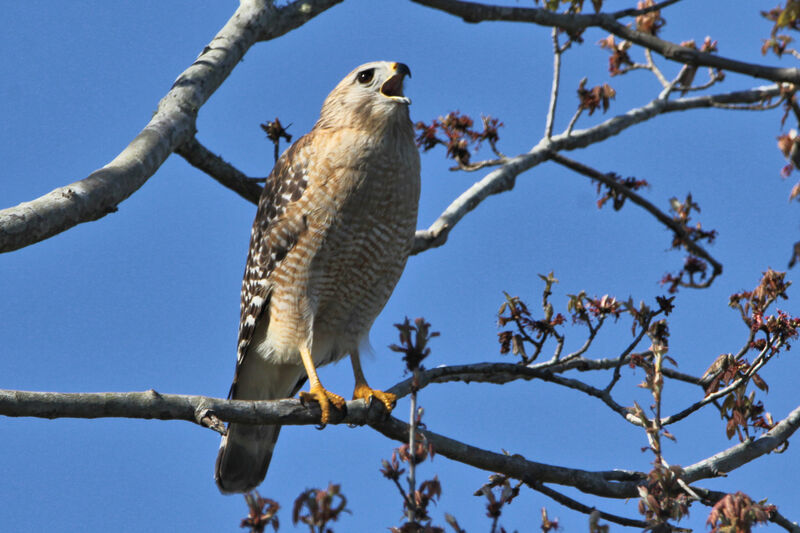 Along the lake shore this Red-shouldered Hawk almost eluded the camera’s lens. 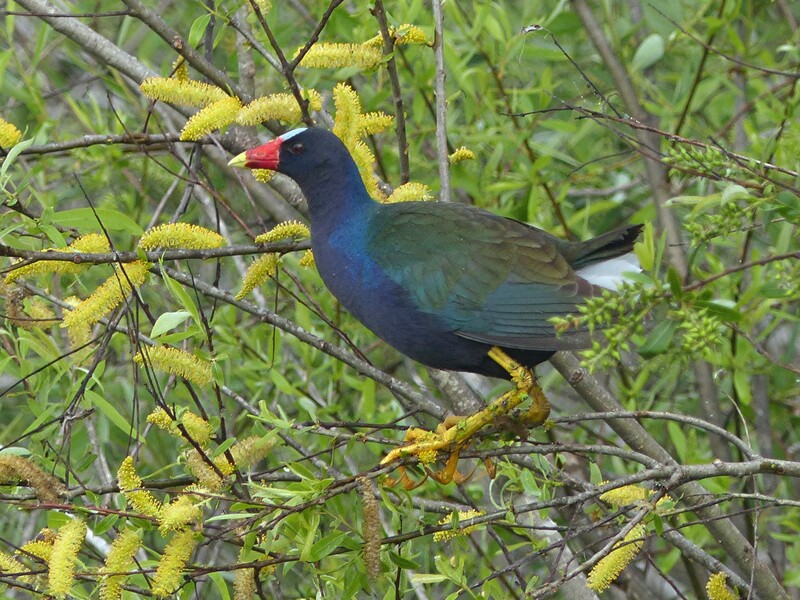 One of the most beautiful birds in Florida, the Purple Gallinule seen along the shore of Lake Kissimmee. 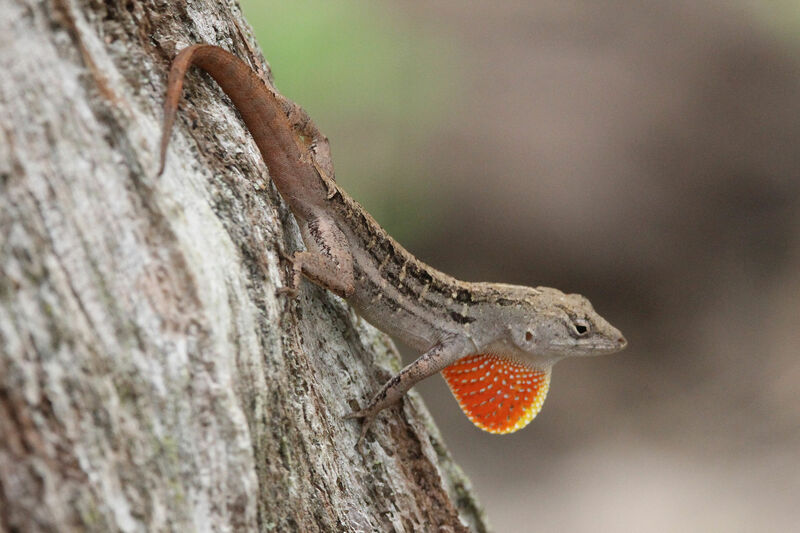 Supposedly not all that uncommon but we haven’t seen many over the three years we’ve been going to Florida. 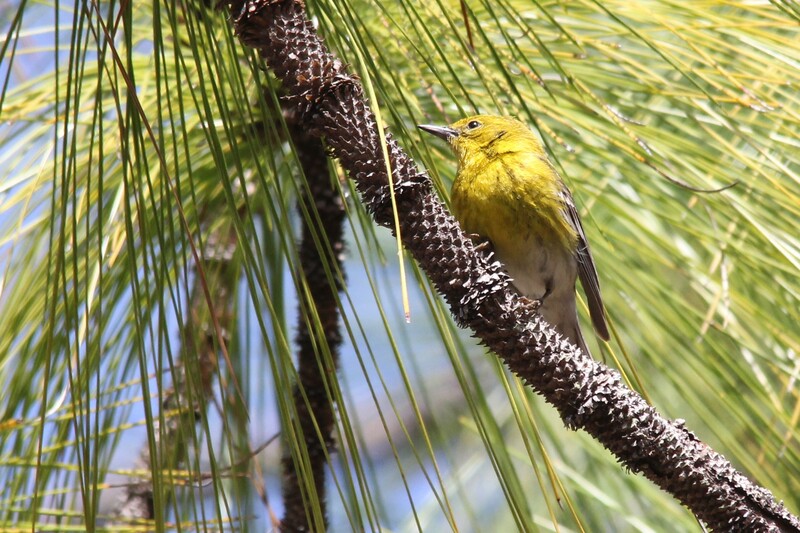 A Pine Warbler seems to be checking something out. 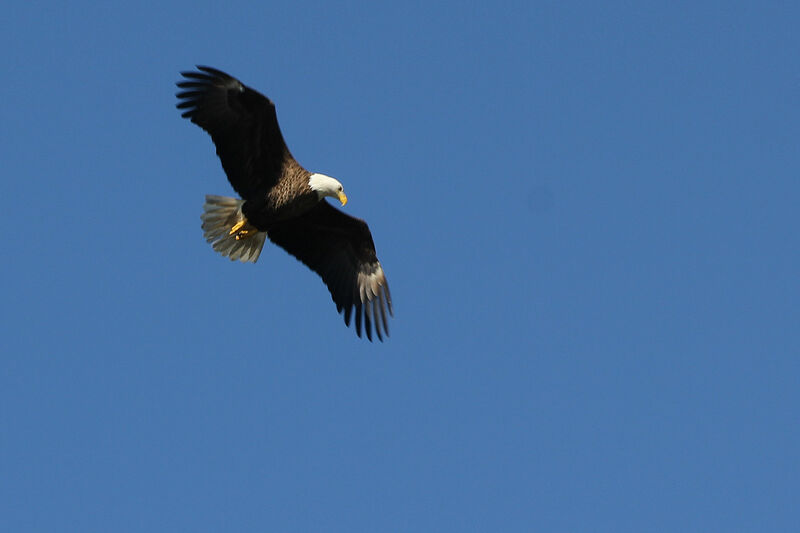 Some distance away, a solitary Bald Eagle watches as we paddle by. 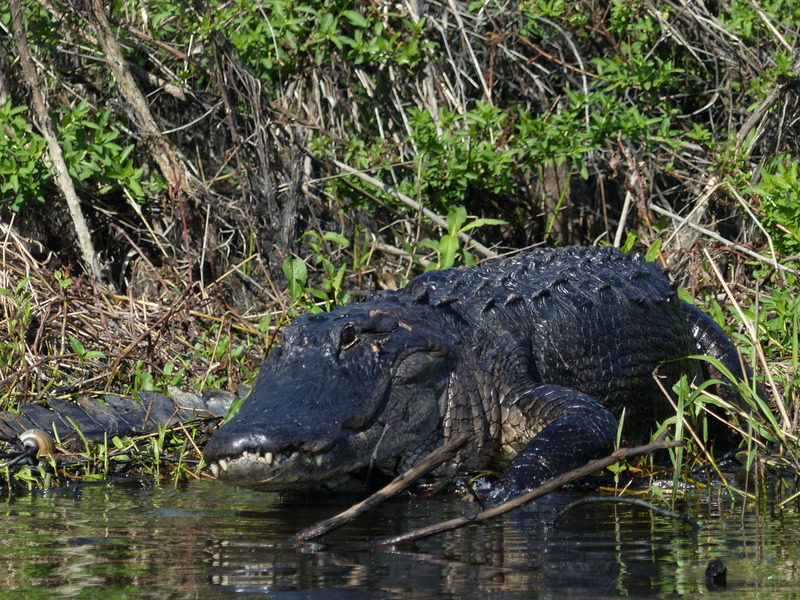 In a quest to get a dramatic picture of this rather large gator we paddled a little too close. It wasn’t happy and neither was my wife! 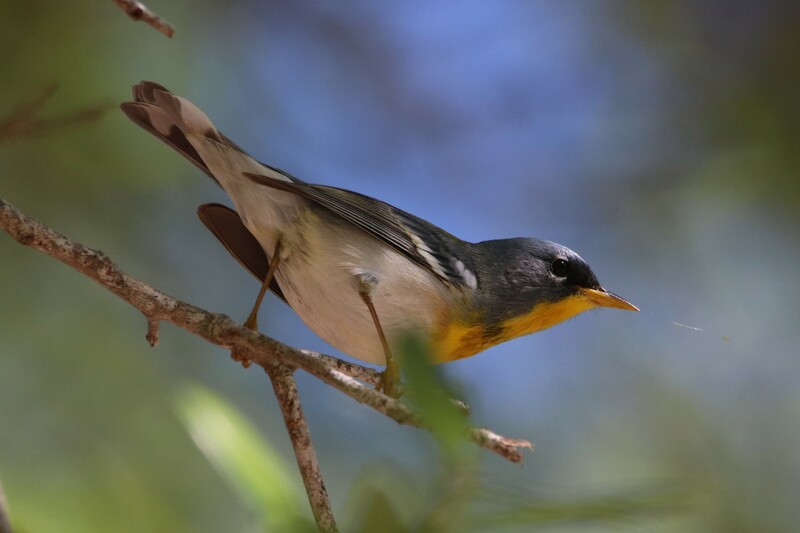 A Northern Parula Warbler proves difficult to photograph. 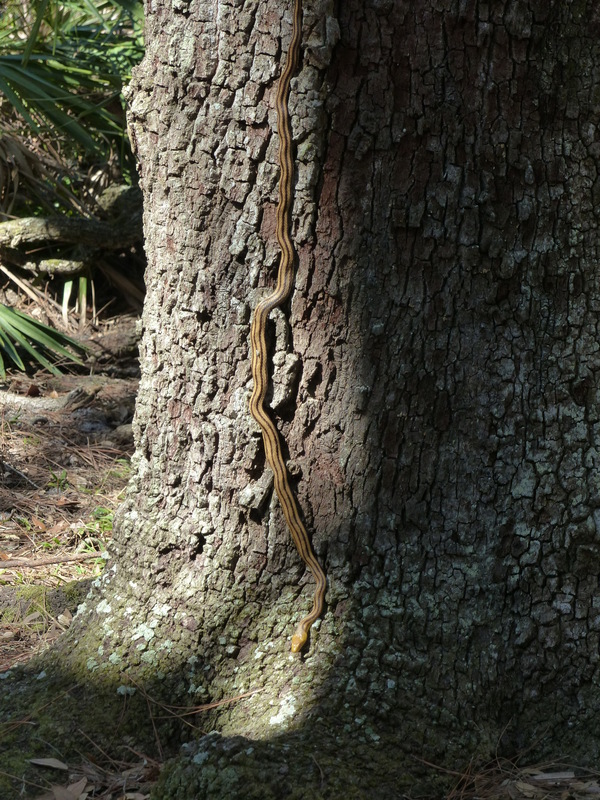 Along the trail in Lake Kissimmee SP a rather large Yellow Rat Snake makes itself comfortable in the morning sun. 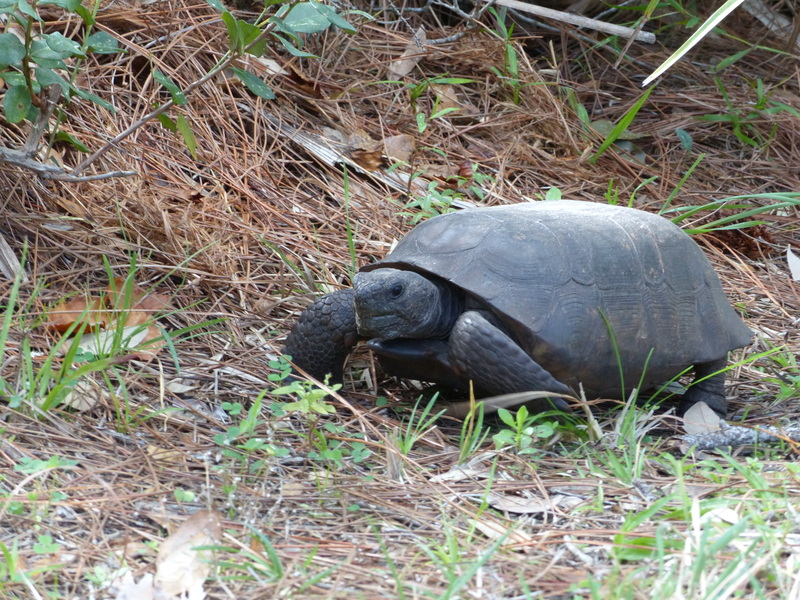 A Gopher Tortoise ambles along a park road. 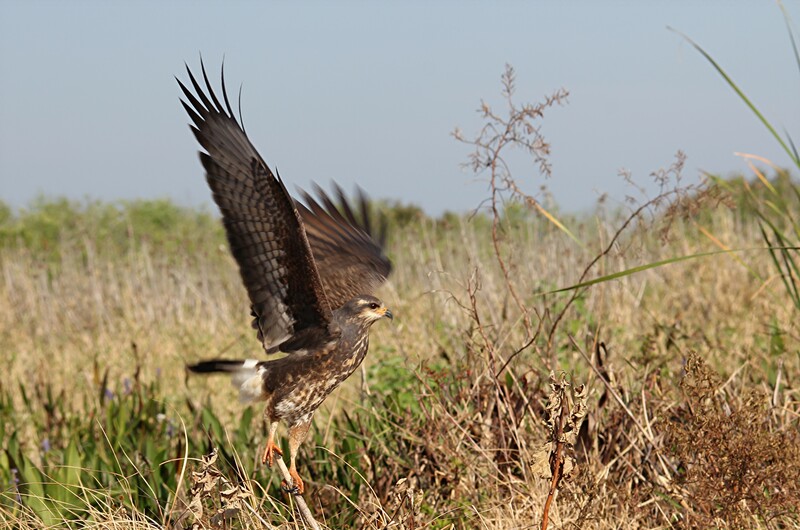 They can live for almost 60 years and their borrows provide habitat for numerous cretures including Burrowing Owls. Days will go by and we won’t see one and then . 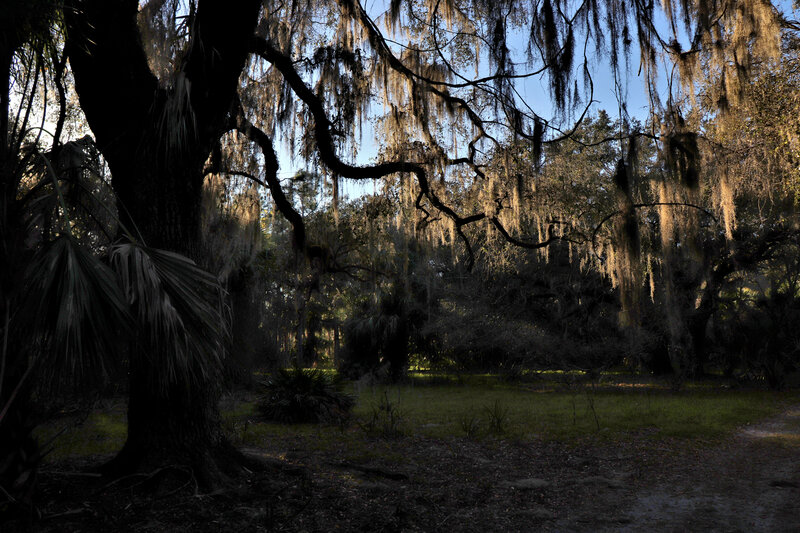 . .
Payne’s Prairie Preserve State park was a new park for us this year. 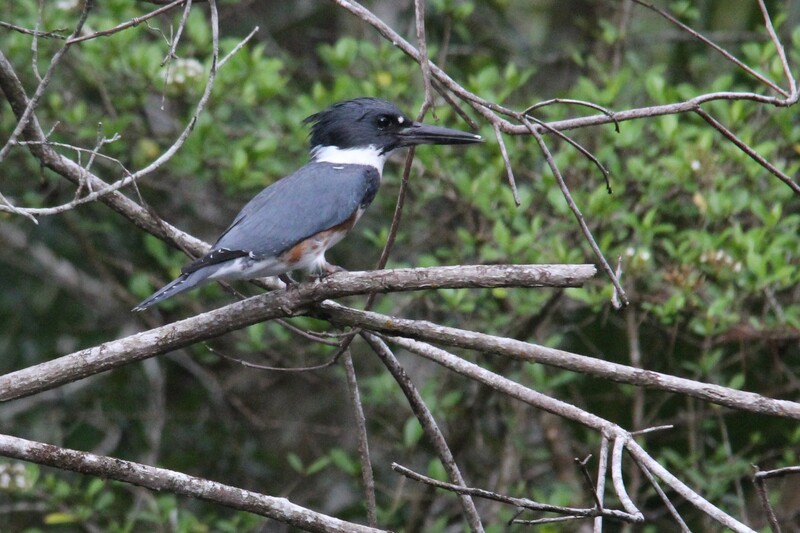 With it’s extensive area we hoped to see a variety of wildlife. 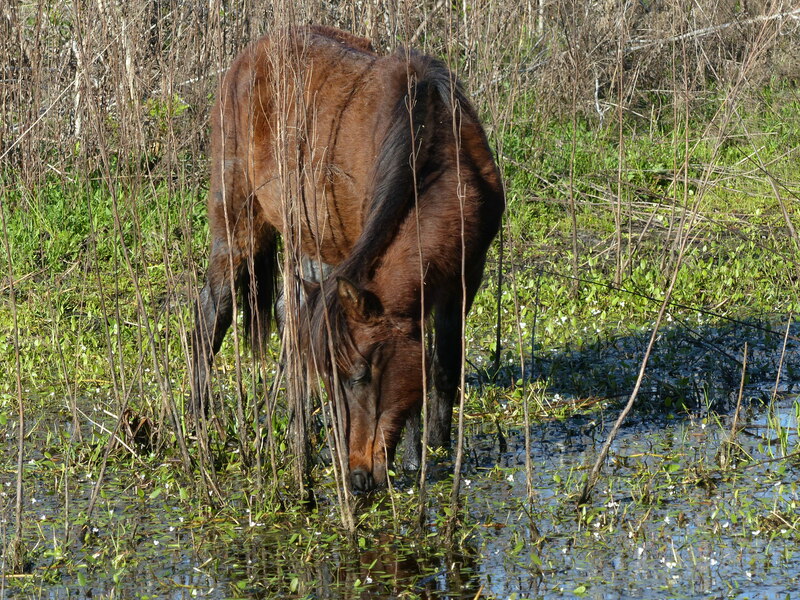 Of interest is the fact that the park maintains herds of Spanish Horses as well as Bison. 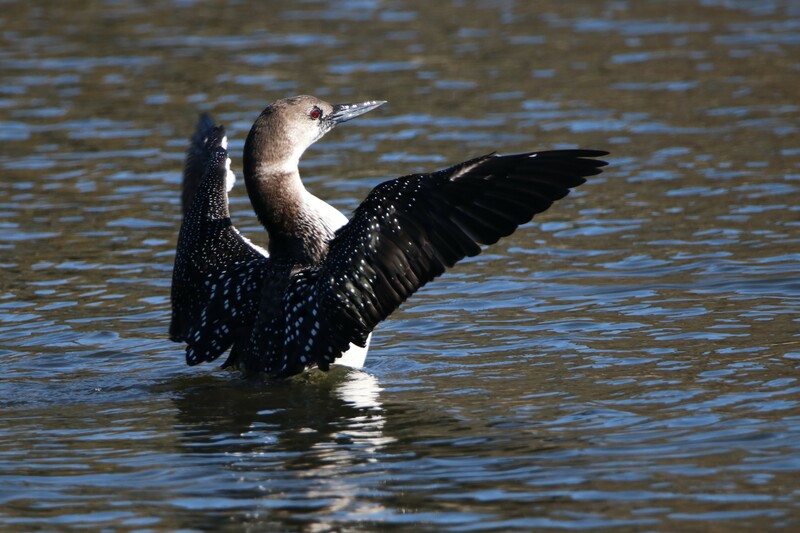 Many waterfowl had already departed on their journey north when we were there. 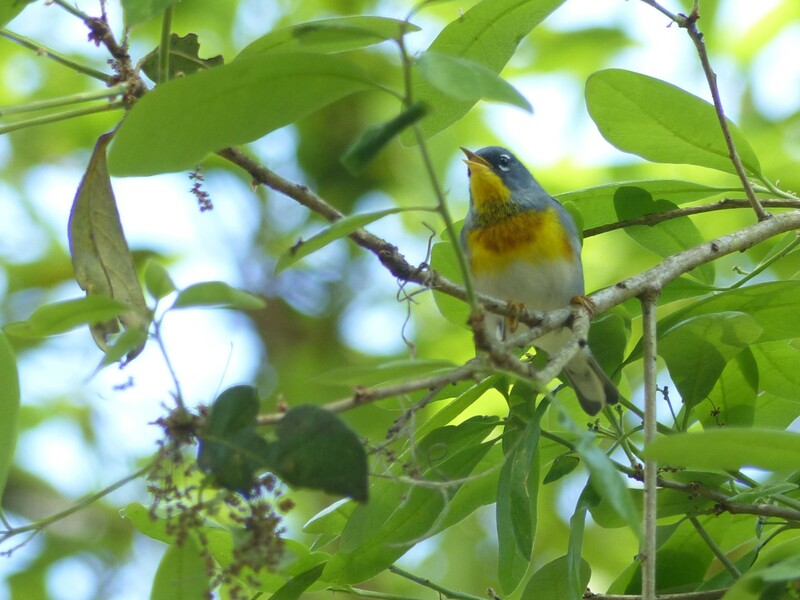 I had been trying for several days to get a good picture of a Northern Parula Warbler as they seemed to be everywhere. Then one morning sitting outside while visiting a local bakery for breakfast one just about landed on my nose, thankfully I had my FZ200. 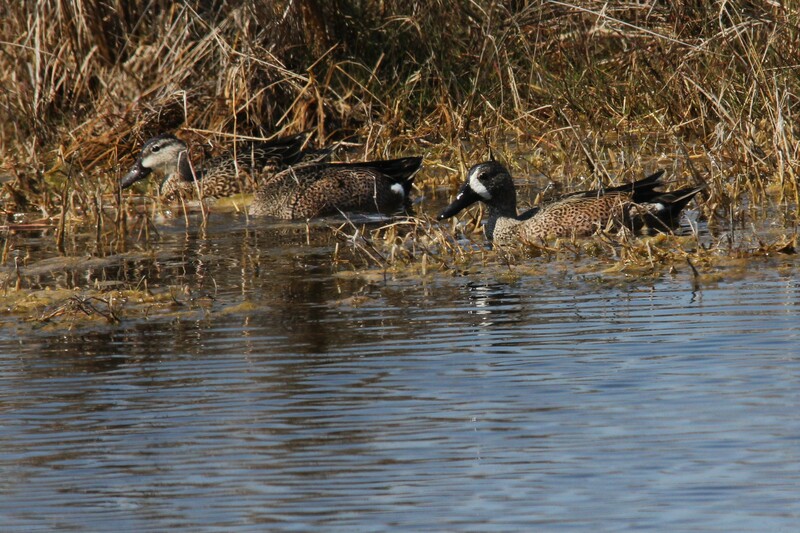 Blue Winged Teal, Sweetwater Wetlands Park near Payne’s Prairie Preserve SP. 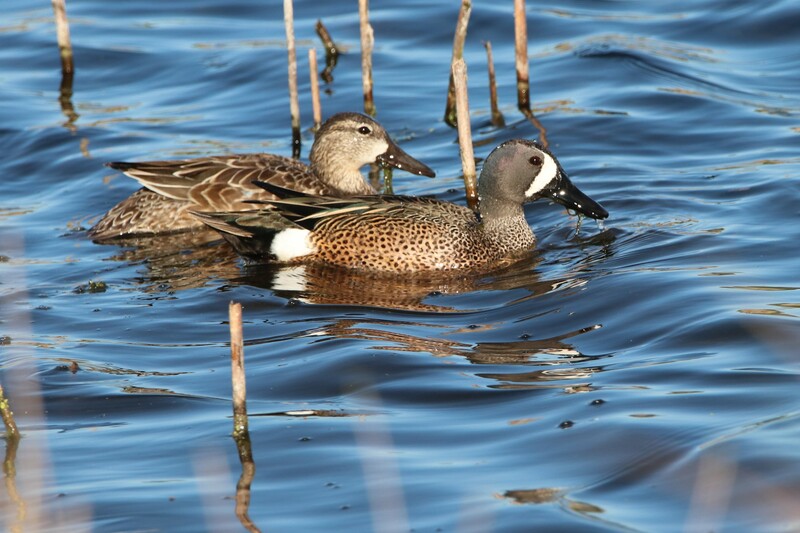 Green Winged Teal??? Sweetwater Wetlands Park. A mother’s love! Sweetwater Wetlands Park. 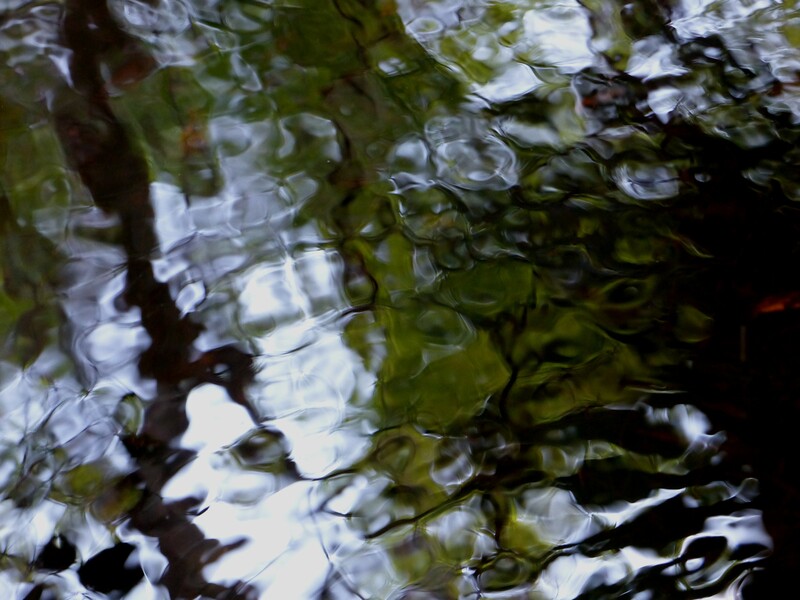 Palmetto reflections, Payne’s Prairie Preserve SP. The Spanish horse is considerably smaller than a typical quarter horse. All have the same coat. 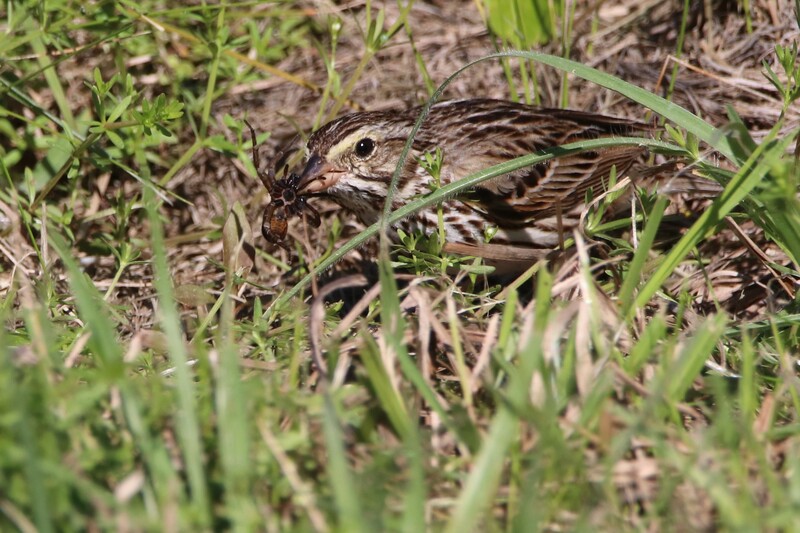 A Song Sparrow catches a spider, Sweetwater Wetlands Park. 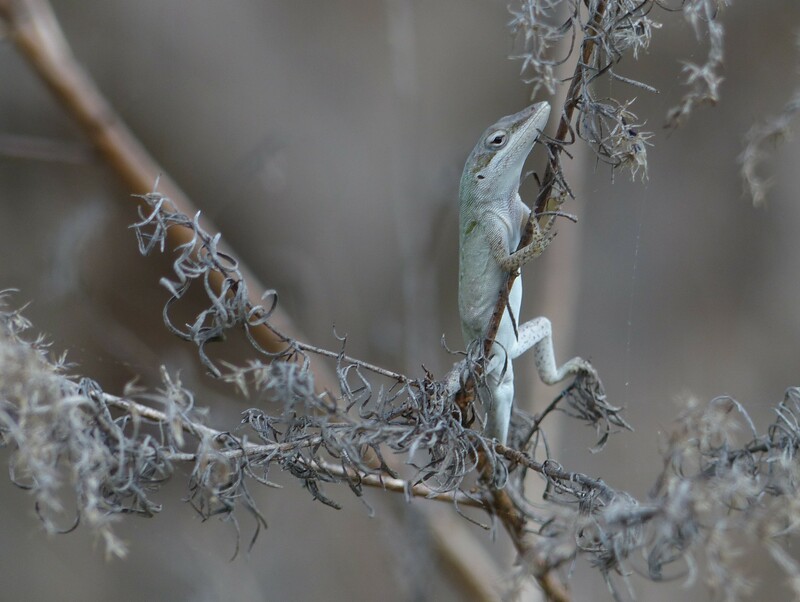 A very small anole, Payne’s Prairie Preserve SP. 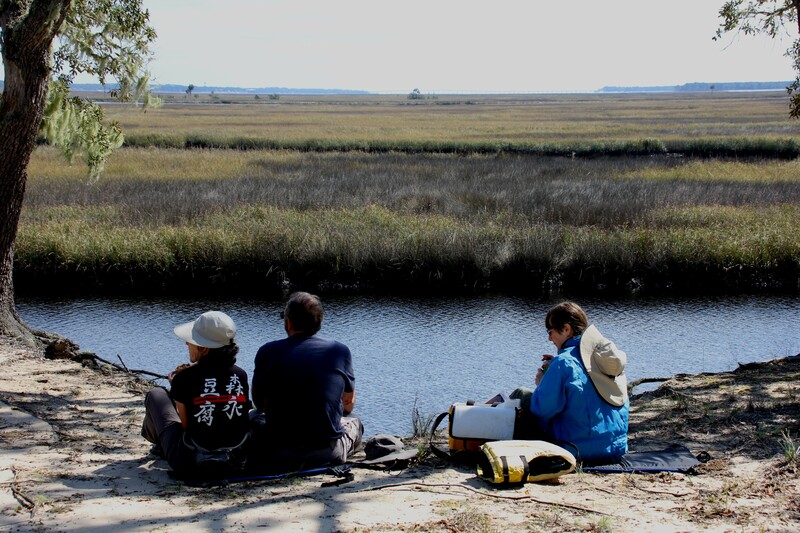 For a number of years Ochlocknee River SP has been one of our favorite parks due to it’s potential for paddling as will as the close proximity of other areas of interest for the birder and nature lover; Bald Point SP and St Marks NWR. 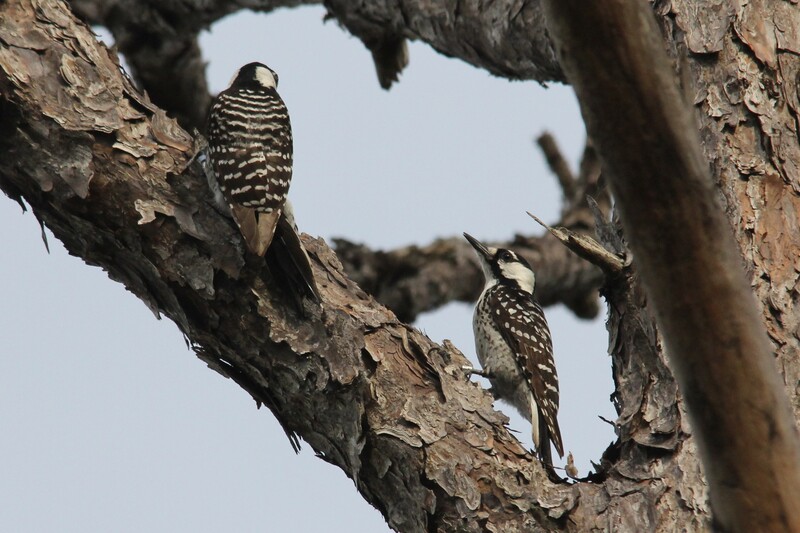 Hiking in the park itself, while not extensive, does provide the opportunity to see the threatened Red-cockaded Woodpecker. 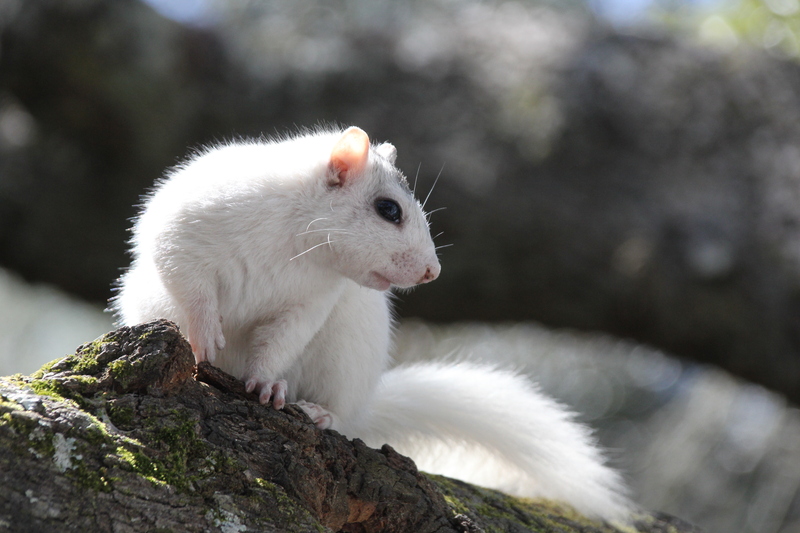 The white morph of the Gray Squirrel comprises a charming part of the park’s welcoming committee. 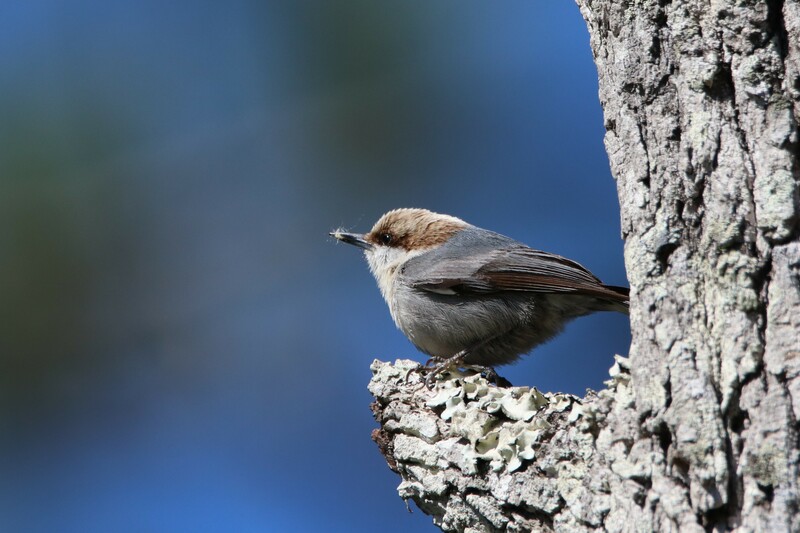 A small active bird, the Brown Headed Nuthatch is a challenge to photograph. 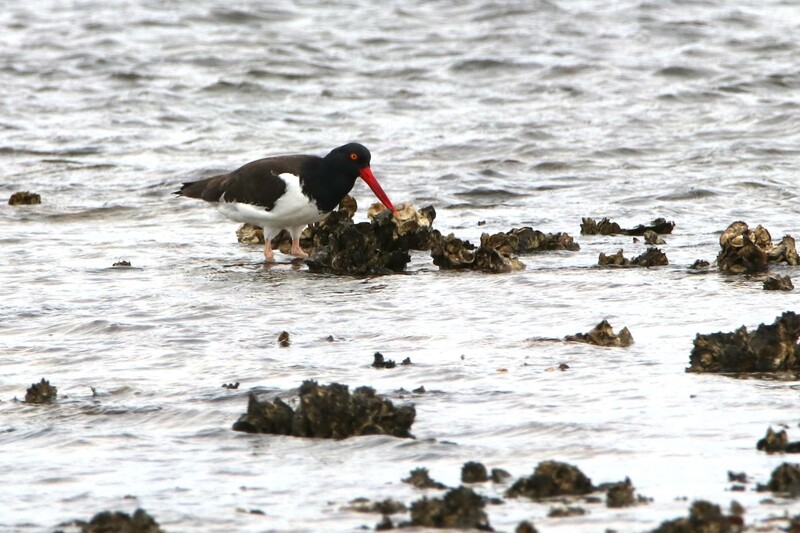 Oystercatcher, Bald Point SP near Ochlocknee River SP. 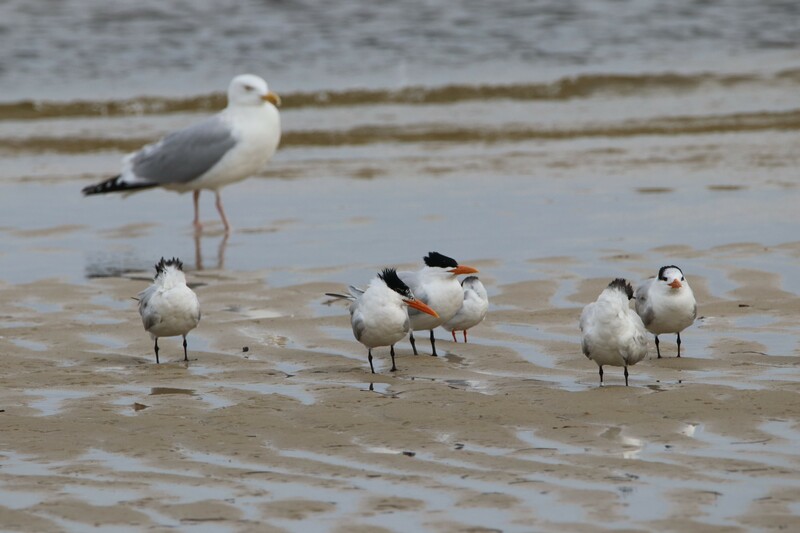 Royal Terns, Bald Point SP. 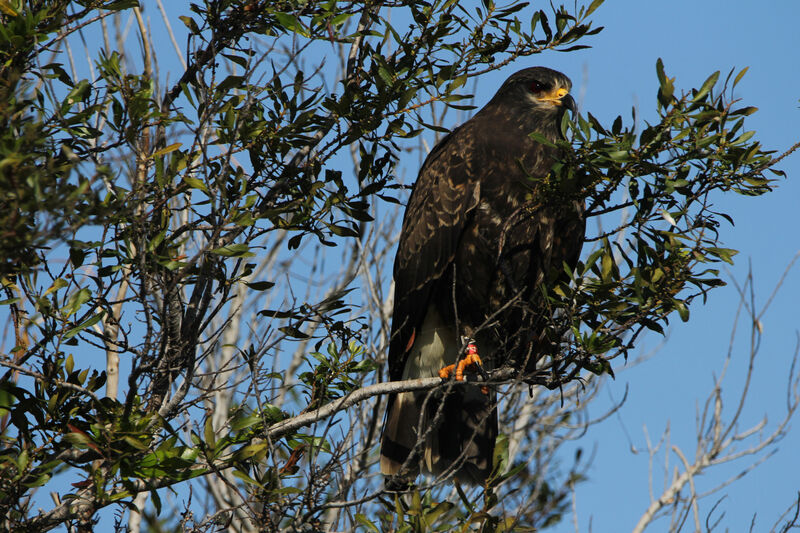 A juvenile Bald Eagle flexes it’s wings, St. Marks NWR. 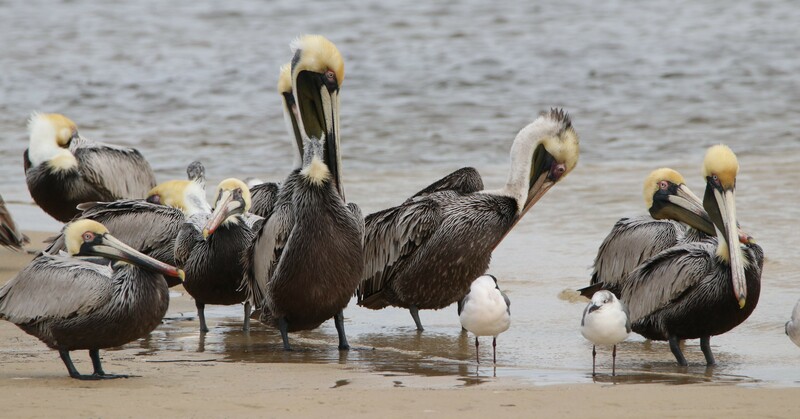 Brown Pelicans, Bald Point SP. 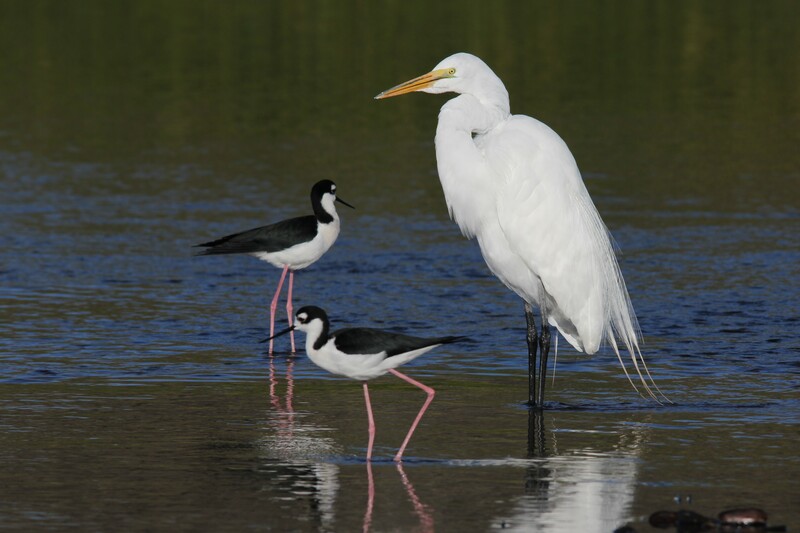 Least Terns, Bald Point SP. Taking a break during an eight mile paddle exploring a side creek to the Ochlocknee River, Ochlocknee River SP. 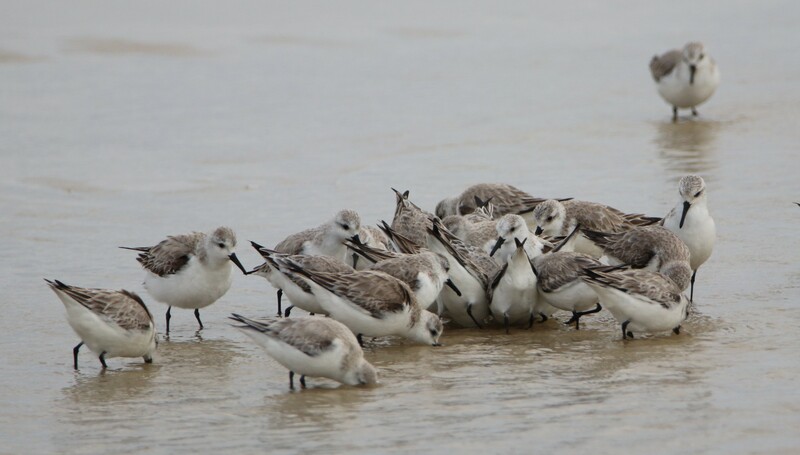 A group of Sanderlings take a great interest in something, Bald Point SP. 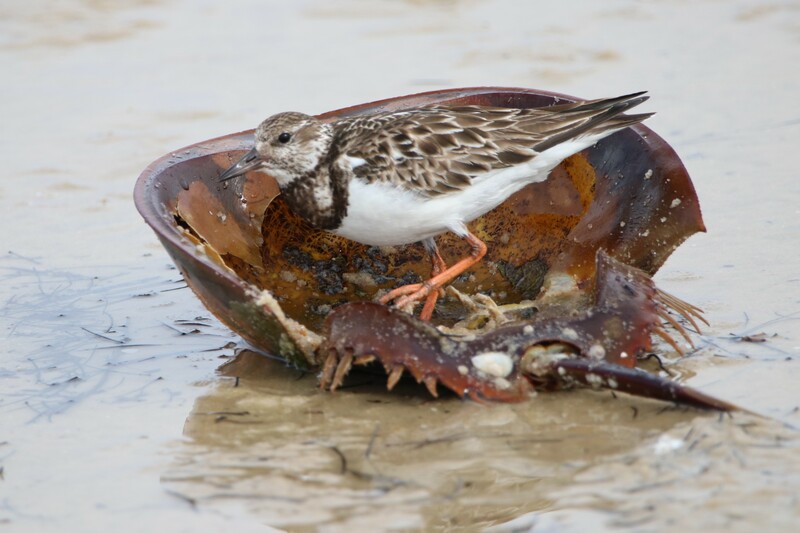 A Ruddy Turnstone checks out what’s left of a Horseshoe Crab, Bald Point SP. 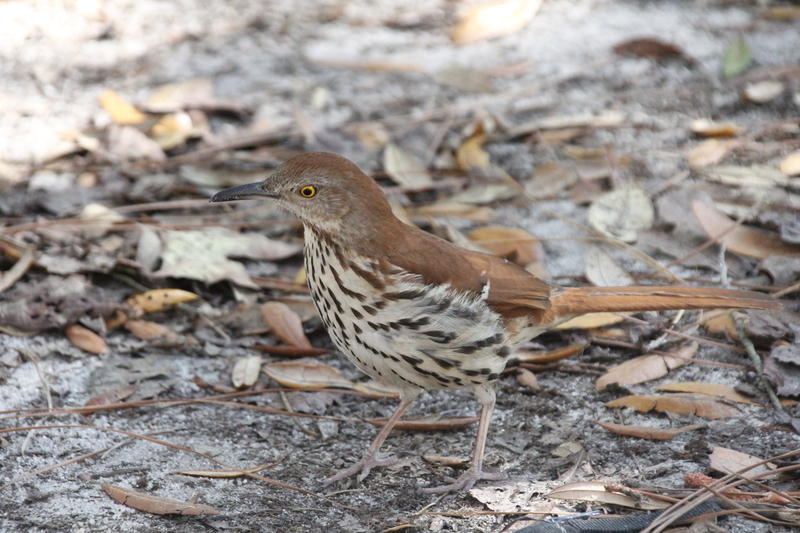 This Brown Thrasher was a regular visitor at our campsite. 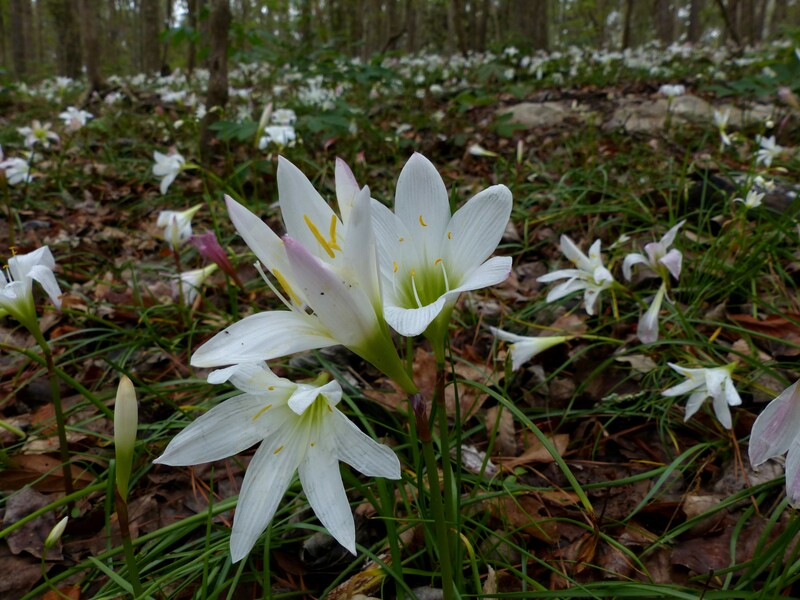 Rain Lilies along the road, Ochlocknee River SP. 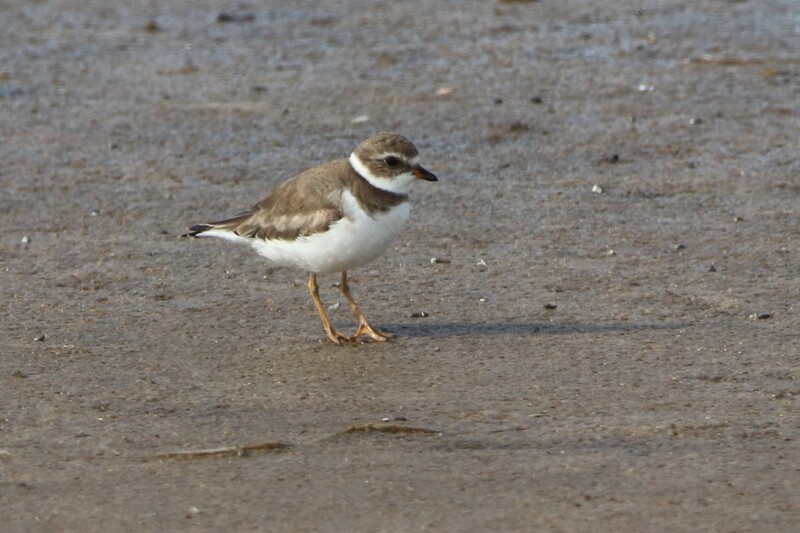 Snowy Plover, St Marks NWR. 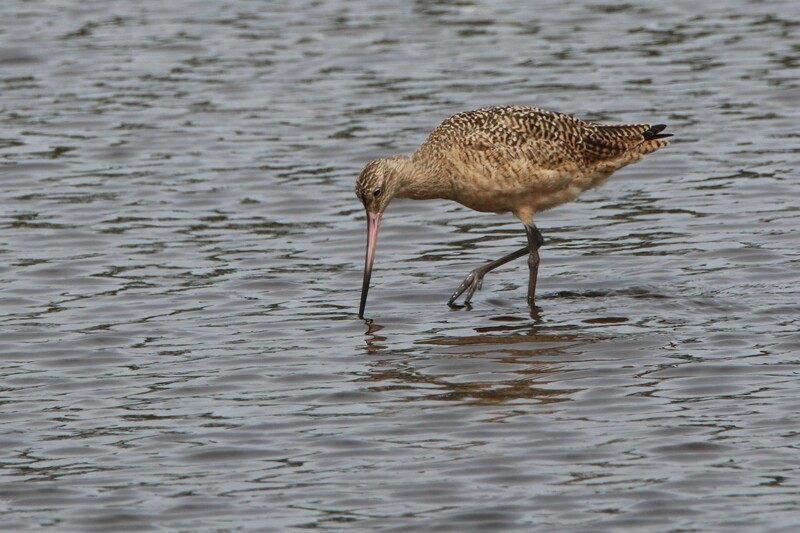 Marbled Godwit, St Marks NWR. 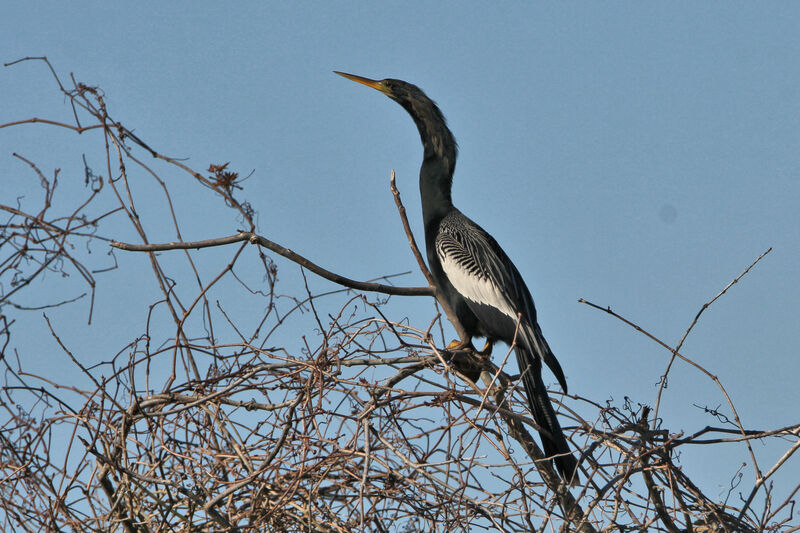 A life bird for us! 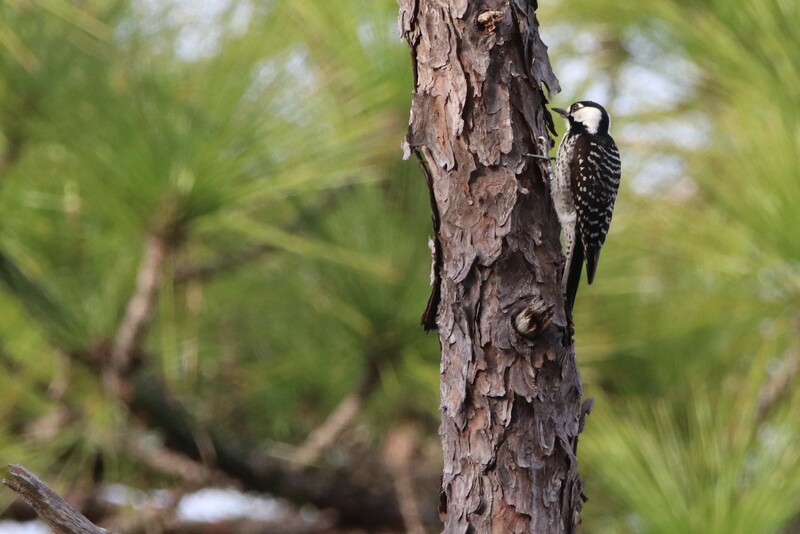 Red-cockaded Woodpecker, Ochlocknee River SP. Three Rivers SP was a new park for us this year and was selected primarily for it’s paddling potential. The lake was fairly open and much of the shoreline was shallow and weed choked making it less than ideal for paddling. 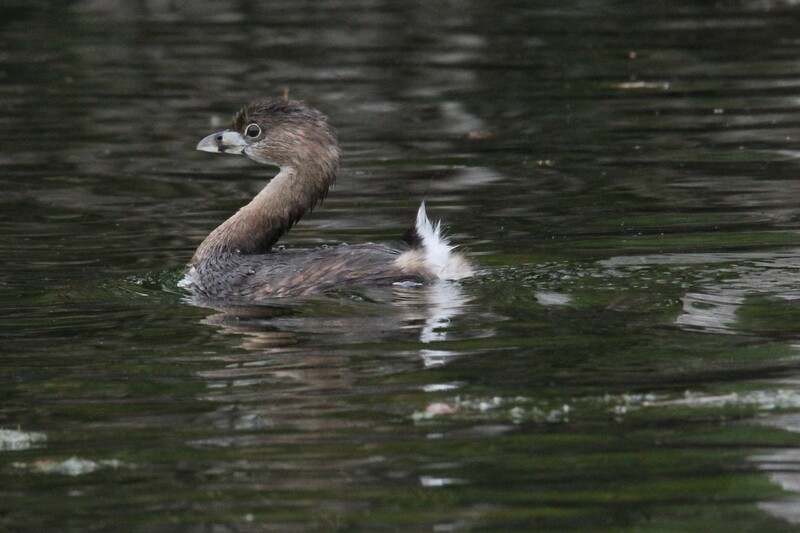 Due to the lakes huge area wildlife was well dispersed making viewing a bit of a challenge. 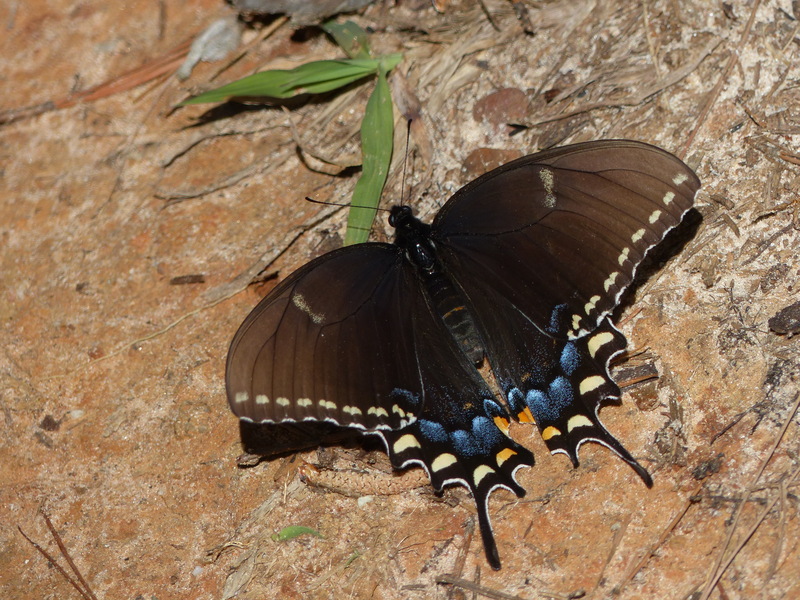 It was an excellent area for butterflies with some good, if not extensive, hiking trails. 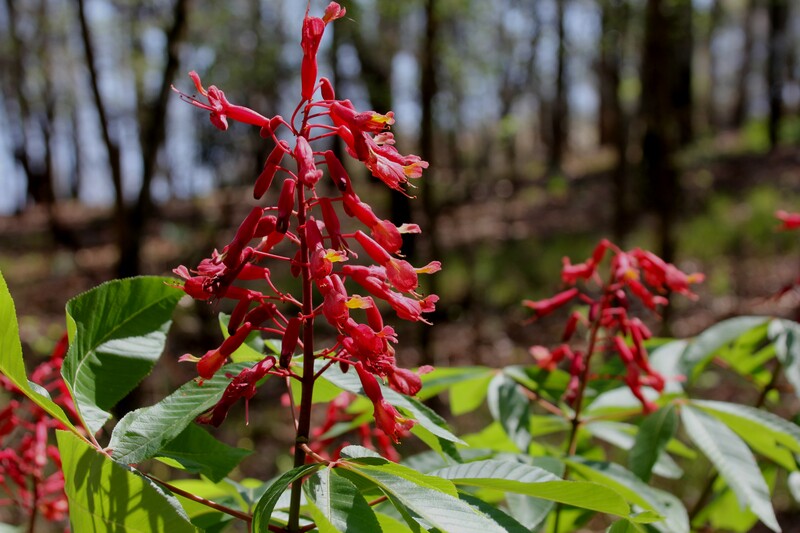 Red Buckeye was in bloom at Three Rivers SP. 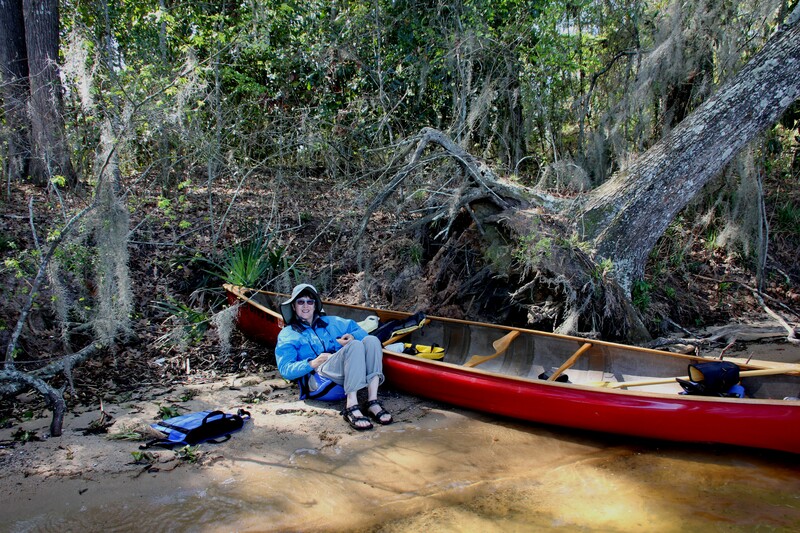 Taking a break during a long paddle on Lake Seminole, Three Rivers SP. 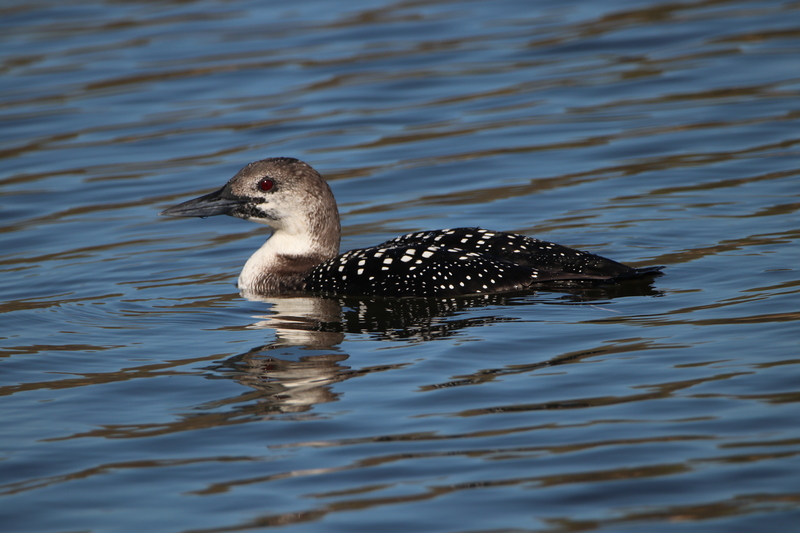 Immature Common Loon, Three Rivers SP. 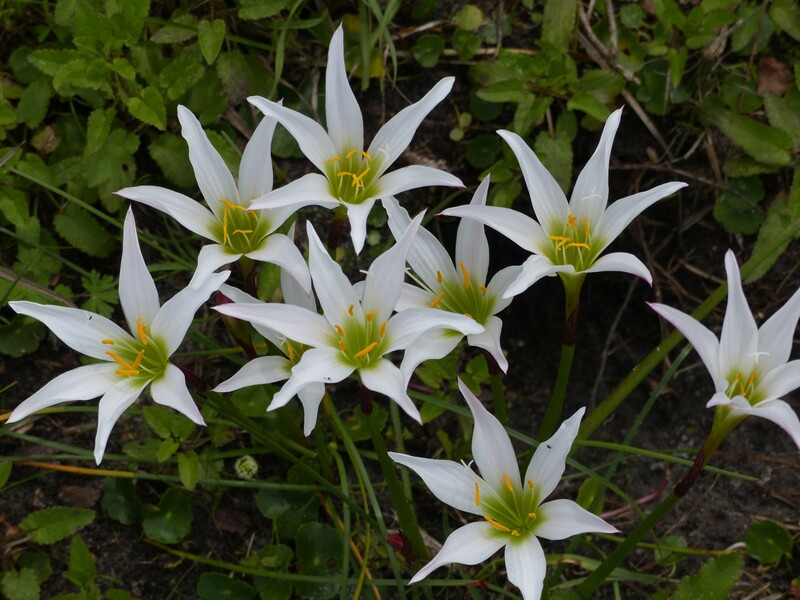 Rain Lilies, Three Rivers SP. 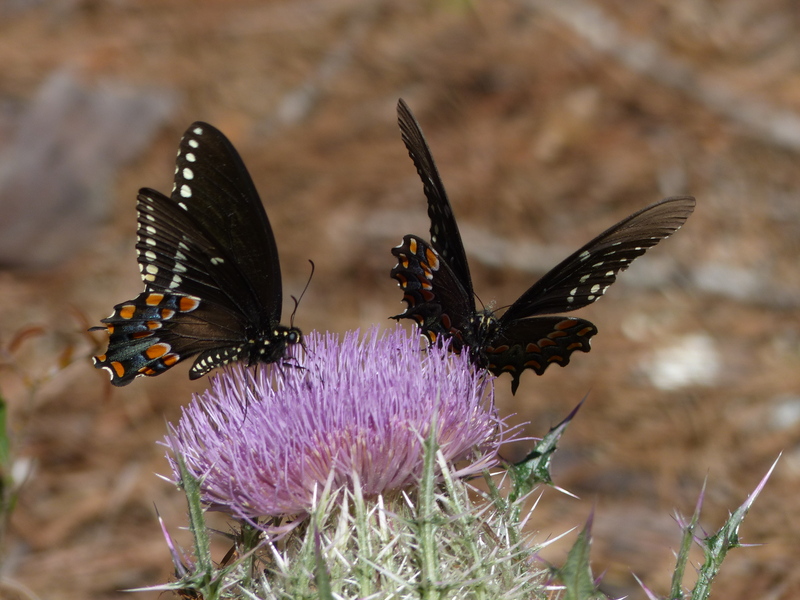 Black Swallowtails on Bull Thistle. 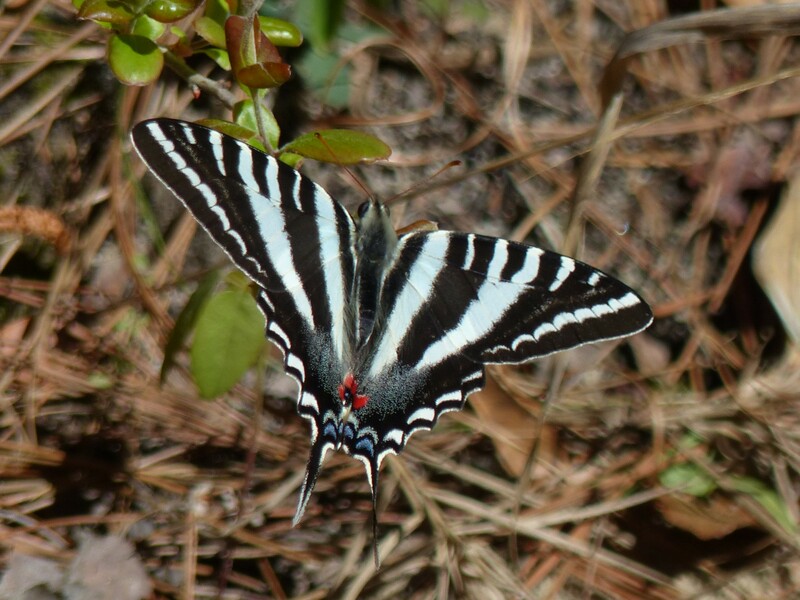 Zebra Swallowtail, Three Rivers SP. 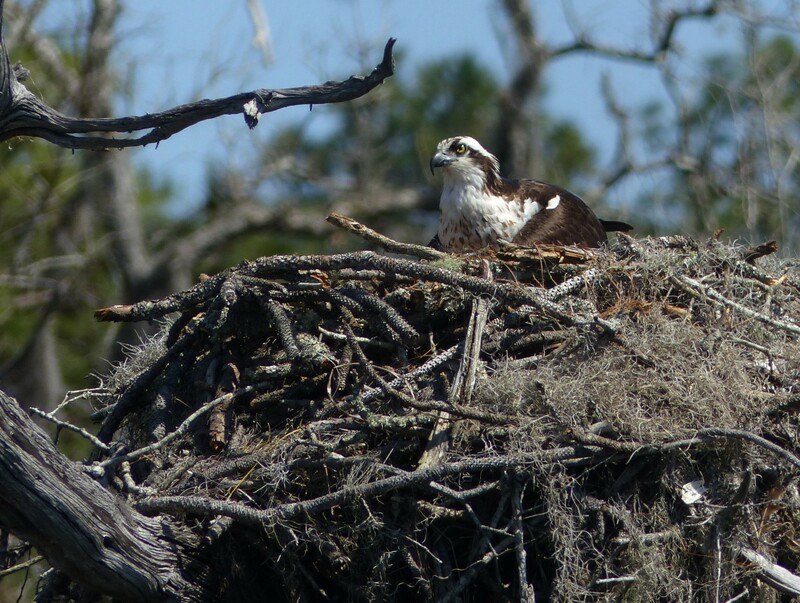 Osprey on nest, Apalachee Wildlife Management Area. 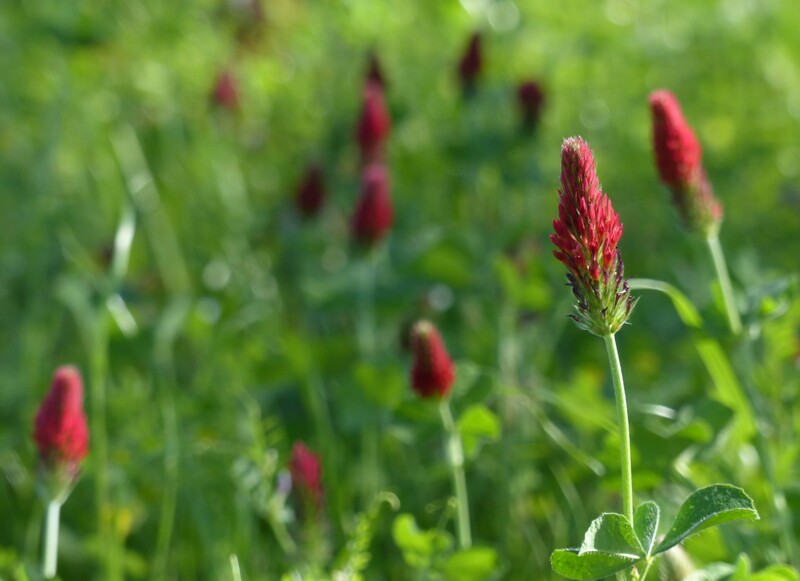 Crimson clover, Apalachee Wildlife Management Area. 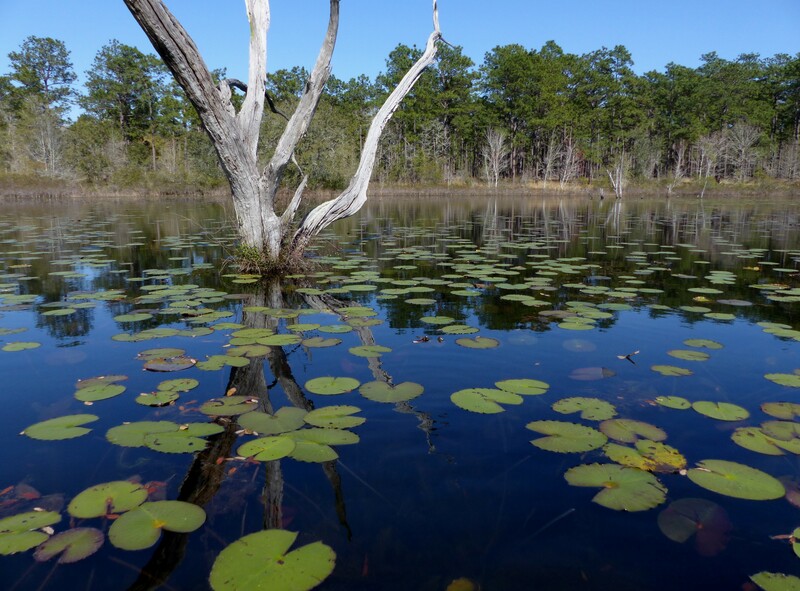 Lily pads, Apalachee Wildlife Management Area. That’s it for this post. Many other pictures could have been posted but if you made it this far I’m impressed with your forbearance. 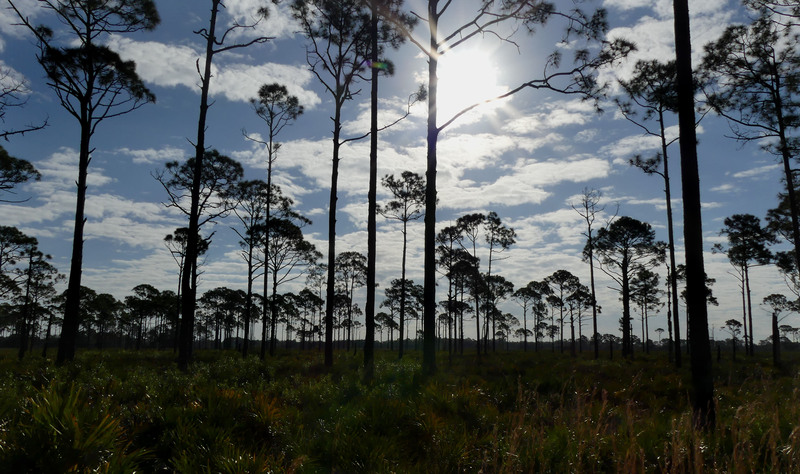 Looking back on our experience, we’re reminded what an unbelievably beautiful but fragile resource Florida’s natural areas are. As one drives the highways of the state signs of new or proposed development are not uncommon so pressure on limited resources continues. 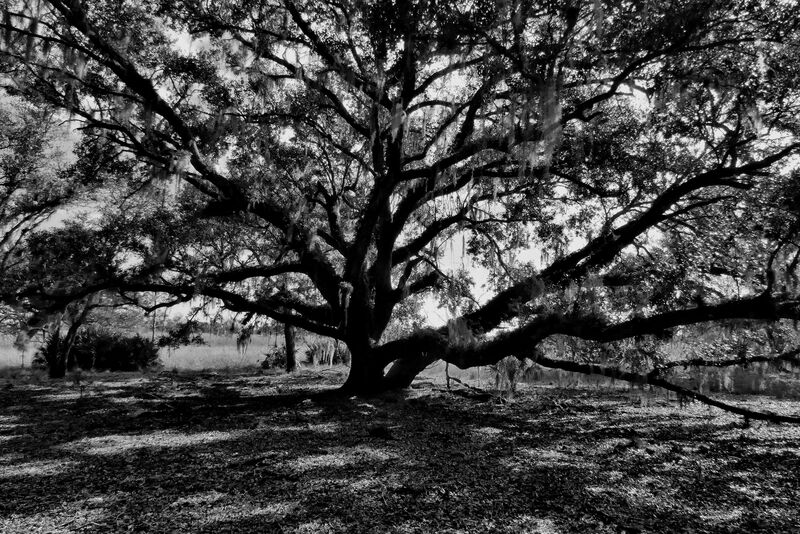 When I started out taking pictures years ago I was fascinated with light and composition as subjects of interest were photographed. It was rewarding to make the effort to capture what was being experienced when looking at a scene. A big fringe benefit, and true blessing, has been a heightened curiosity about the world around me. 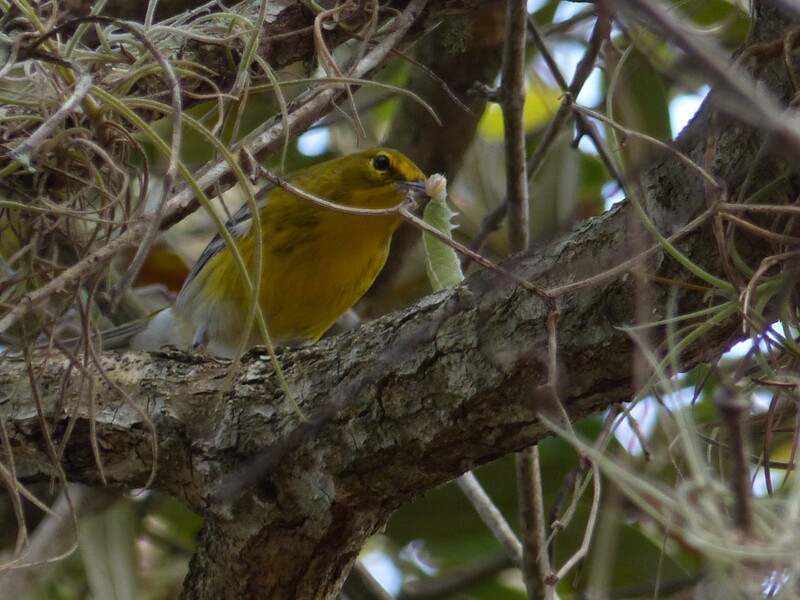 What is that bird or bug that was just photographed, what is significant about it, and why does it matter. The world is much bigger now. It’s been a while since our last post so after almost two months bumming around some of Florida’s most beautiful natural areas in sunny 70 degree weather we now find ourselves back in central Ohio looking out the window as a 25 F wind blows snow around our front yard. 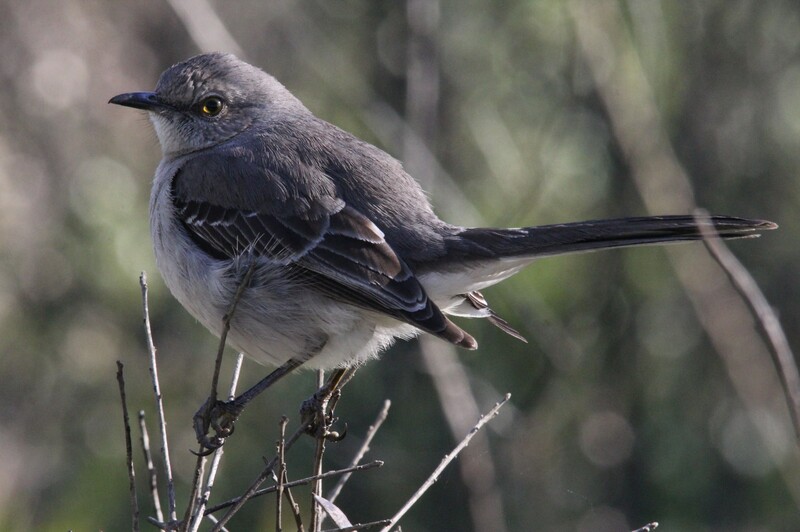 One way to celebrate the trip, and perhaps to feel a little warmer, is to post pictures of a few of birds seen while while hiking and paddling. 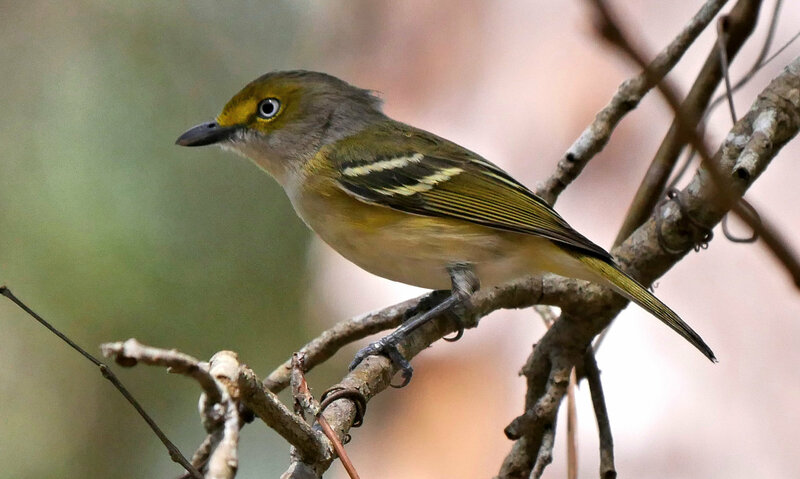 Perhaps no one species expresses the diversity and beauty of nature like birds, each with their own unique appearance and behavior. 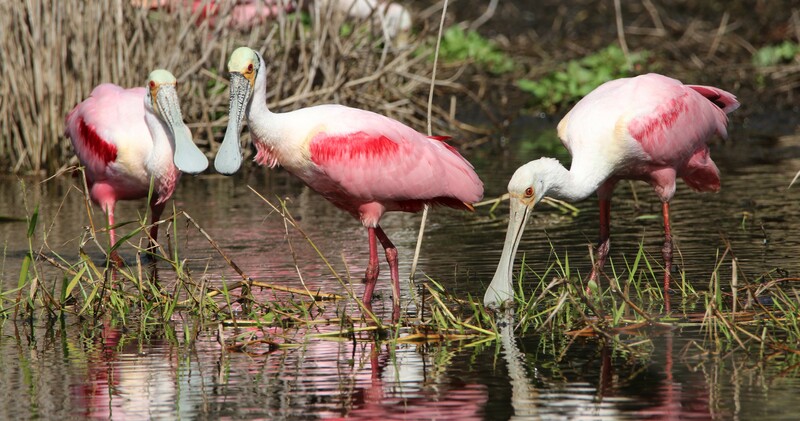 Florida gives one an excellent opportunity to witness and perhaps photograph that diversity and beauty. 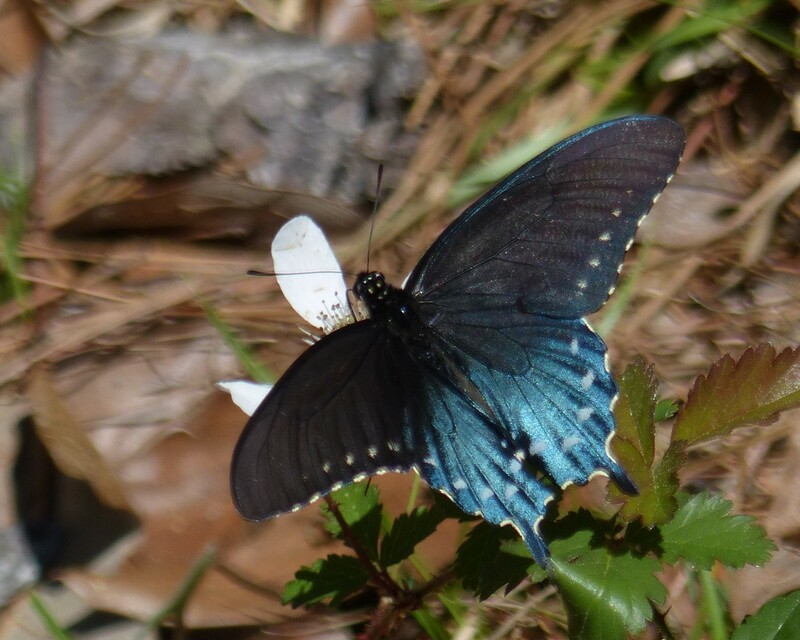 For those that are curious, our stay in Florida consisted of time spent at Myakka River SP; great hiking, big gators, and great wildlife photography, Lake Kissimmee SP; great hiking, paddling, fishing, and wildlife, the Chassahowzitka River Campground; great paddling, fishing, and wildlife, and Ochlockonee River SP; great hiking, paddling, and wildlife. 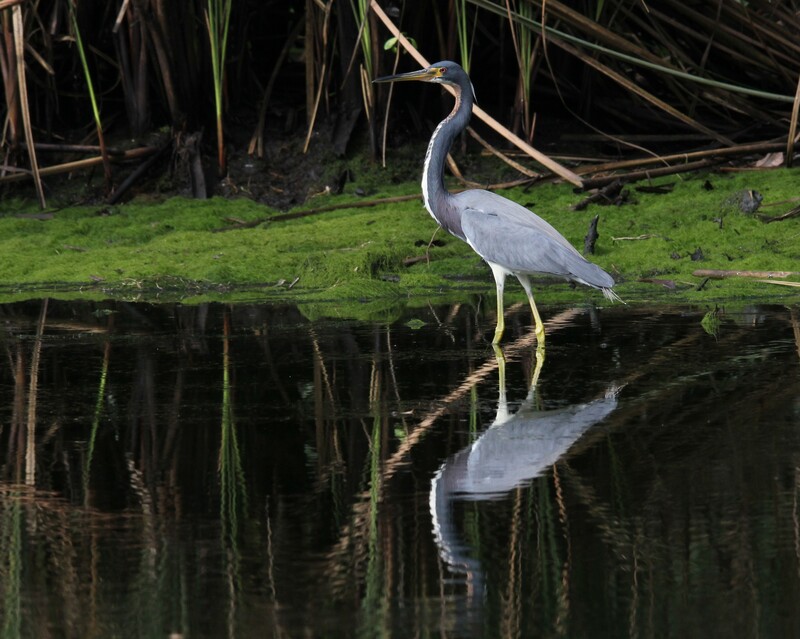 Great Blue Heron, Myakka River SP. 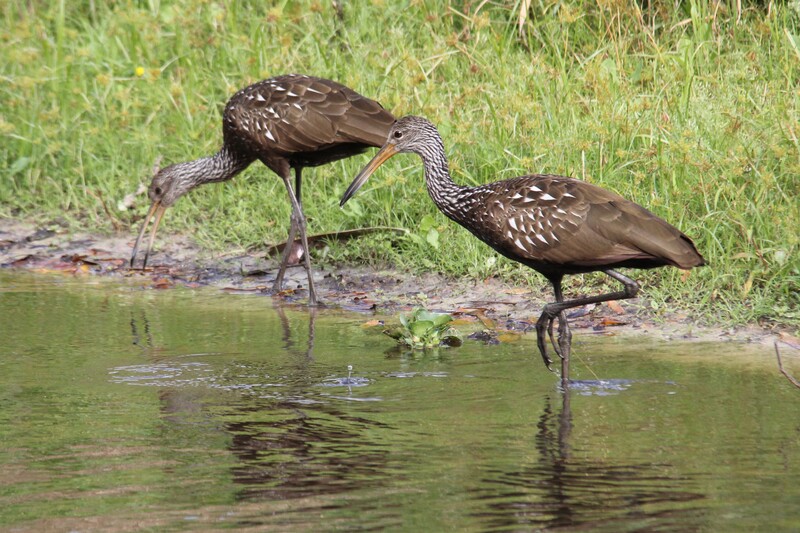 Limpkins, very common in Myakka River SP. 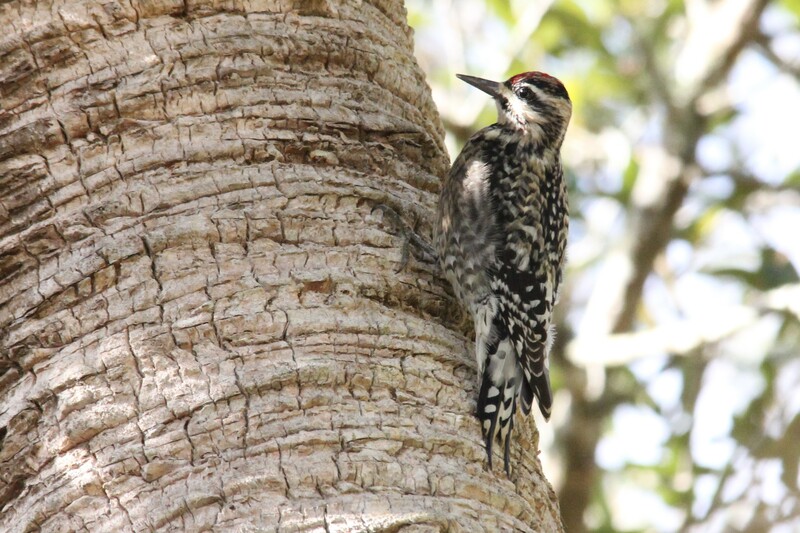 Yellow-bellied Sapsucker, Myakka River SP. 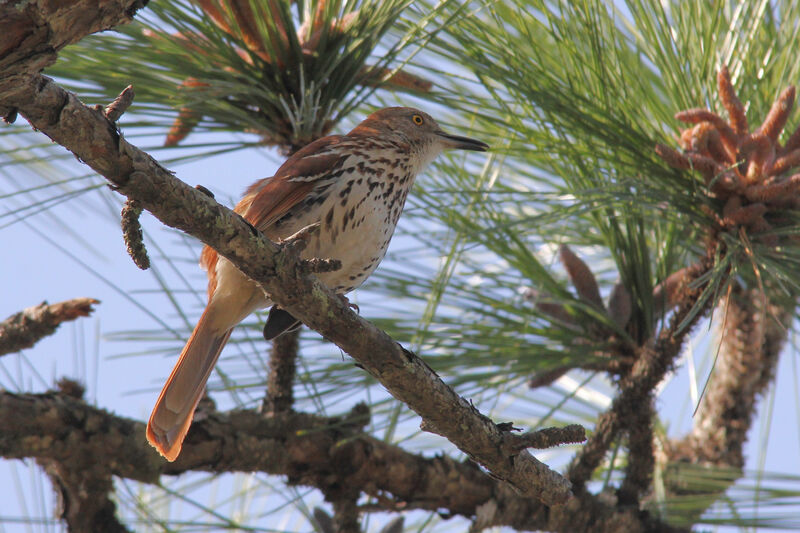 A Brown Thrasher serenaded us early every morning, Ochlockonee River SP. 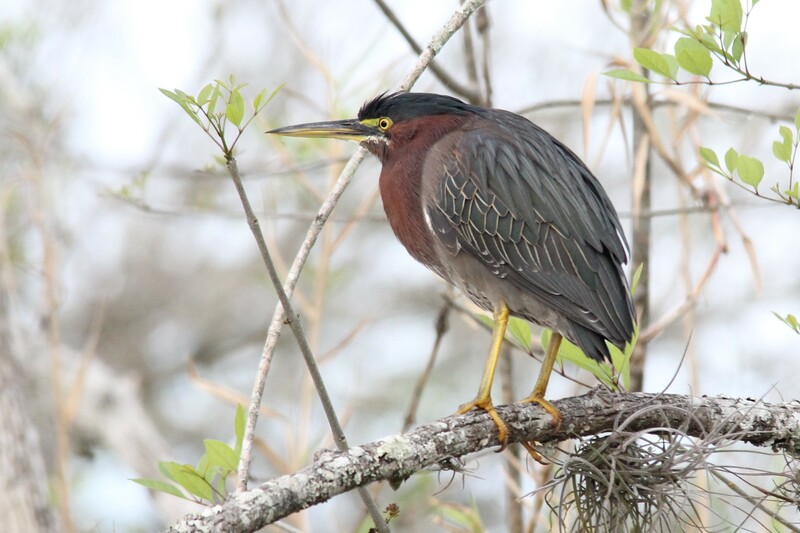 Green Heron, seldom seen, Myakka River SP. 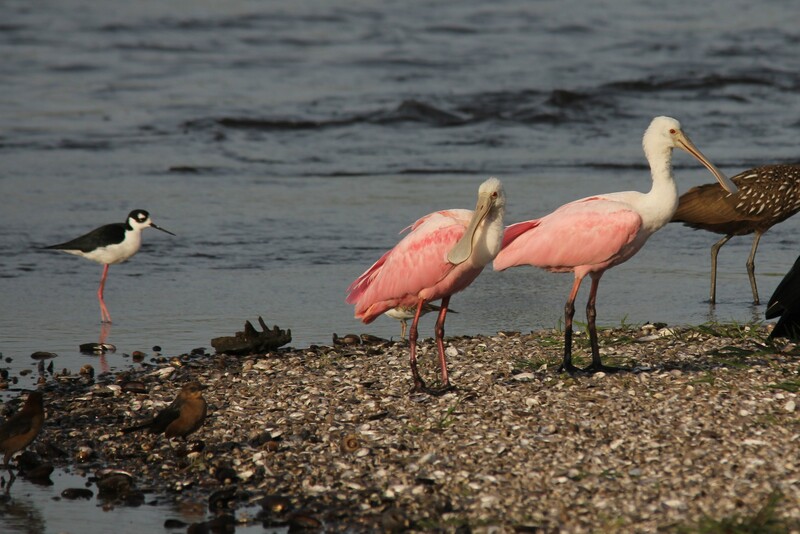 Roseate Spoonbills, Myakka River SP. 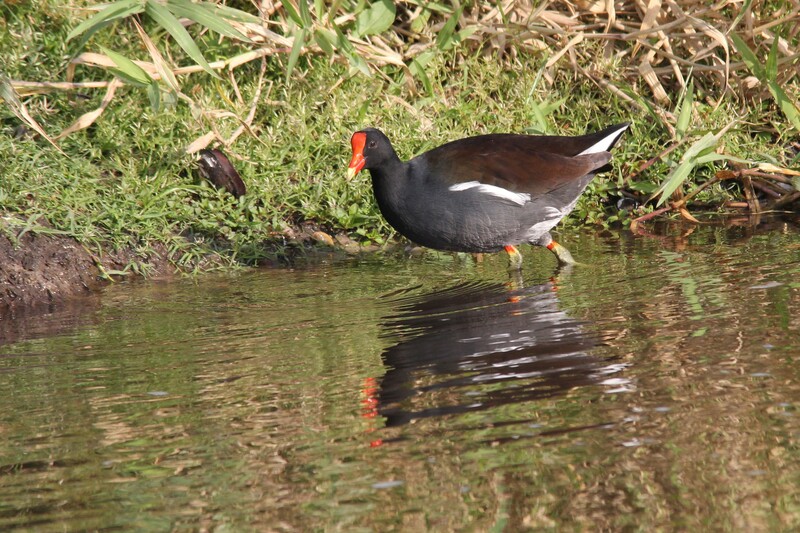 Common Moorhen, Myakka River SP. 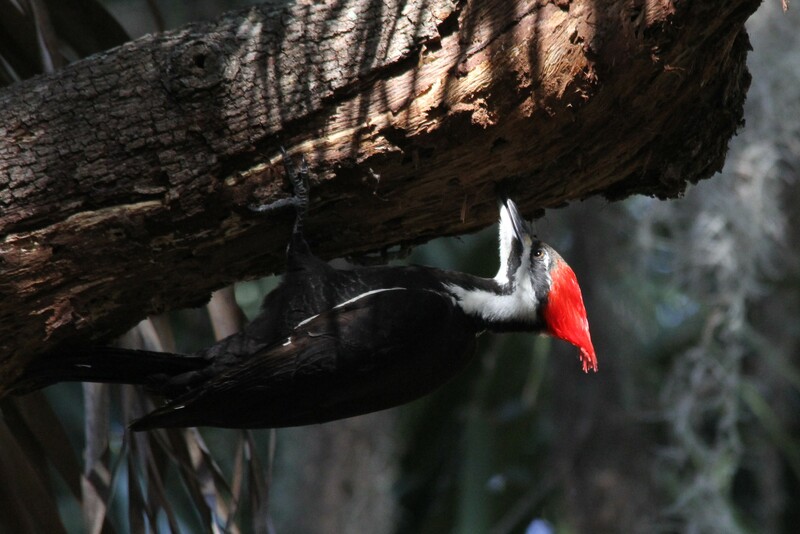 Pileated Woodpecker, Myakka River SP. 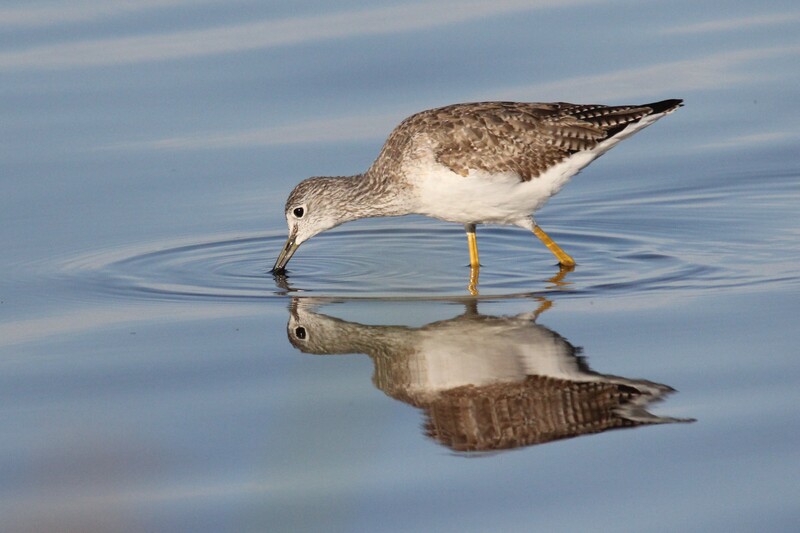 Greater Yellowlegs, Myakka River SP. 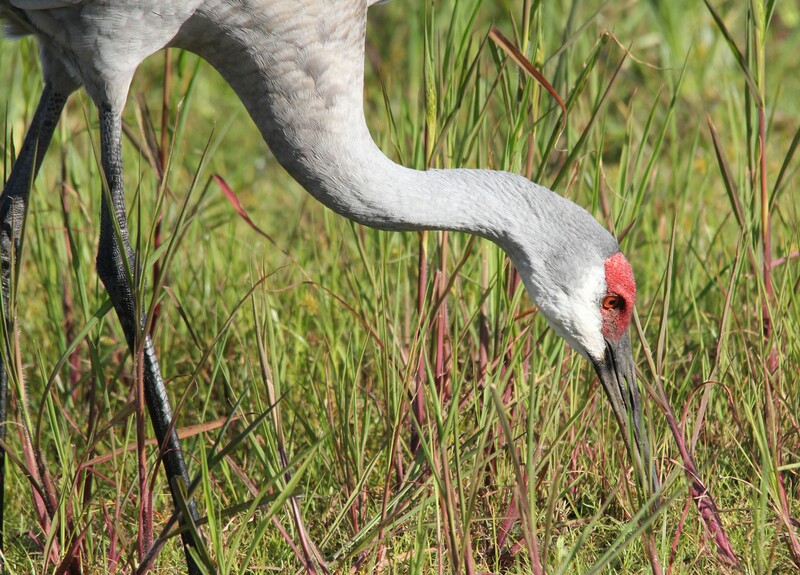 Sand Hill Crane, Myakka River SP. 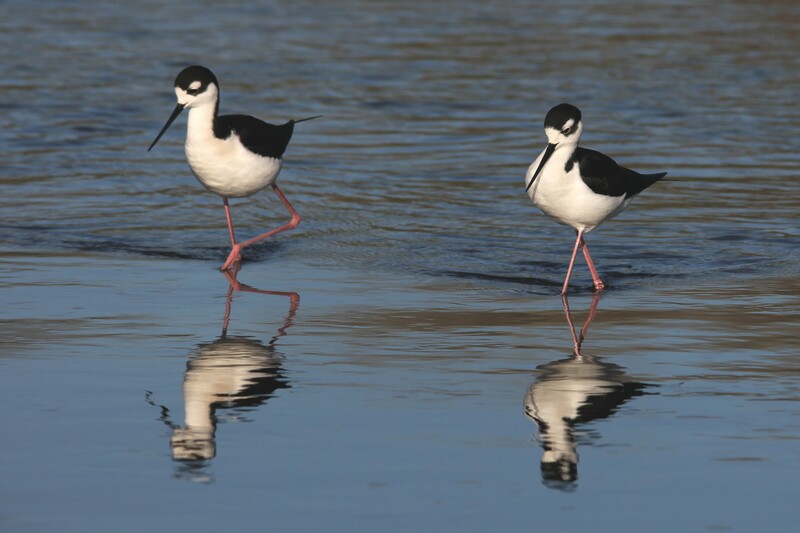 Black-necked Stilts, Myakka River SP. 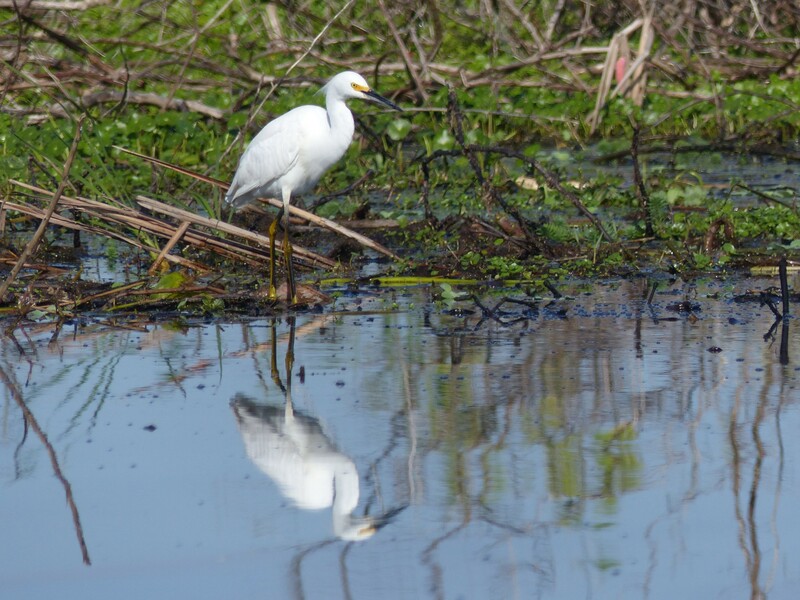 Great Egret, Myakka River SP. 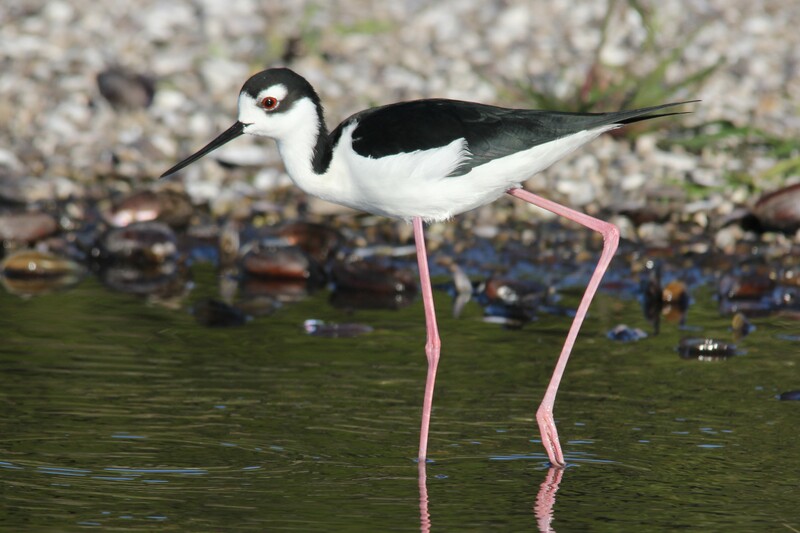 Black-necked Stilt, a closer view showing eye color, Myakka River SP. 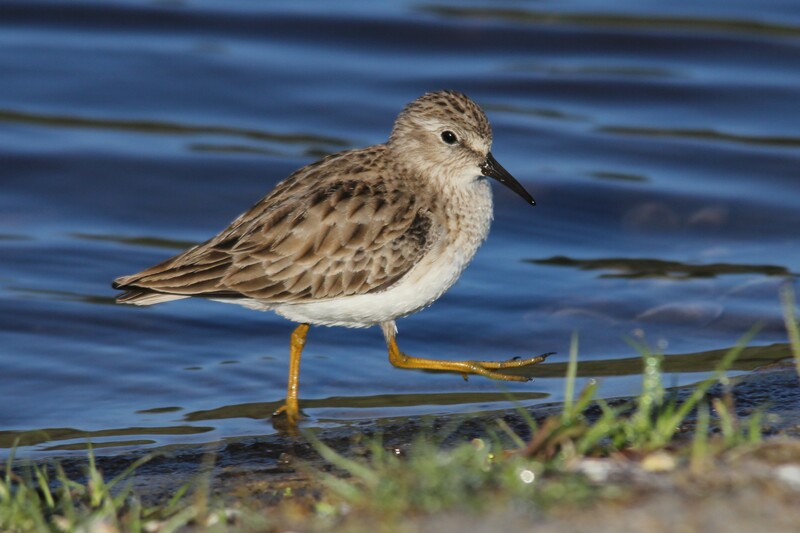 Least Sandpiper, Myakka River SP. 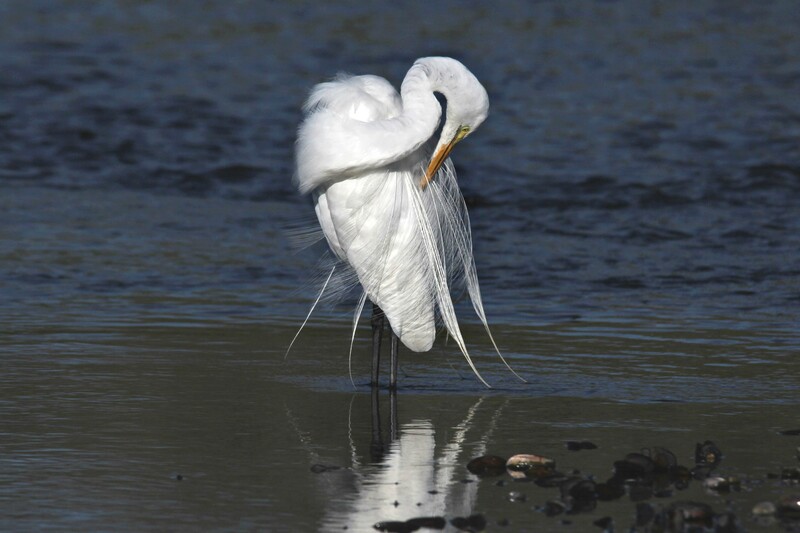 Great Egret, breeding plumage, Myakka River SP. 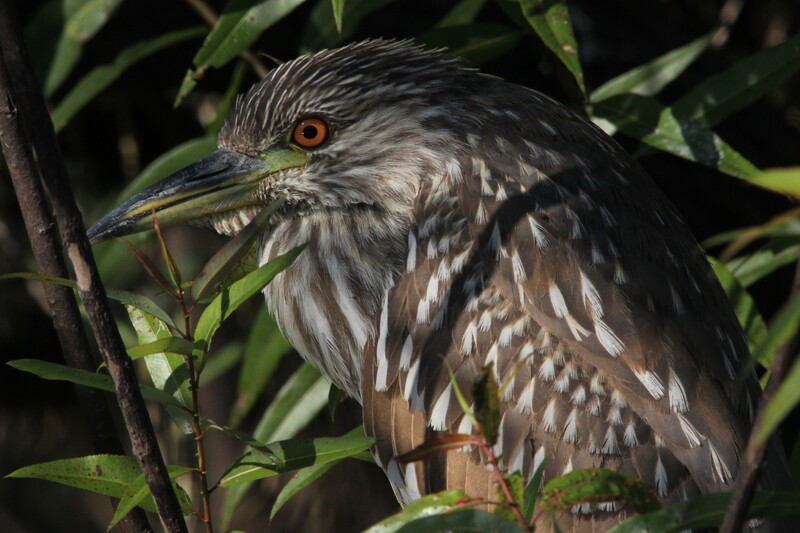 Immature Black-crowned Night Heron, Myakka River SP. 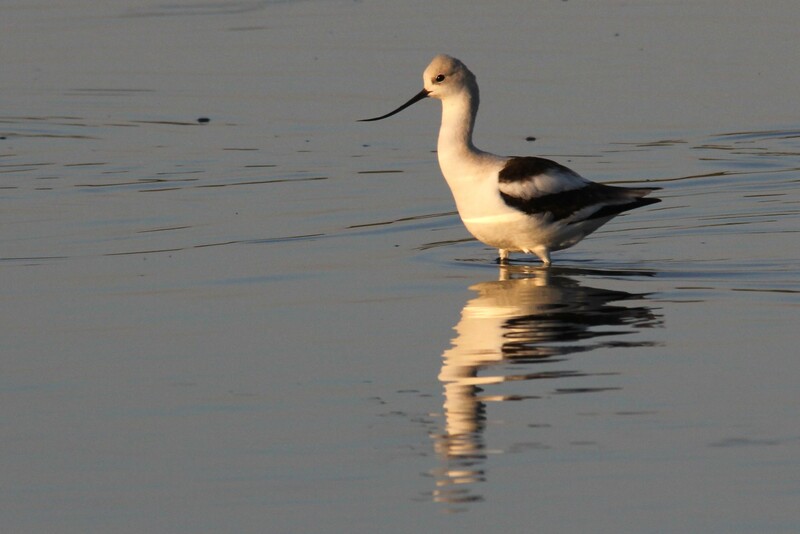 American Avocet, Myakka River SP. 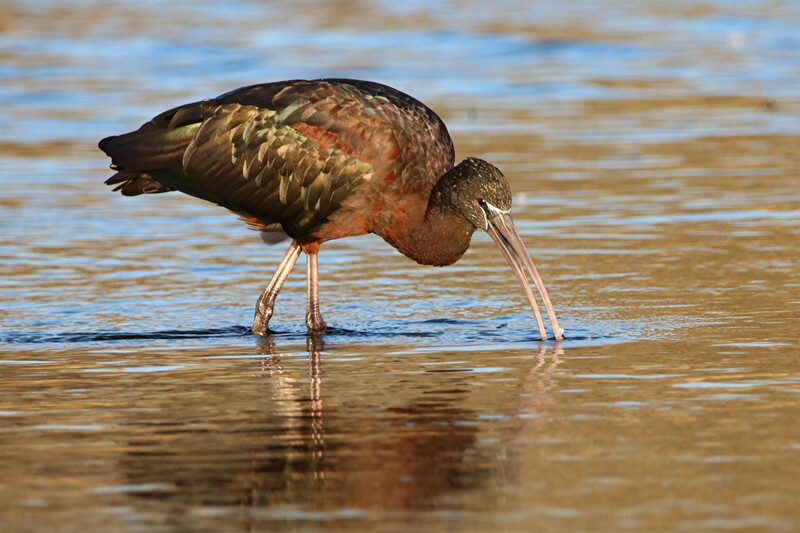 Glossy Ibis, Lake Kissimmee SP. 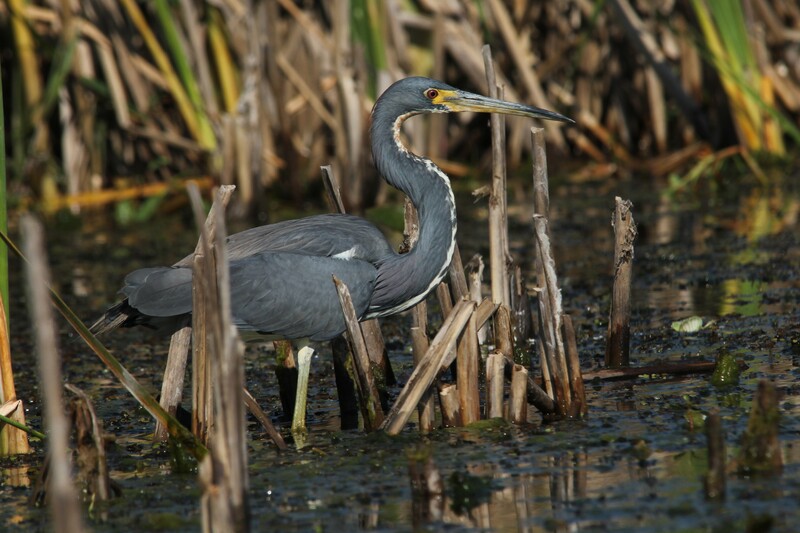 Tri-colored Heron, Lake Kissimmee SP. 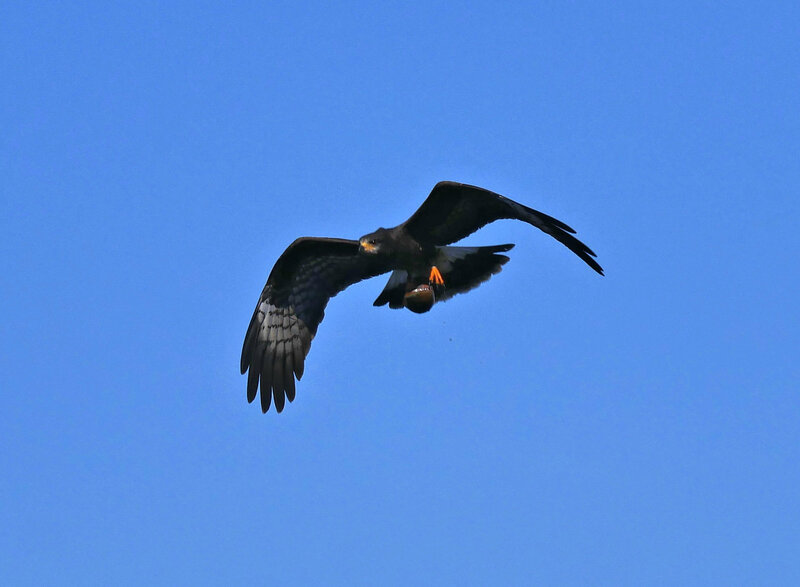 Snail Kite, Lake Kissimmee SP. 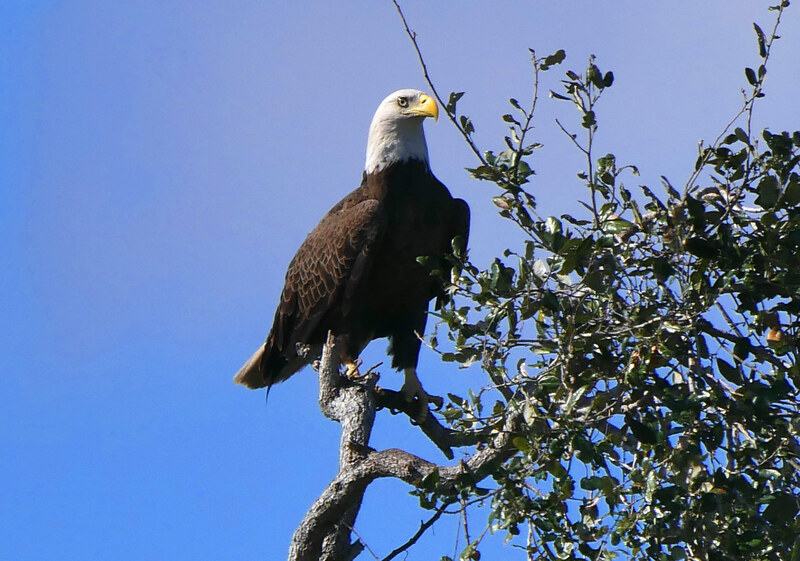 Bald Eagle, Lake Kissimmee SP. 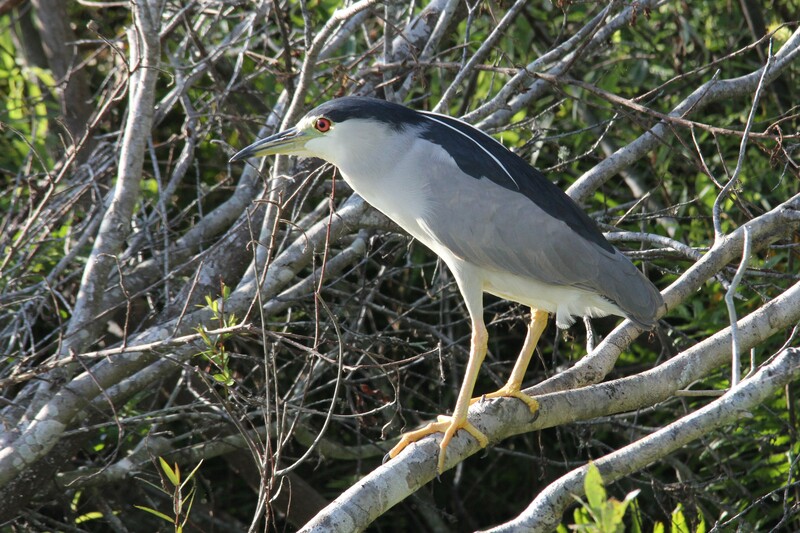 Black-crowned Night Heron, Lake Kissimmee SP. 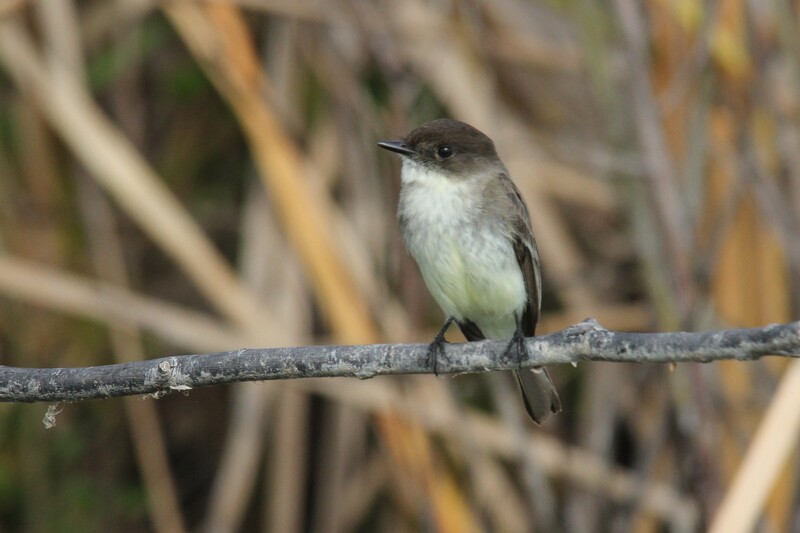 Eastern Phoebe, Lake Kissimmee SP. 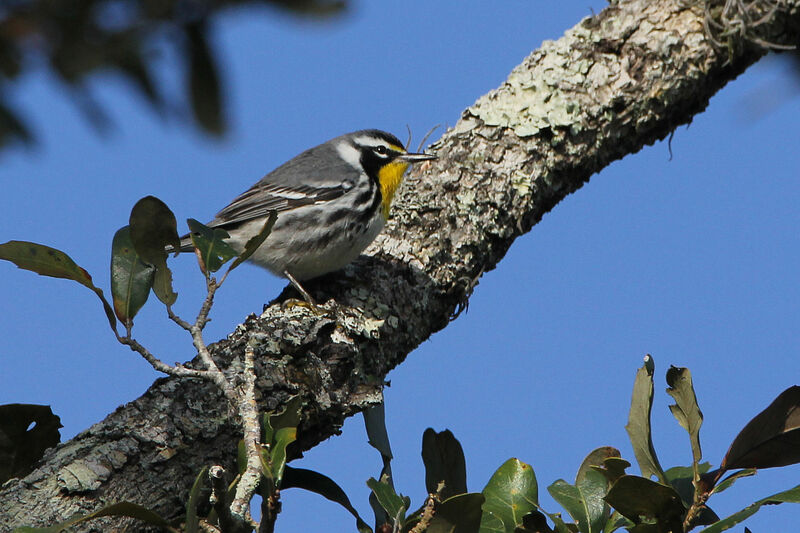 Yellow-throated Warbler, Lake Kissimmee SP. 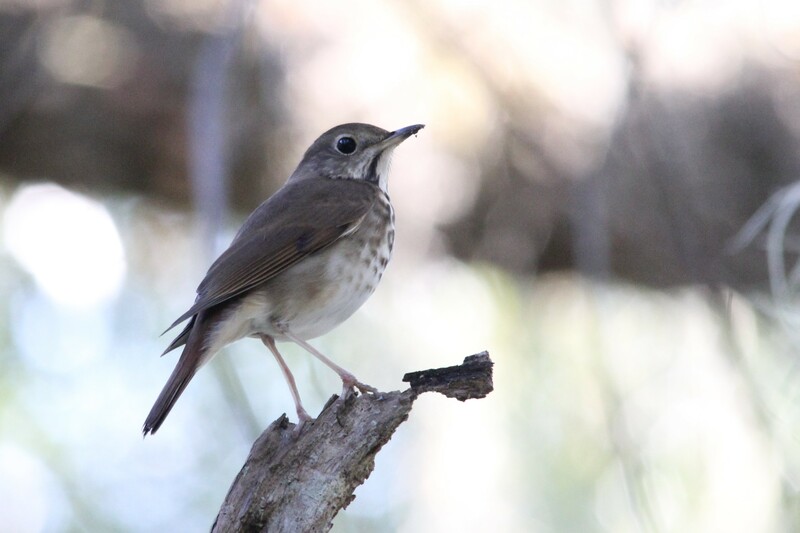 Wood Thrush, Lake Kissimmee SP. 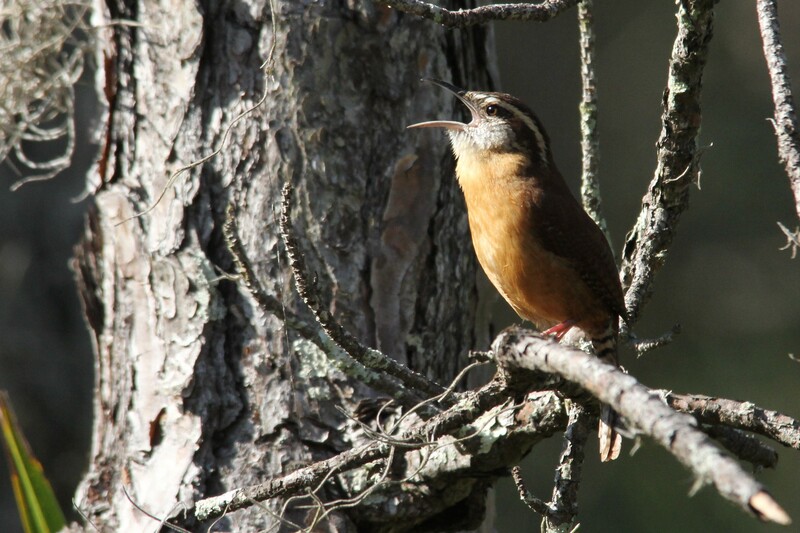 Carolina Wren, Lake Kissimmee SP. 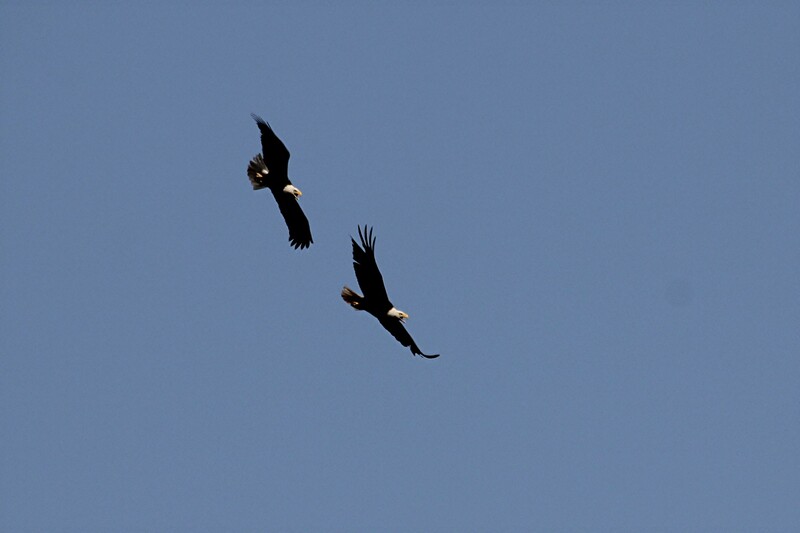 Bald Eagles were almost always overhead, Lake Kissimmee SP. 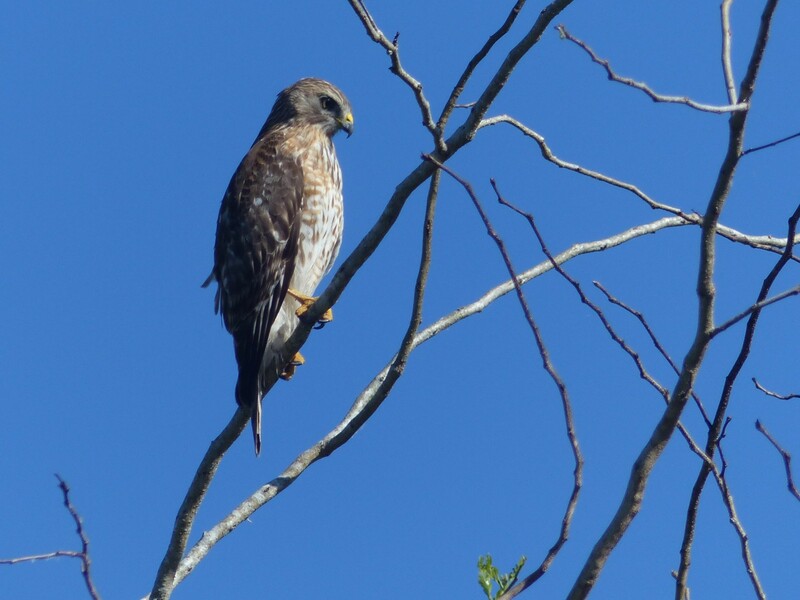 Red-shouldered Hawk, Lake Kissimmee SP. 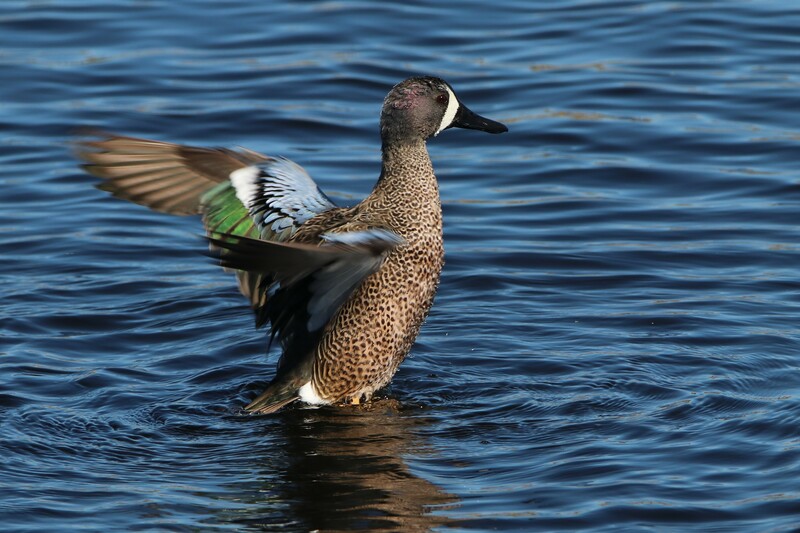 Blue-winged Teal, St Marks NWR. 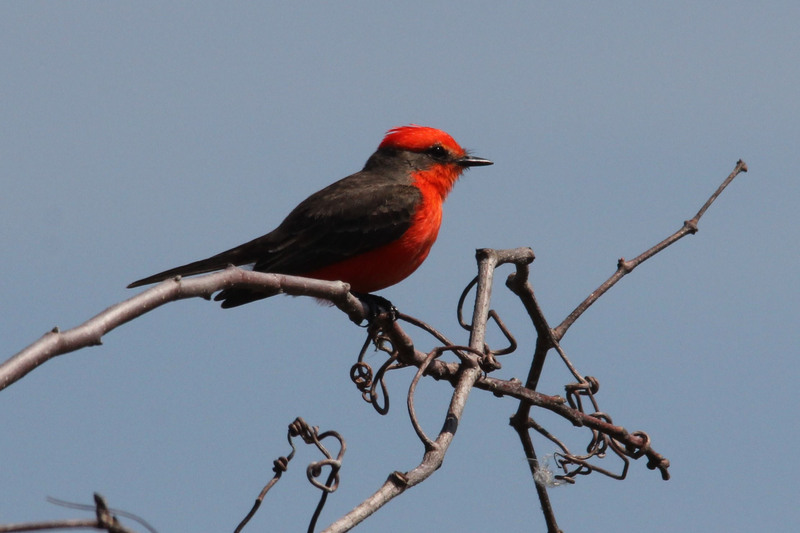 Vermilion Flycatcher, St Marks NWR. 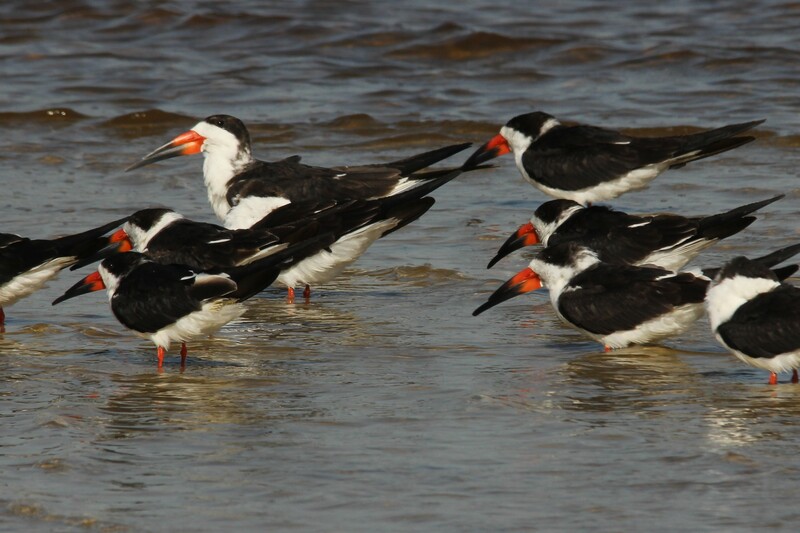 Black Skimmers, Mashes Sands Beach near Ochlockonee River SP. 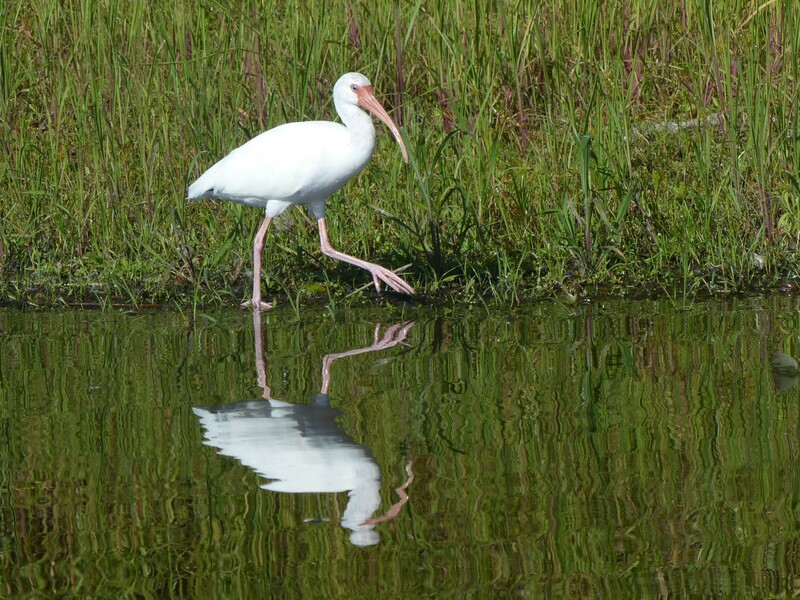 White Ibis, Myakka River SP. 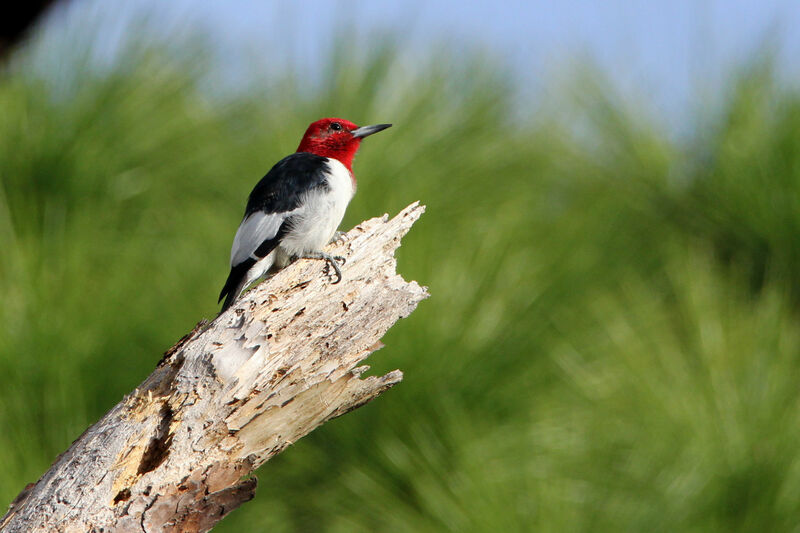 Red-headed Woodpecker, one of eleven sightings that day, Lake Kissimmee SP. 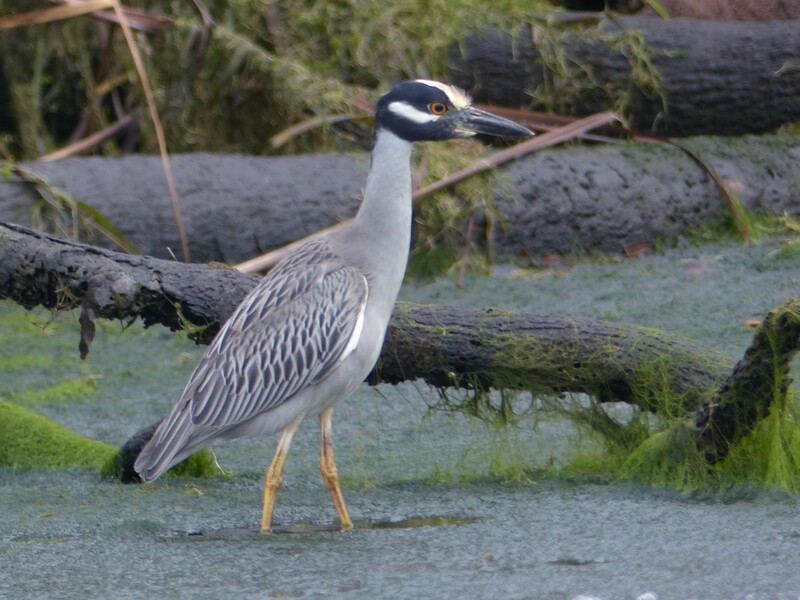 Yellow-crowned Night Heron, not as common as The Black-crowned, Chassahowitzka River. 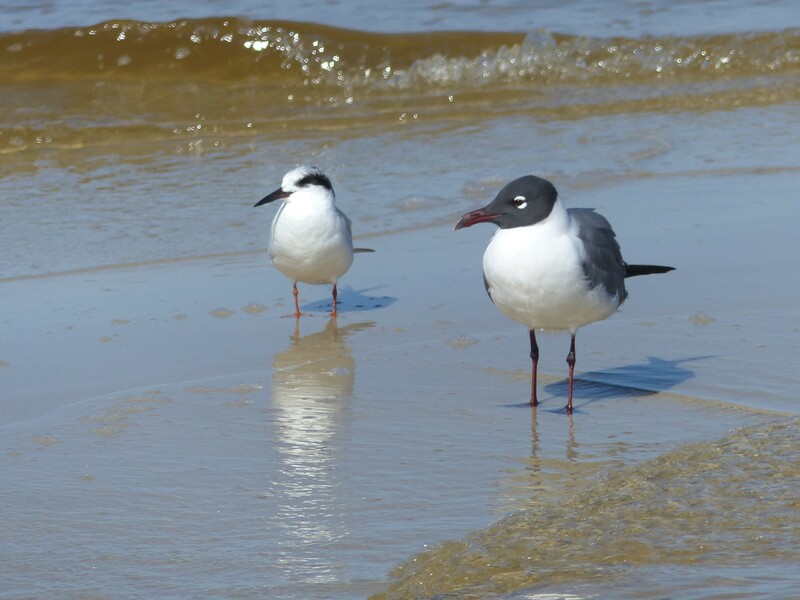 Laughing Gull with Least Tern, Bald Point SP. 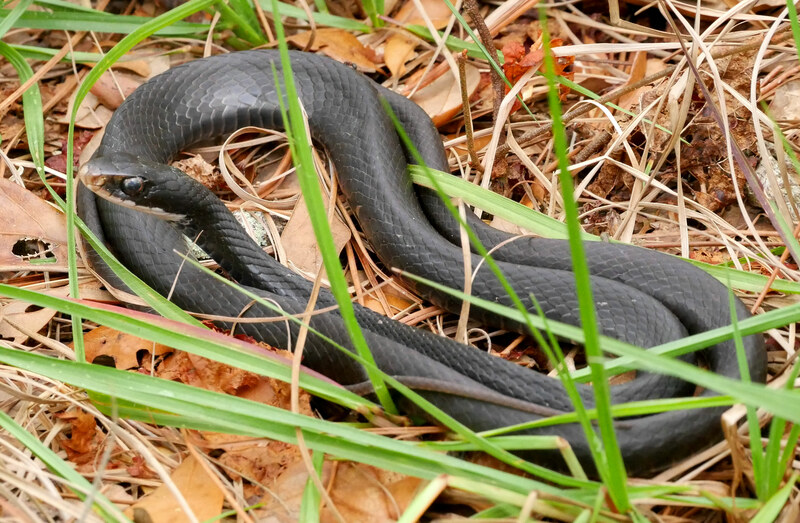 Along the trail, Myakka River SP. Given the weather we came back to we may decide to stay longer next year. There’s always something new to discover. Thanks for stopping by.